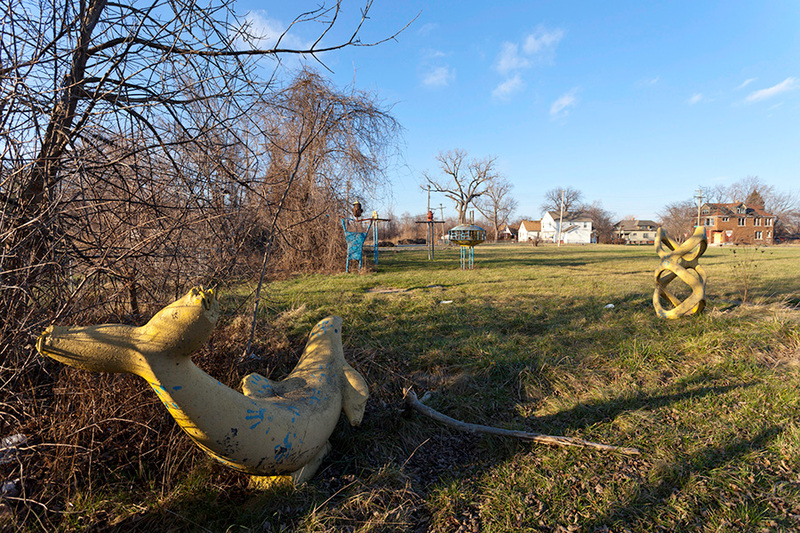 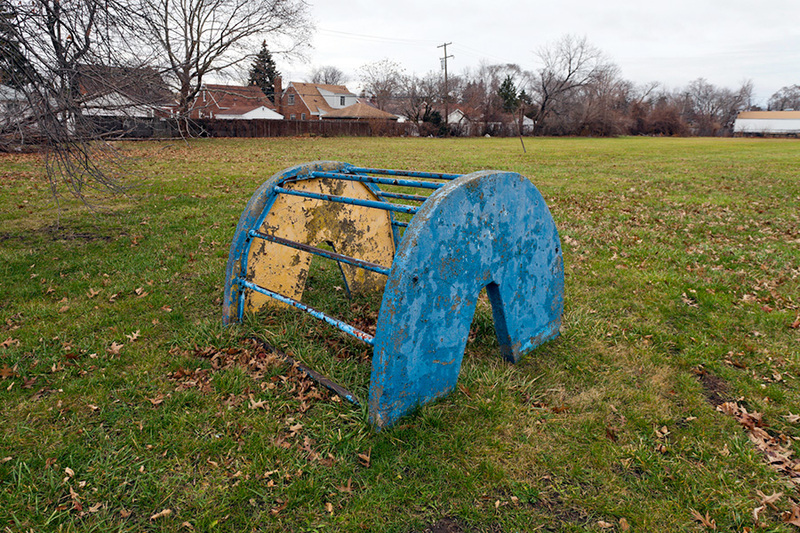 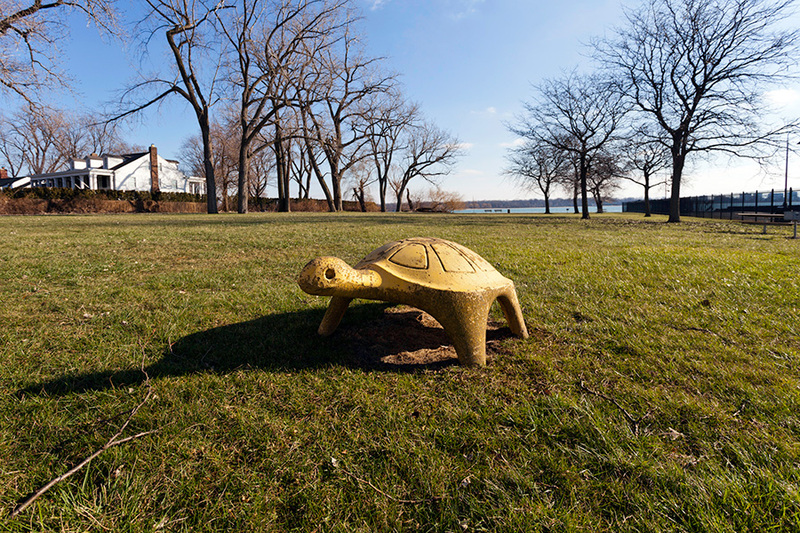 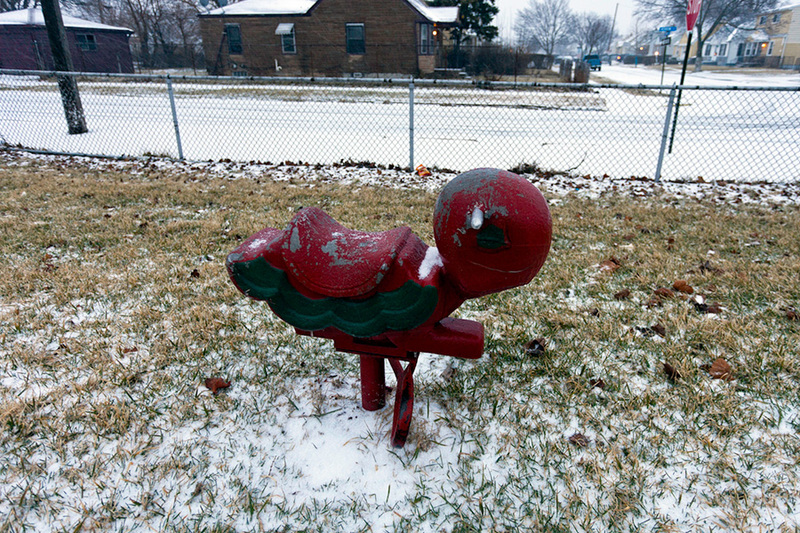 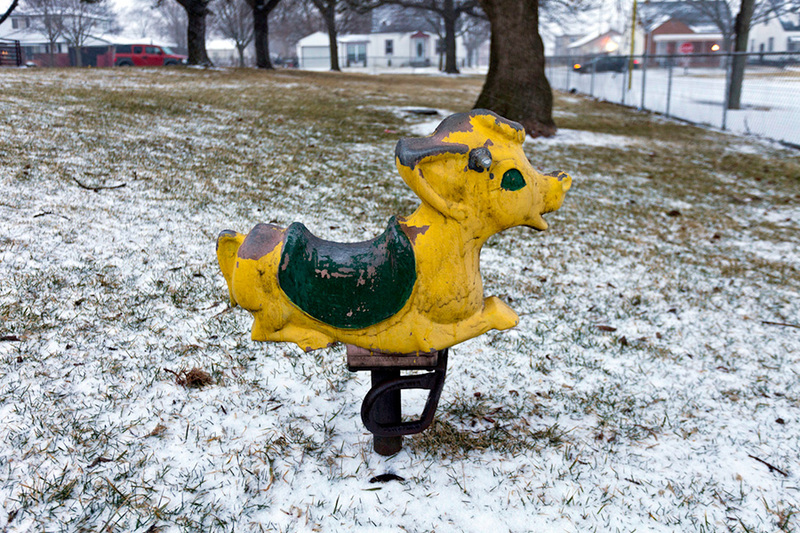 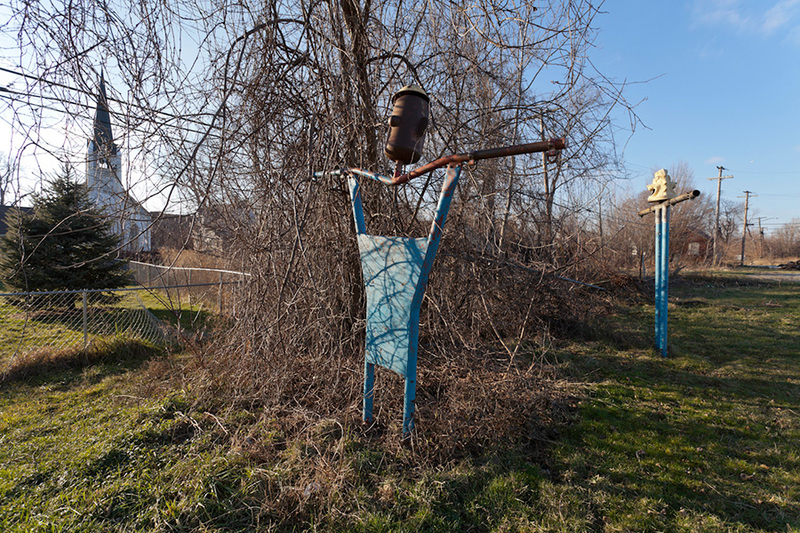 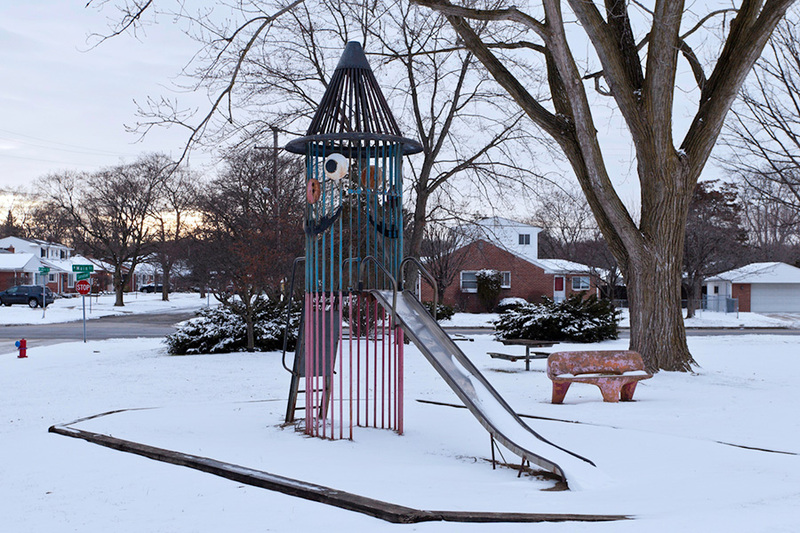 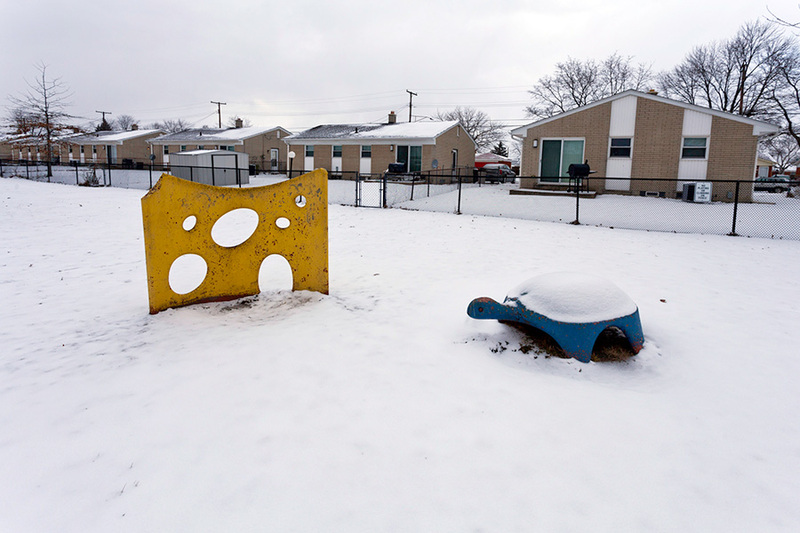 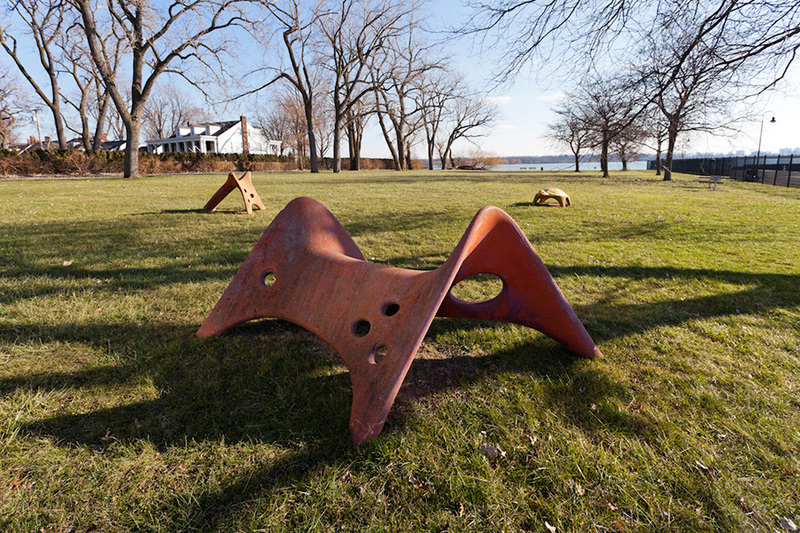 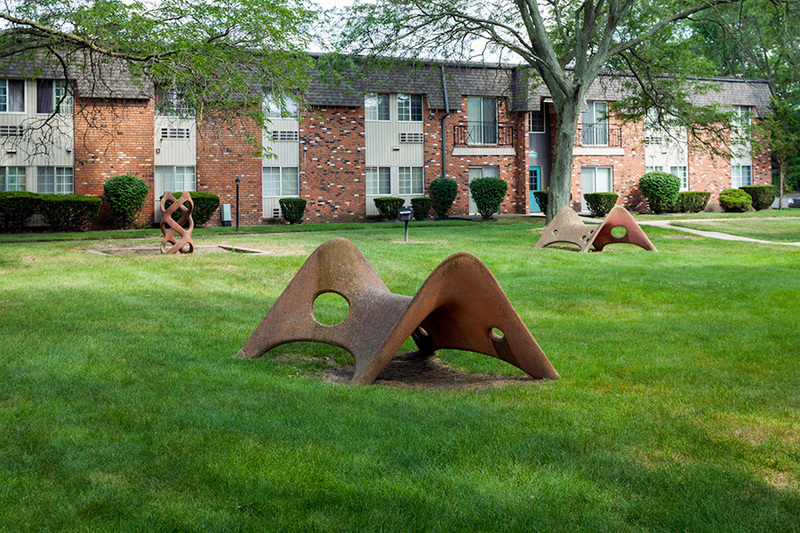 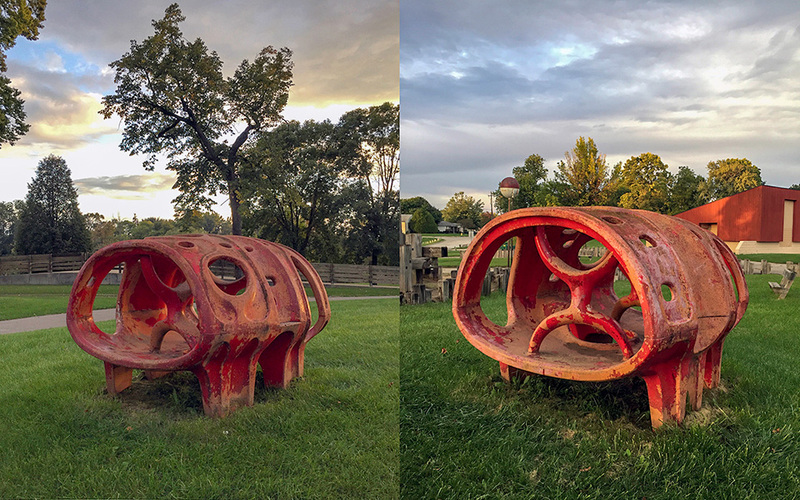 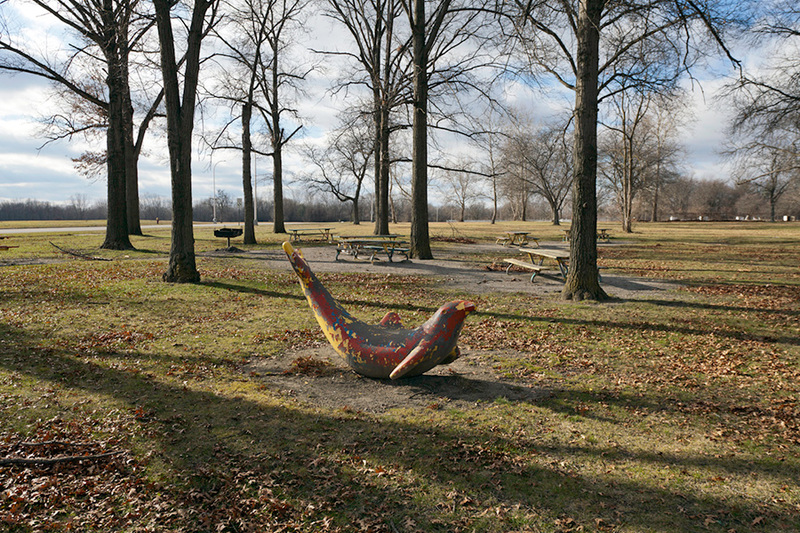 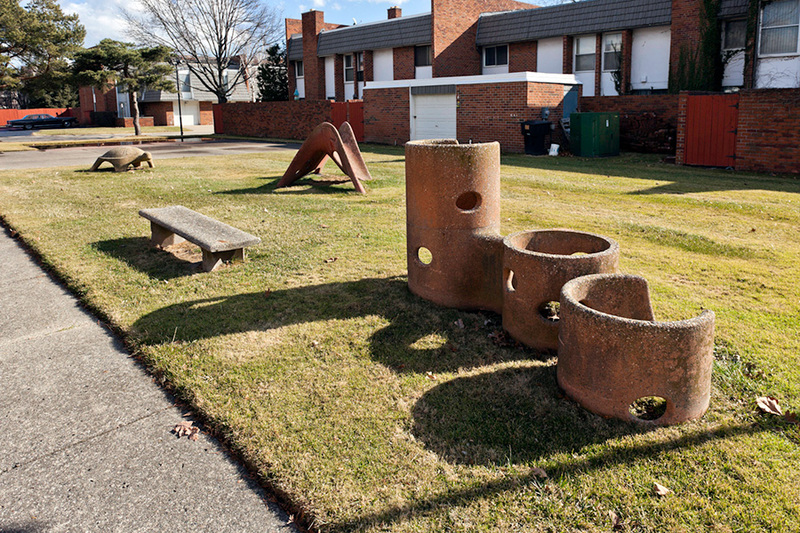 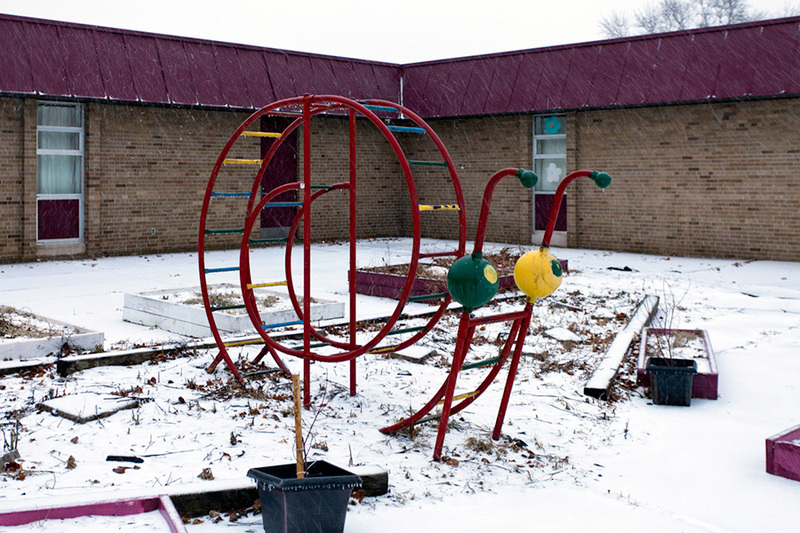 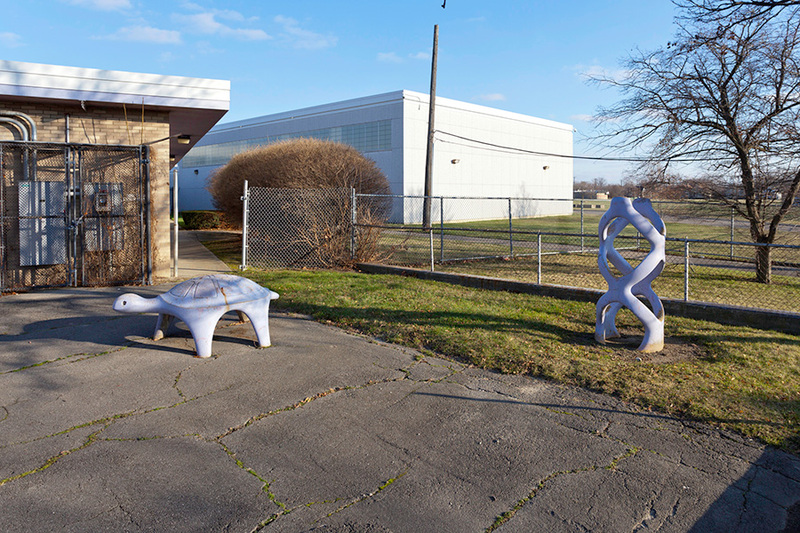 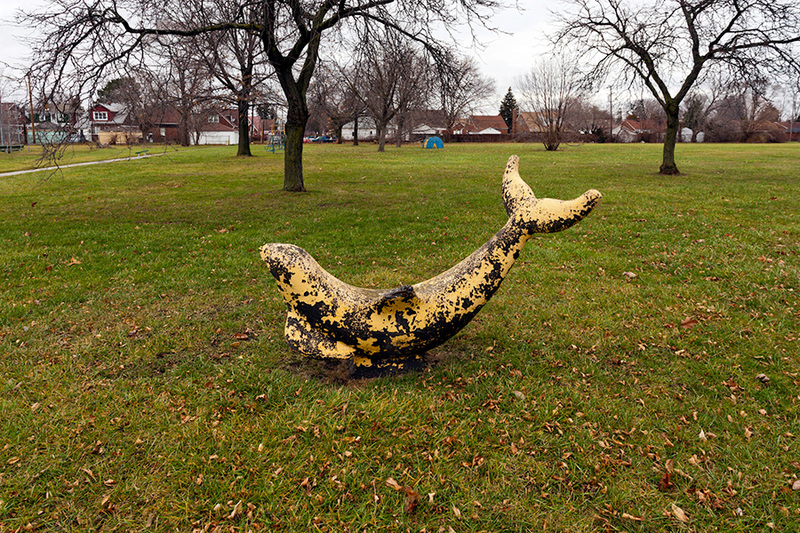 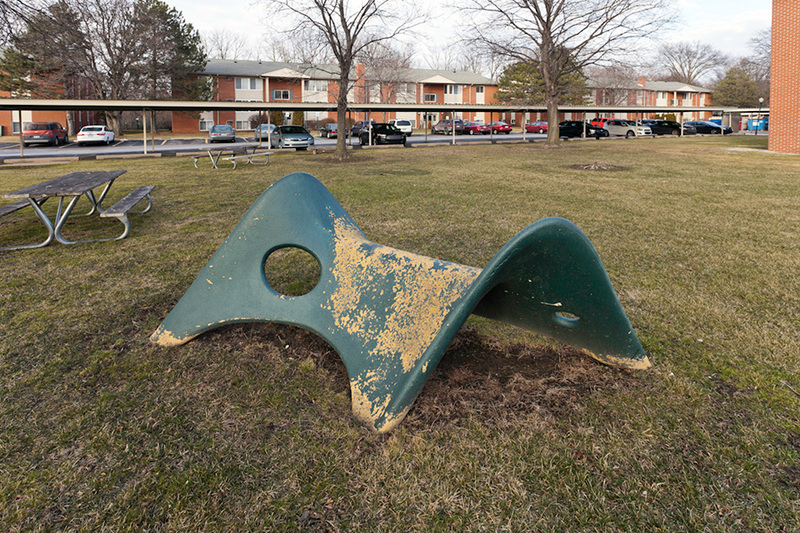 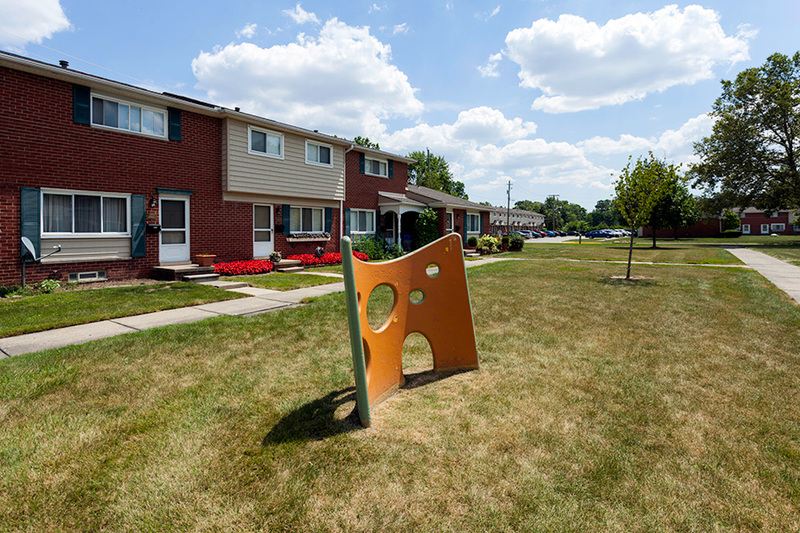 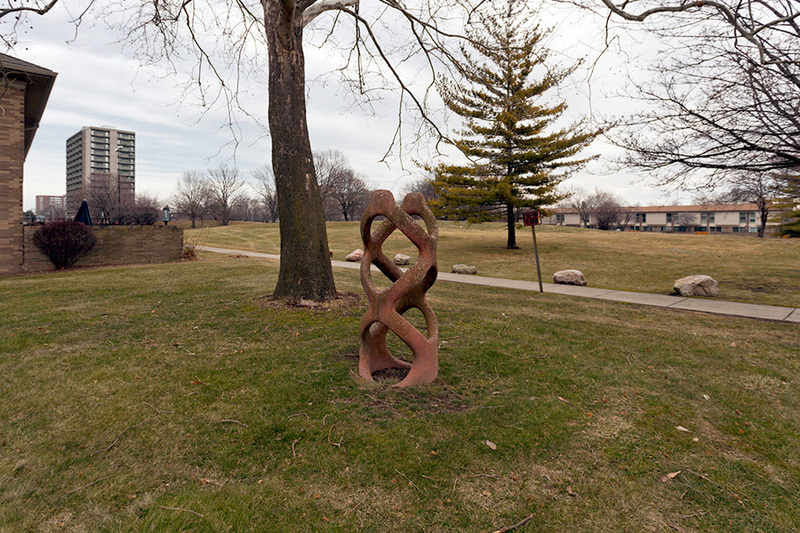 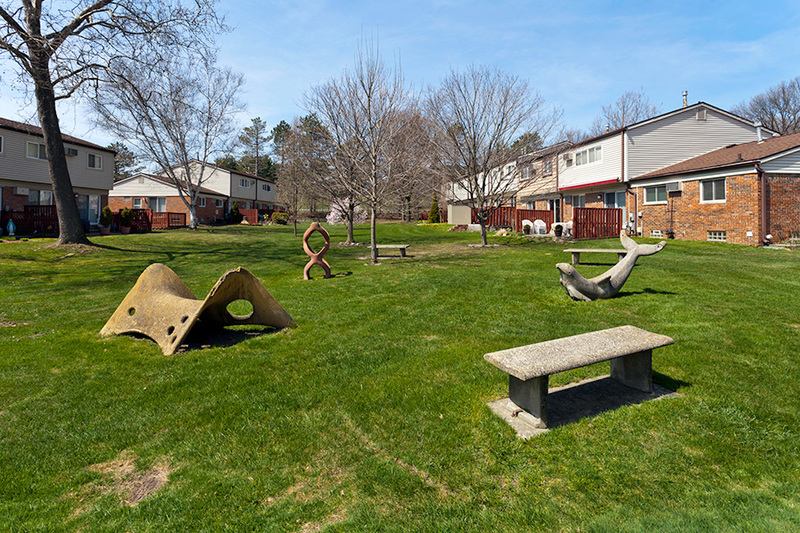 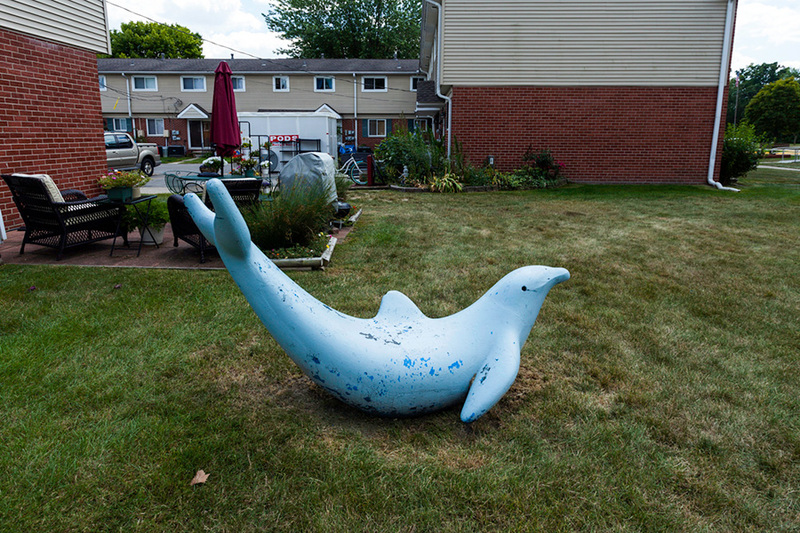 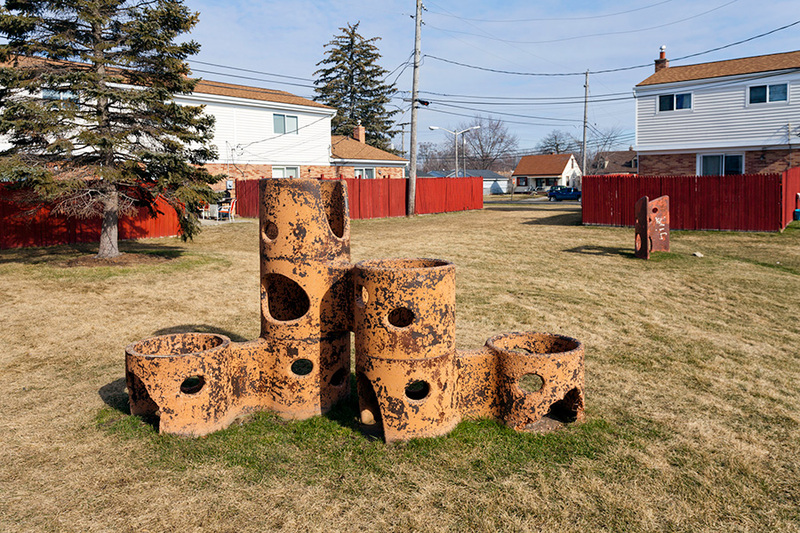 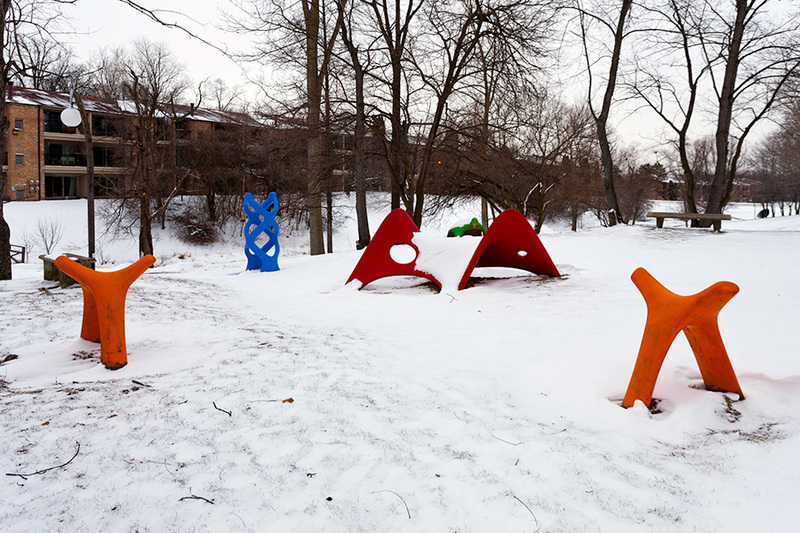 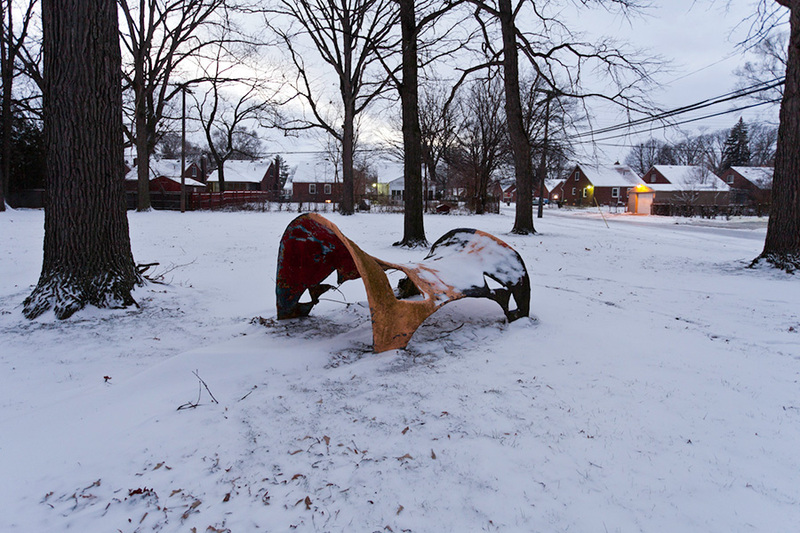 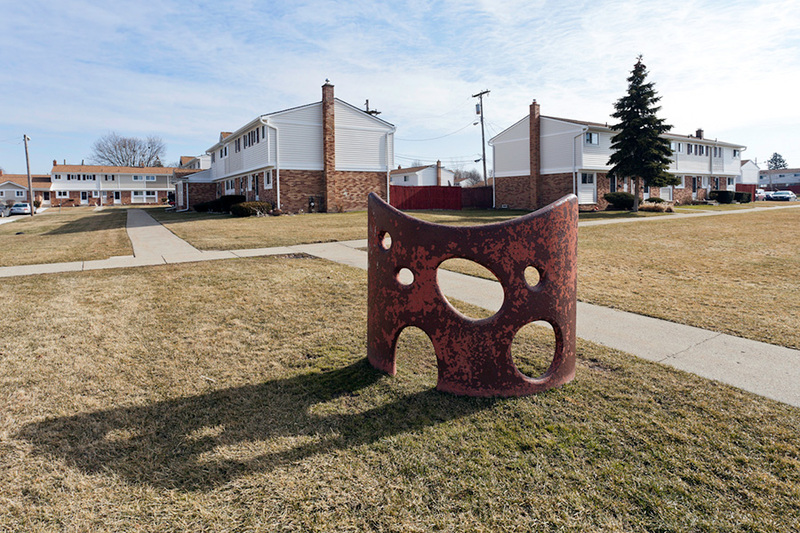 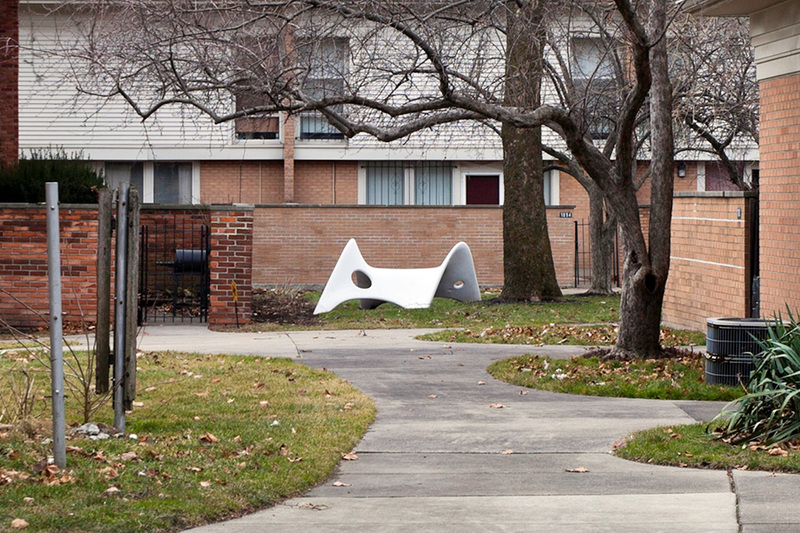 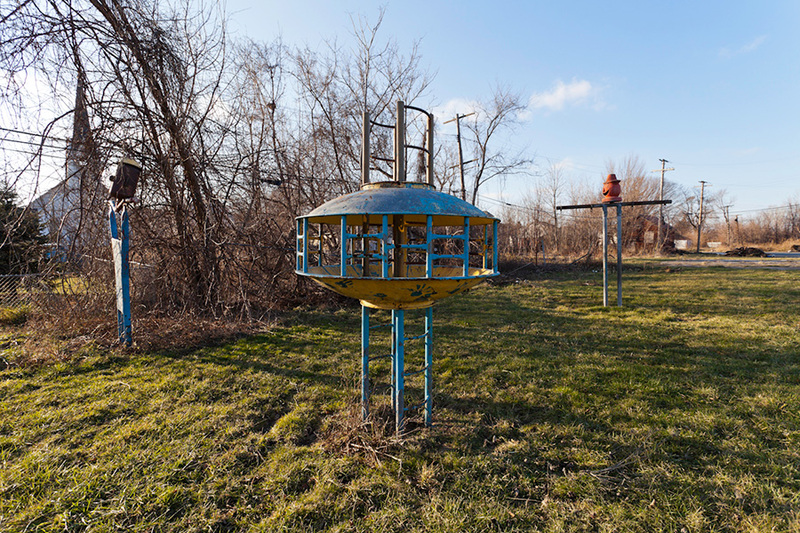 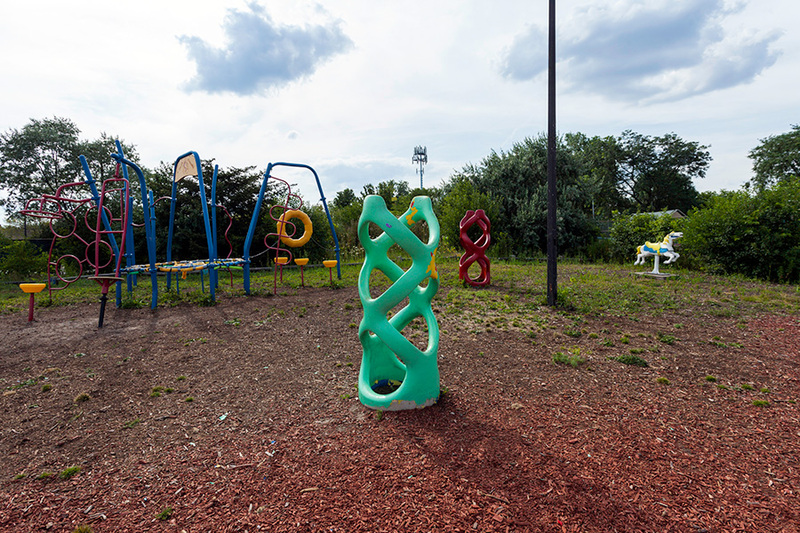 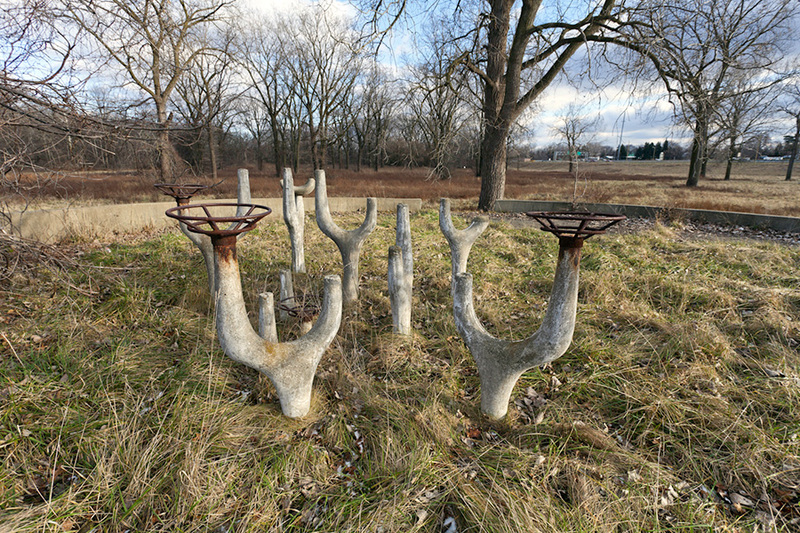 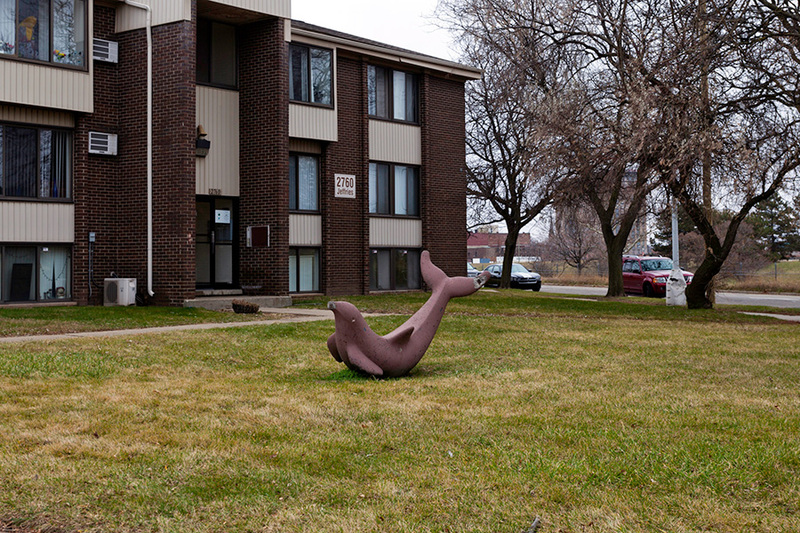 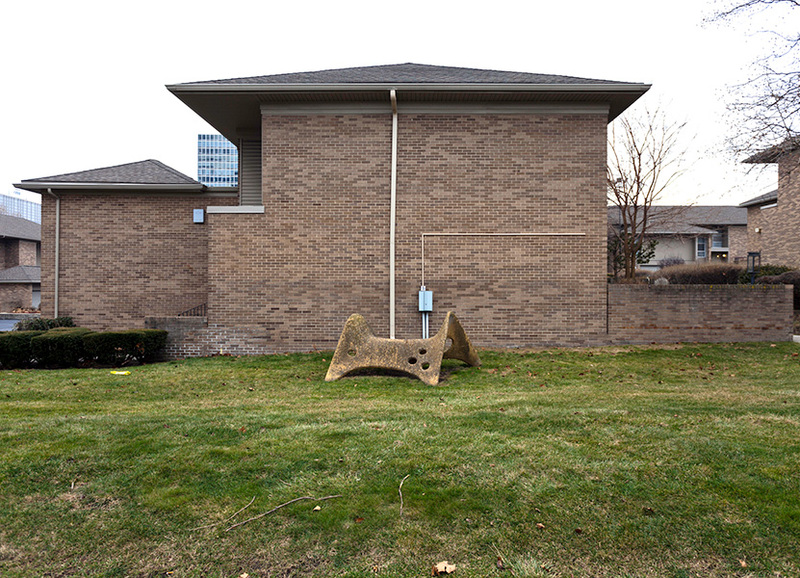 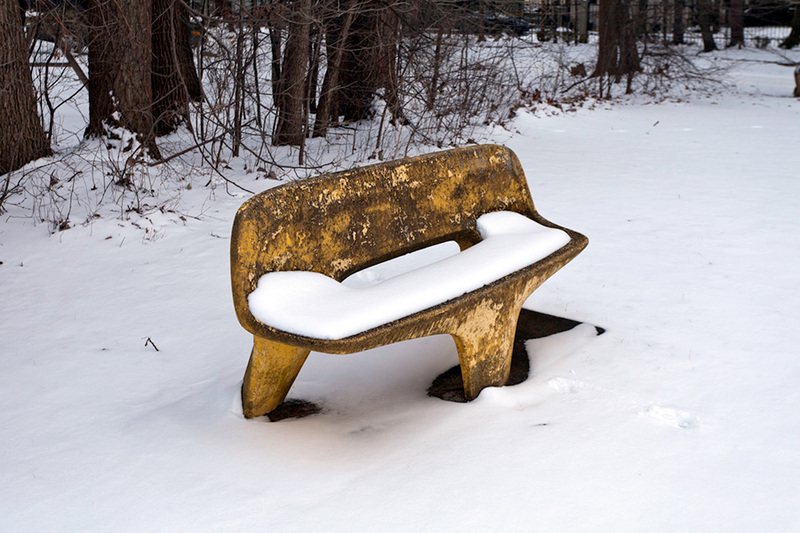 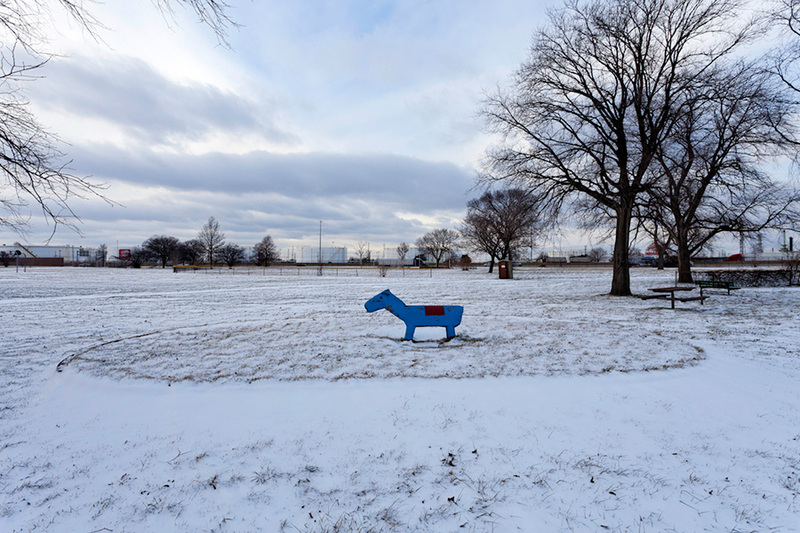 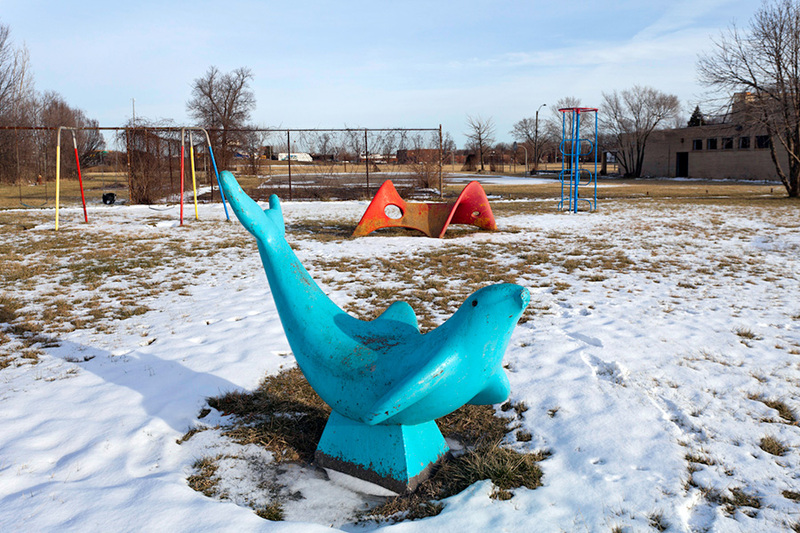 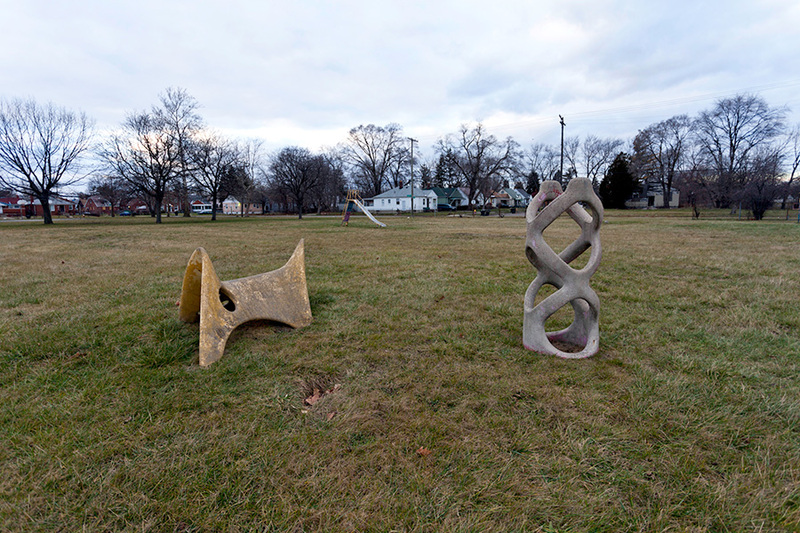 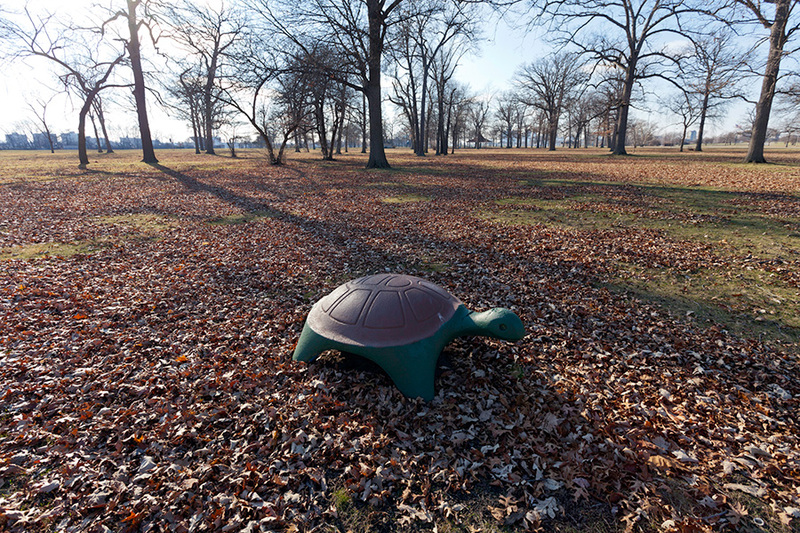 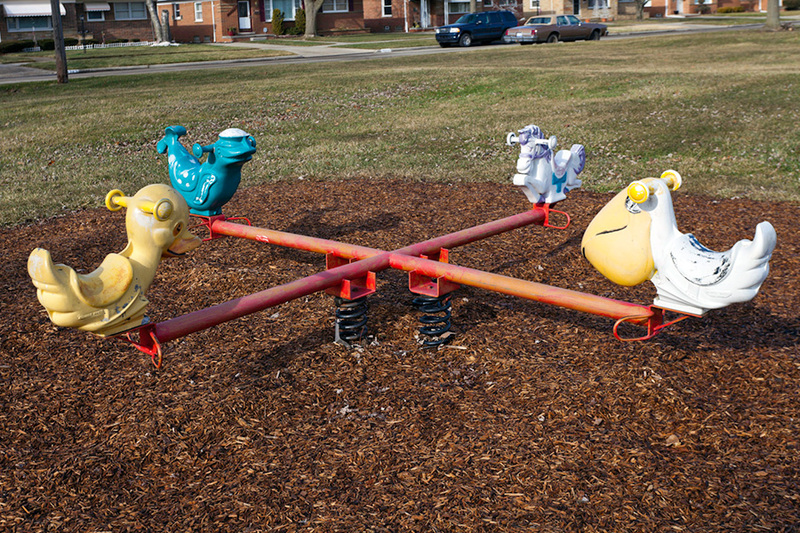 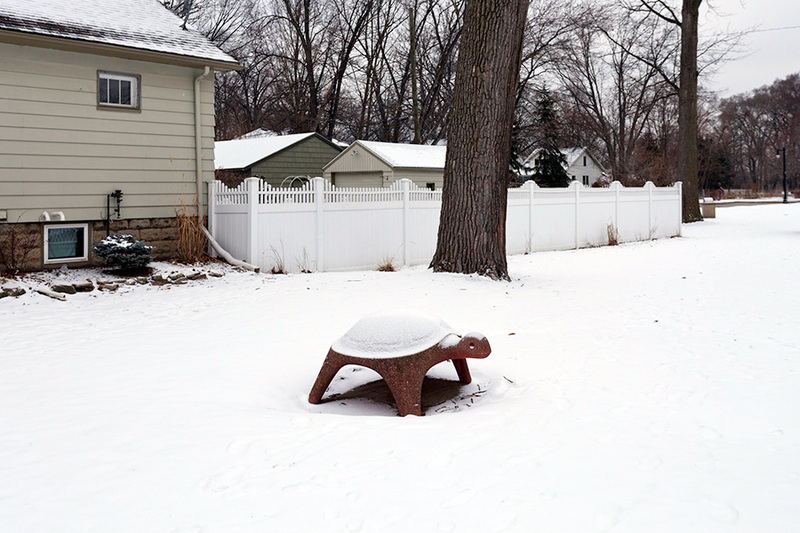 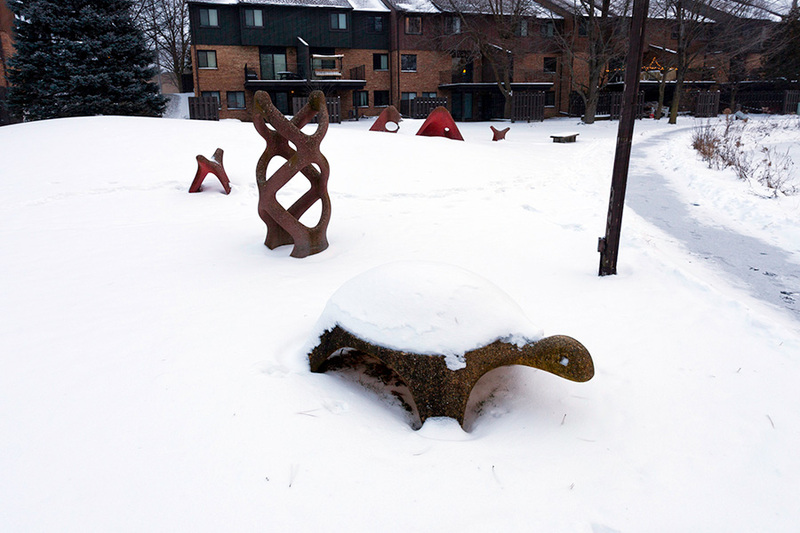 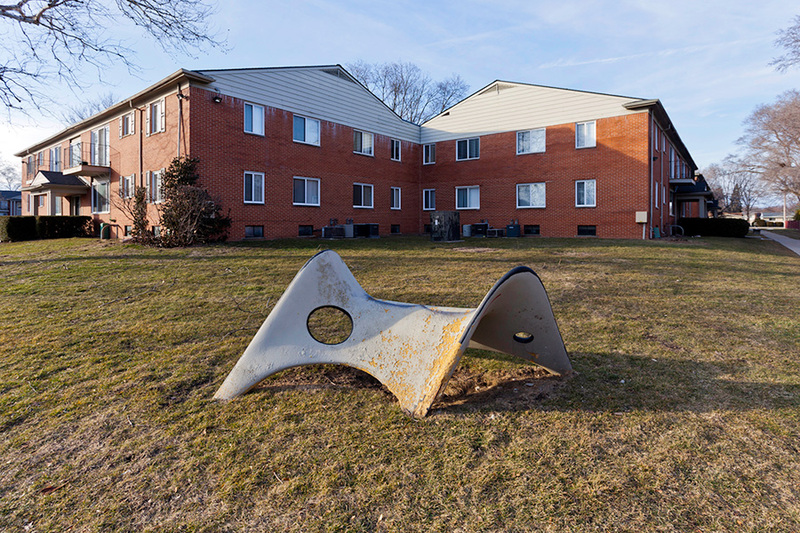 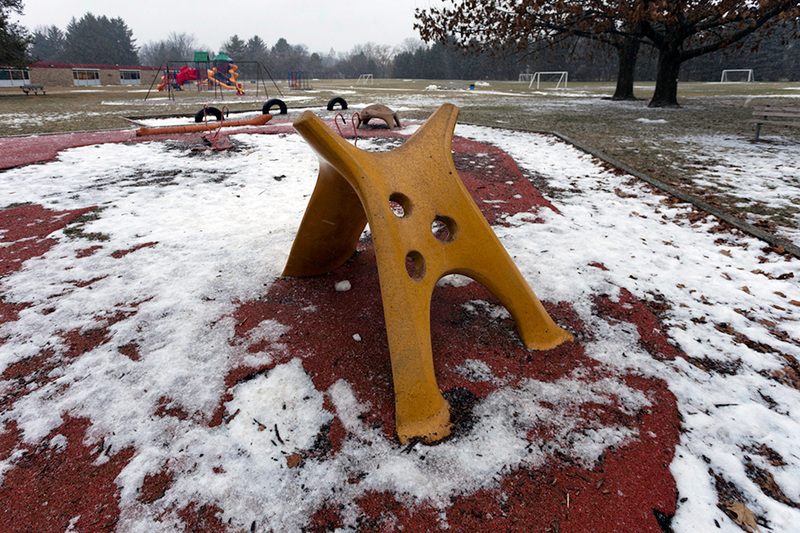 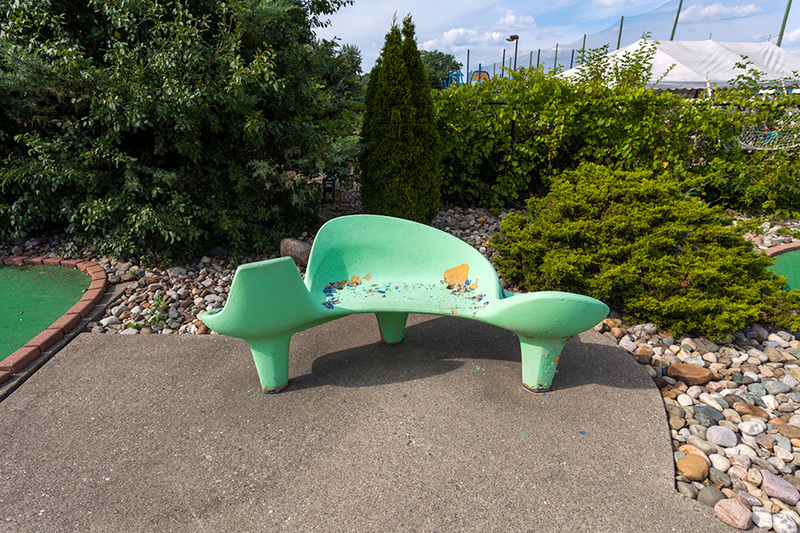 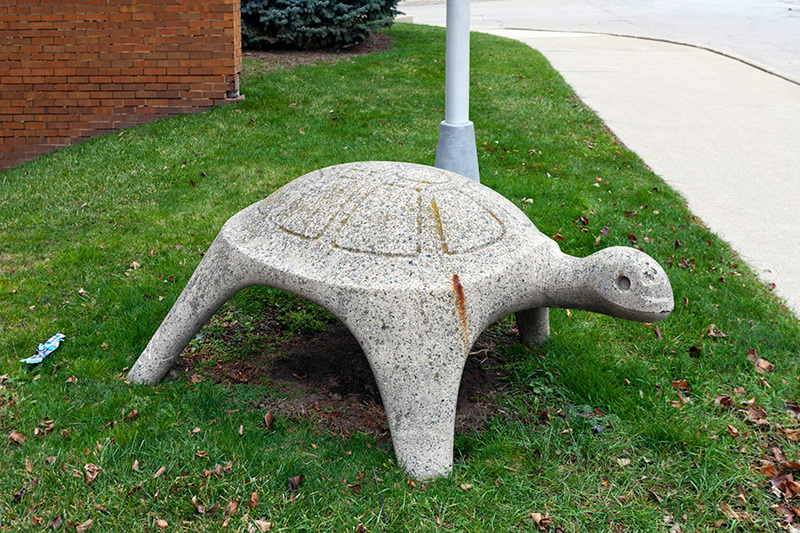 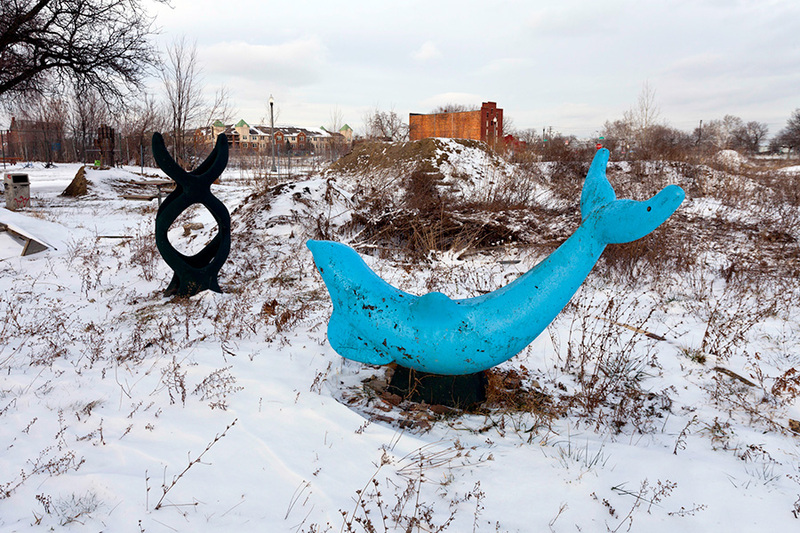 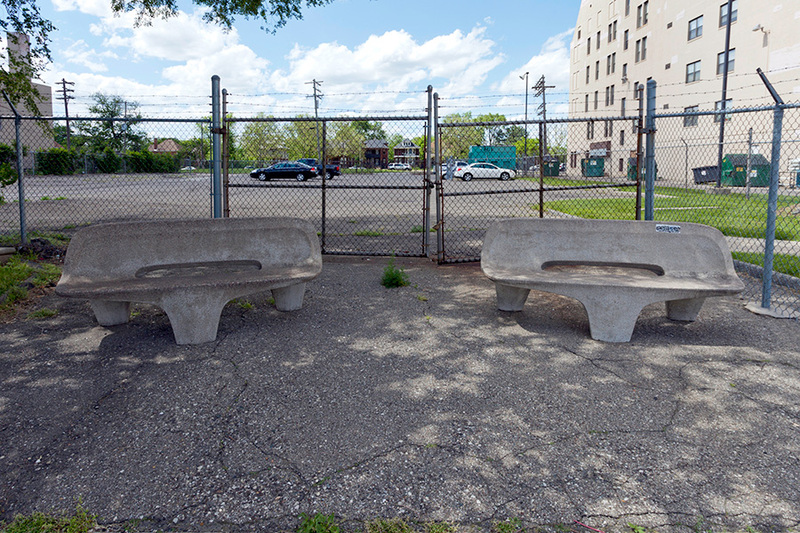 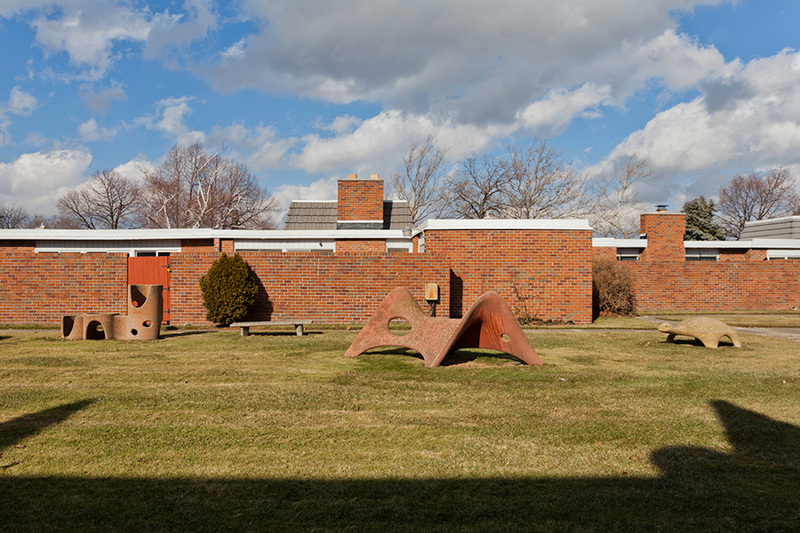 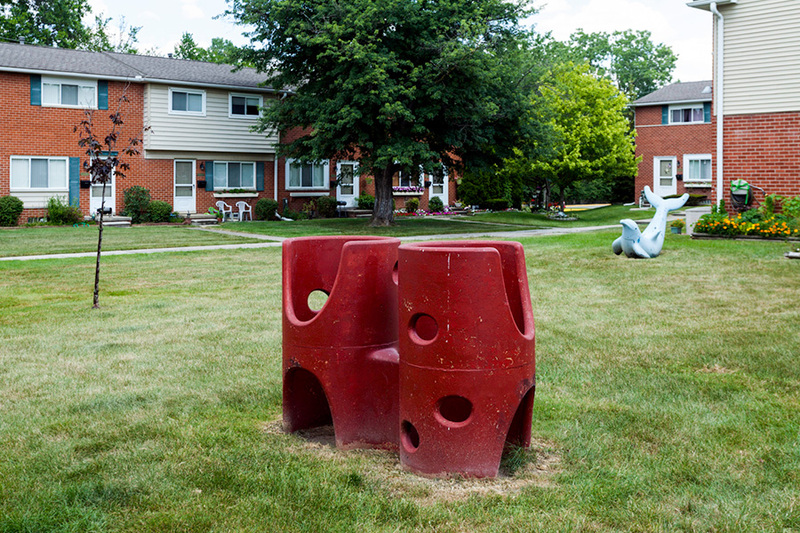 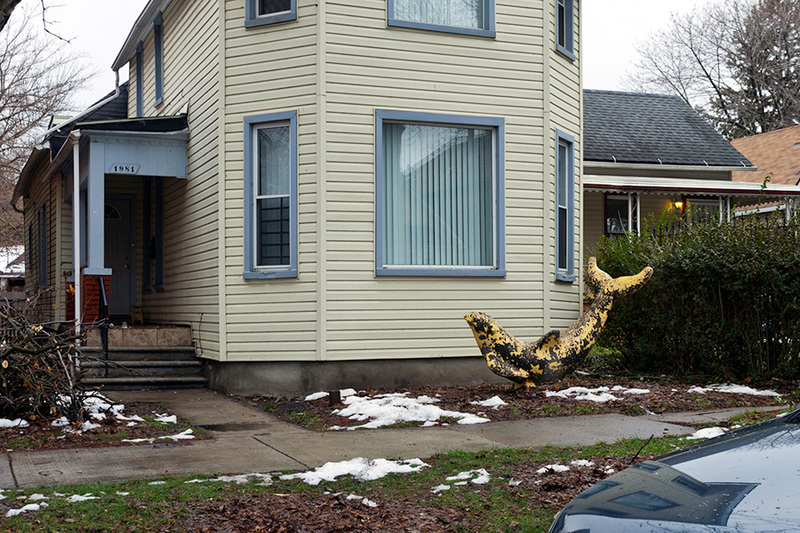 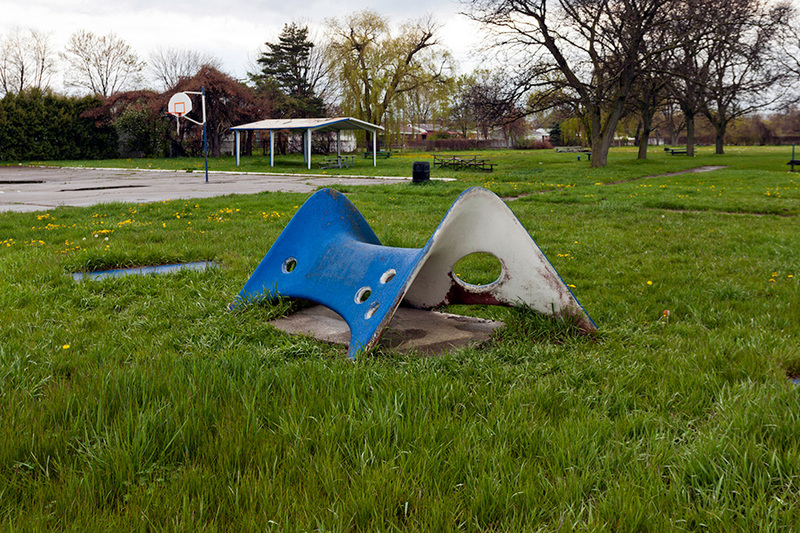 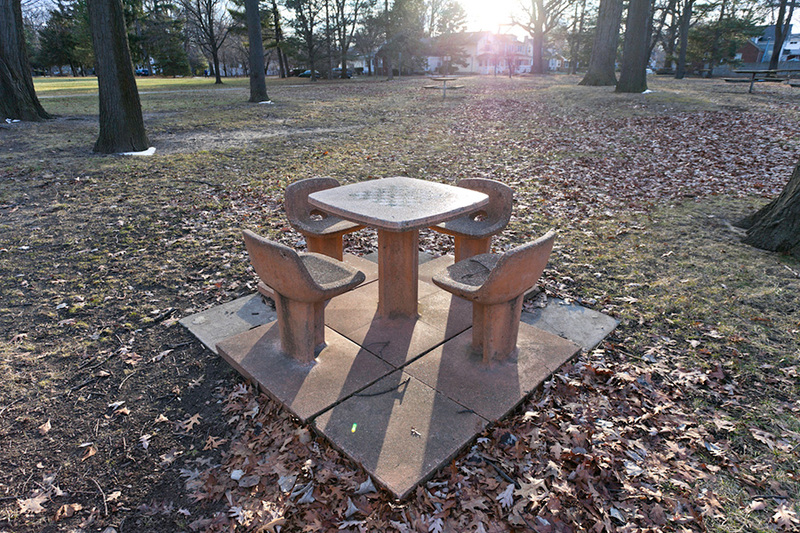 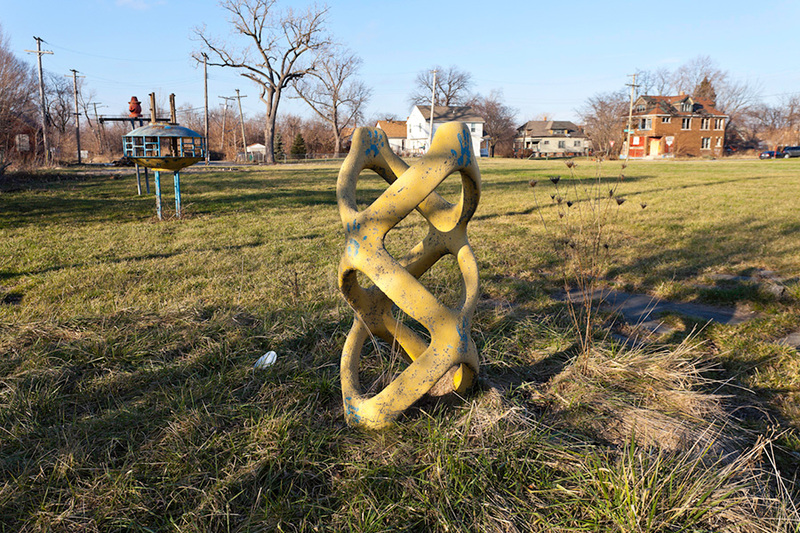 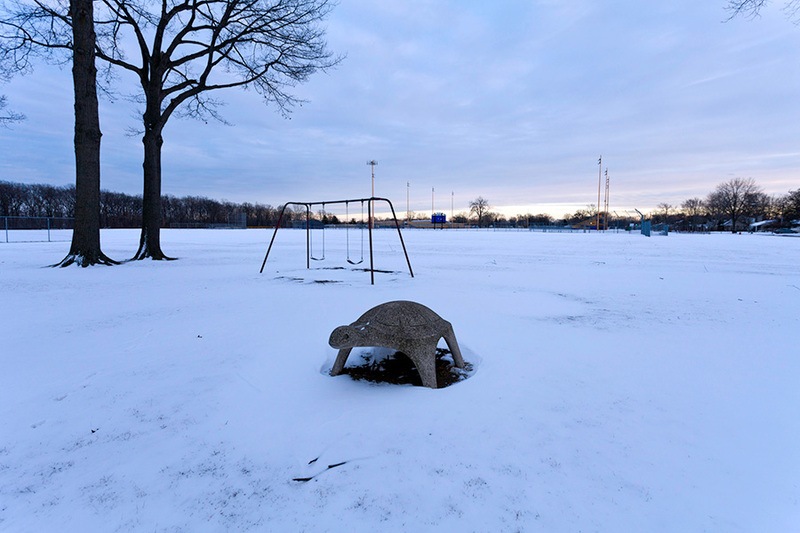 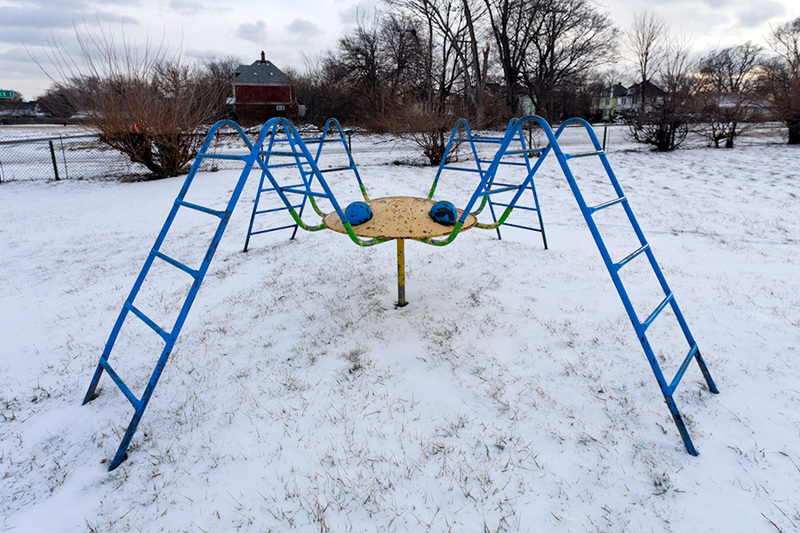 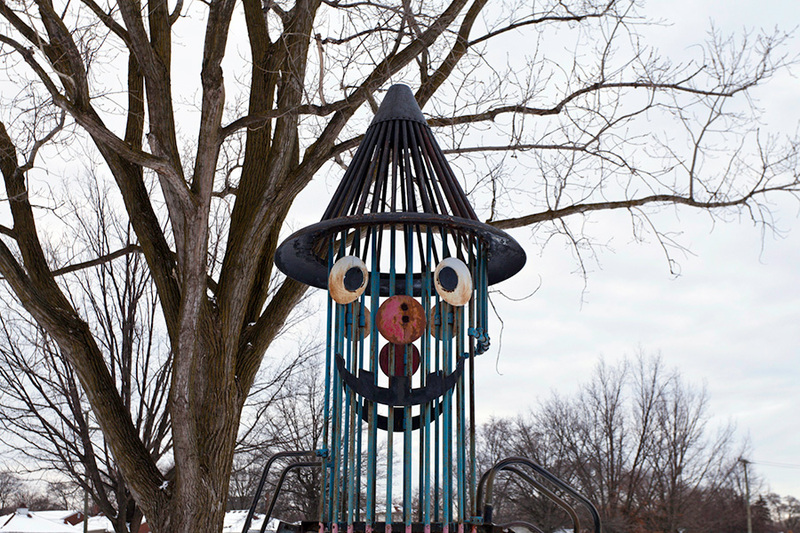 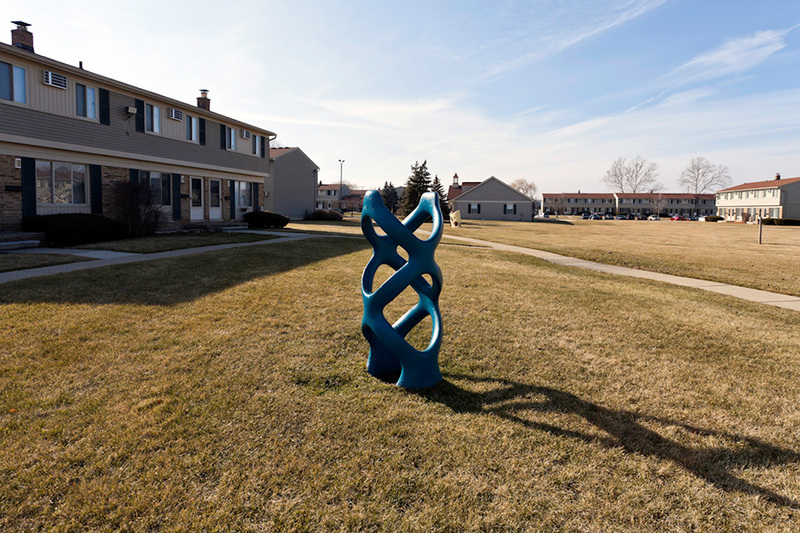 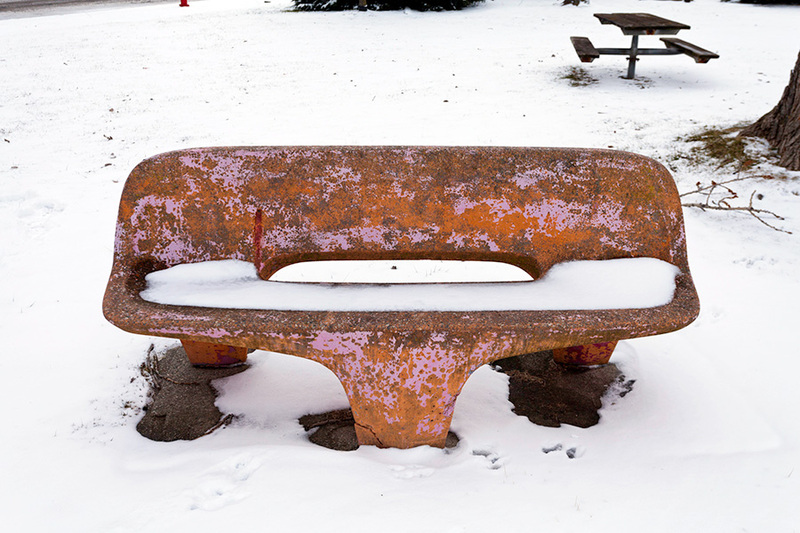 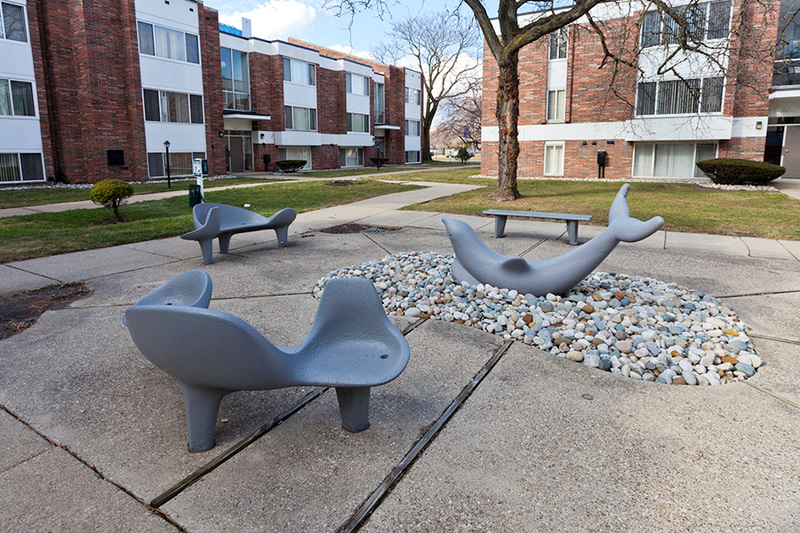 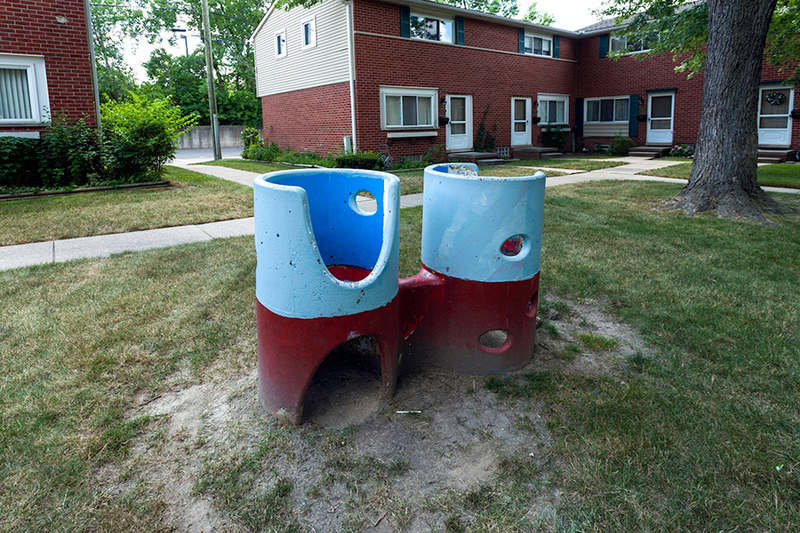 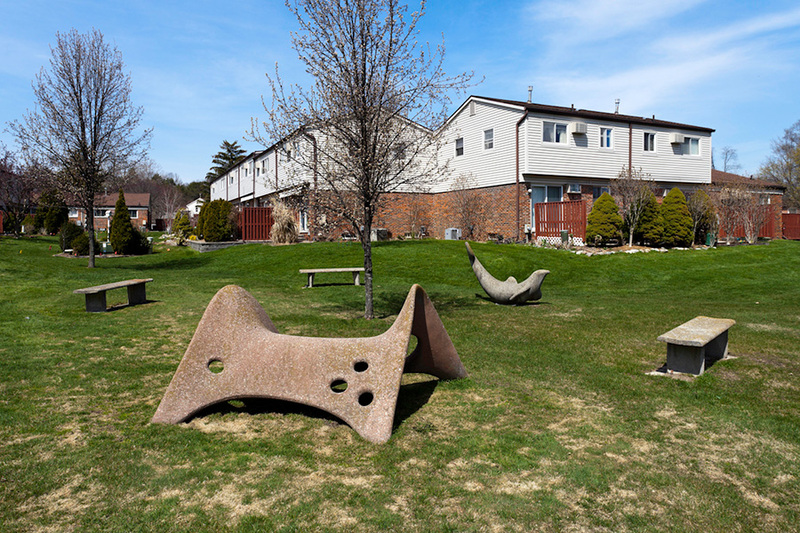 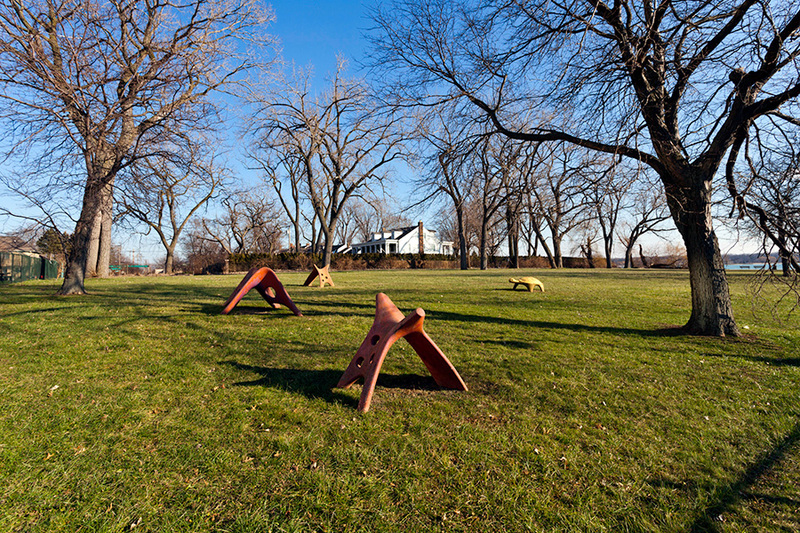 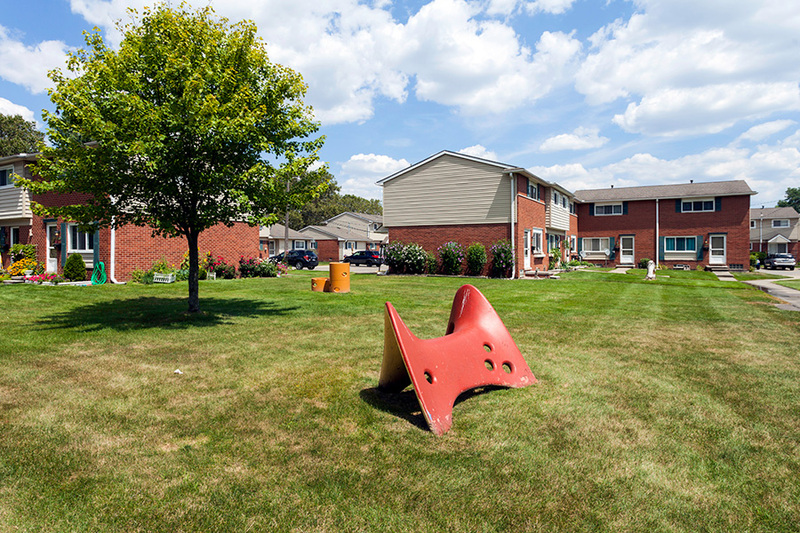 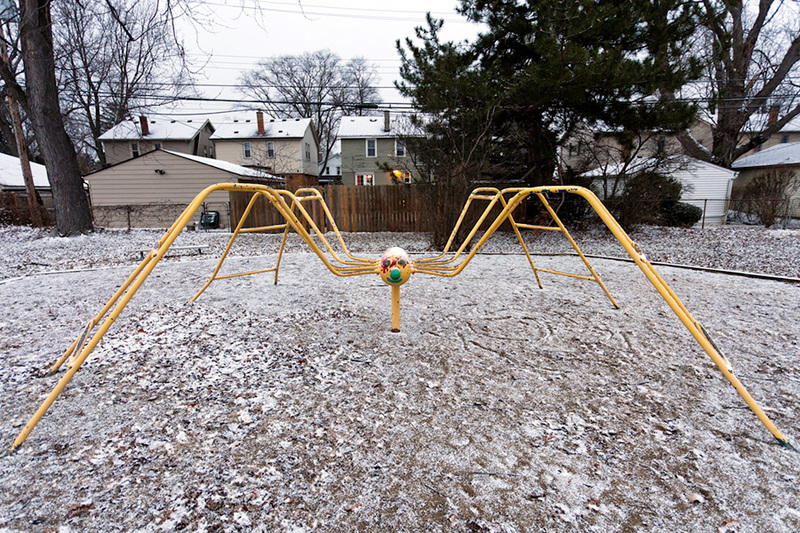 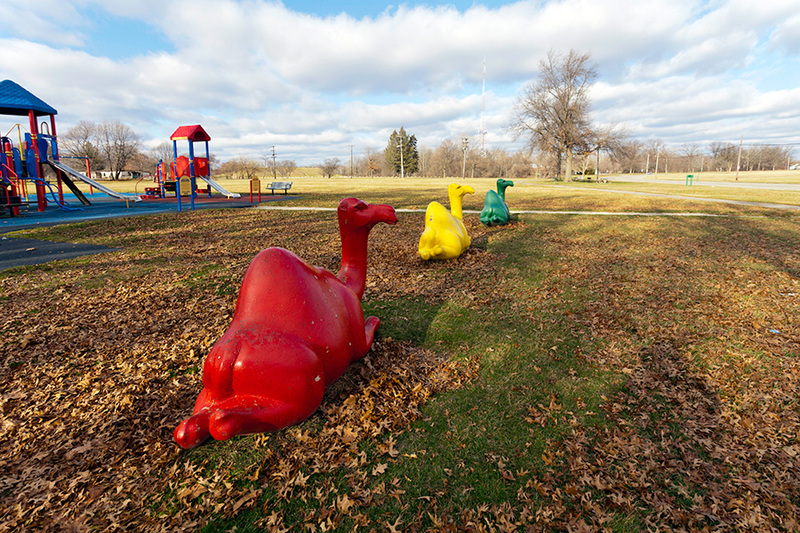 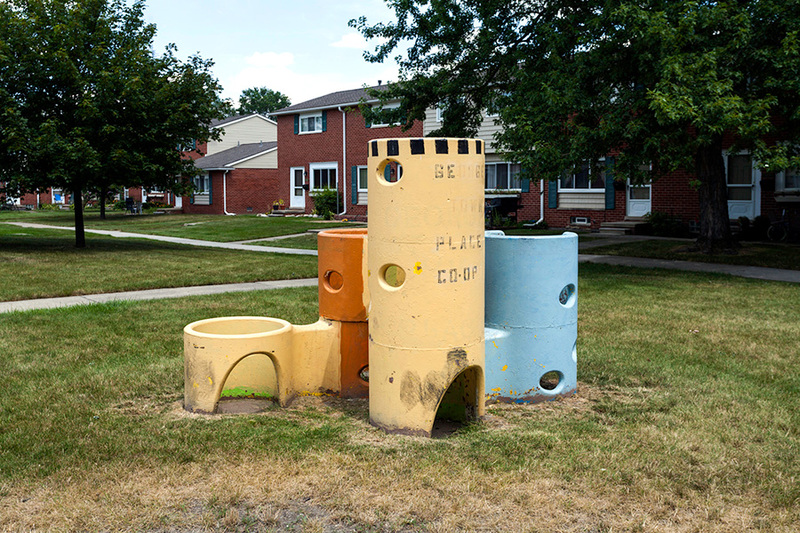 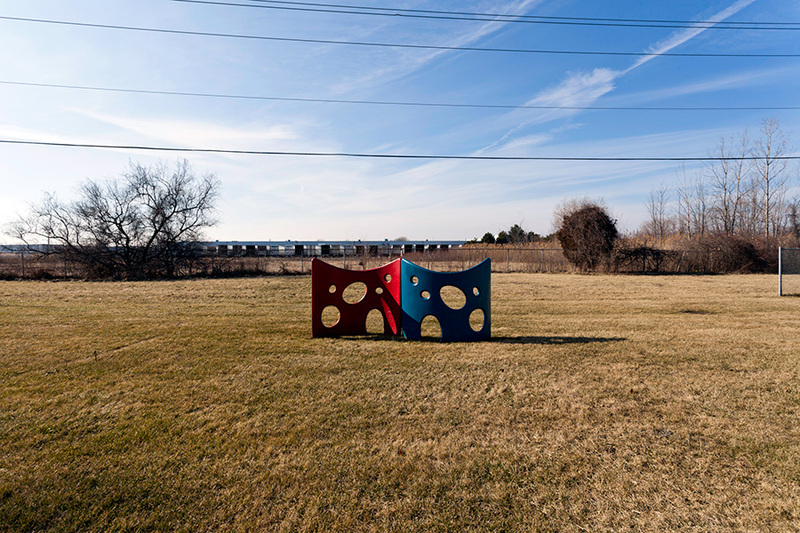 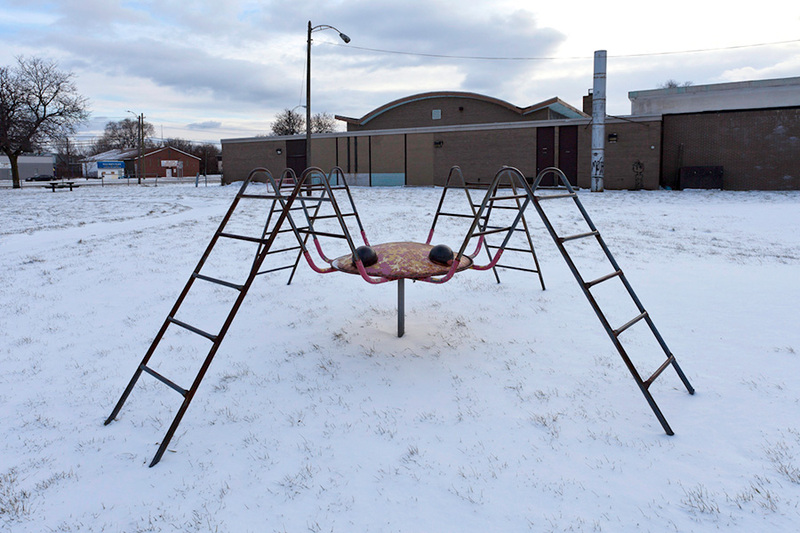 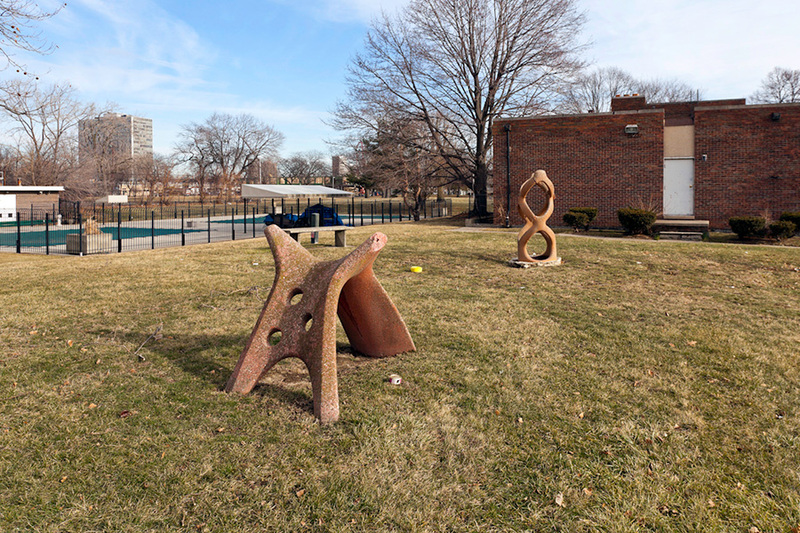 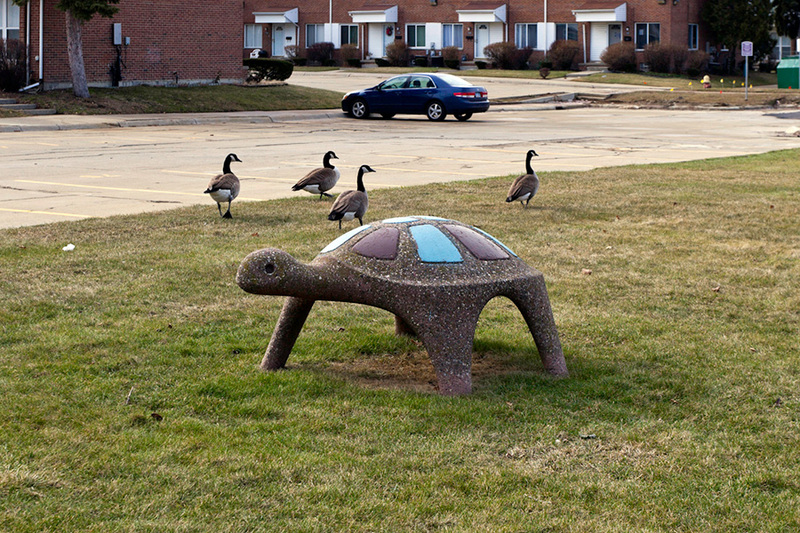 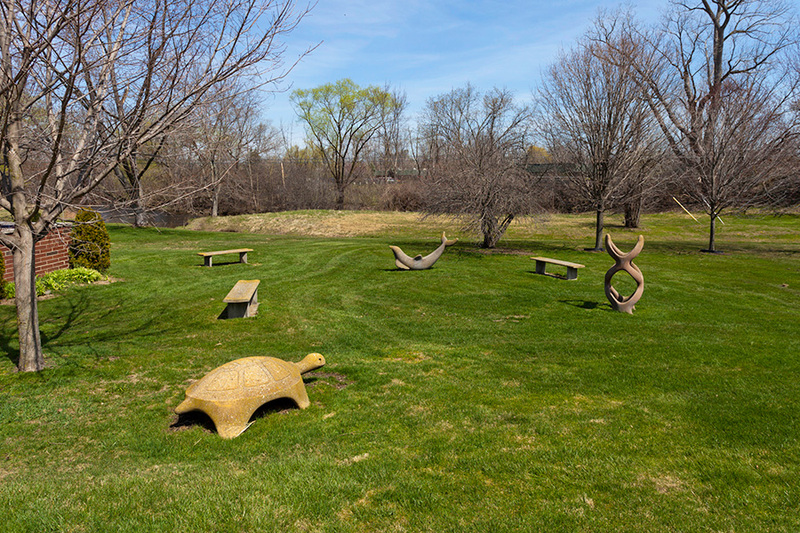 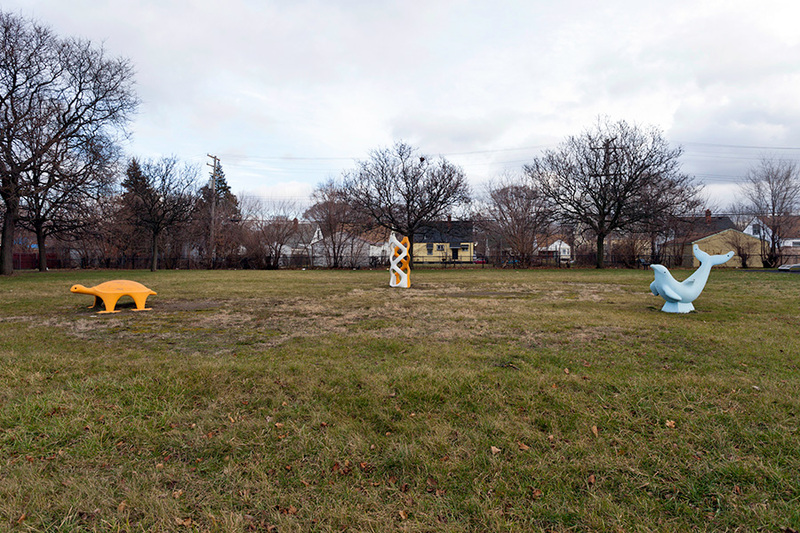 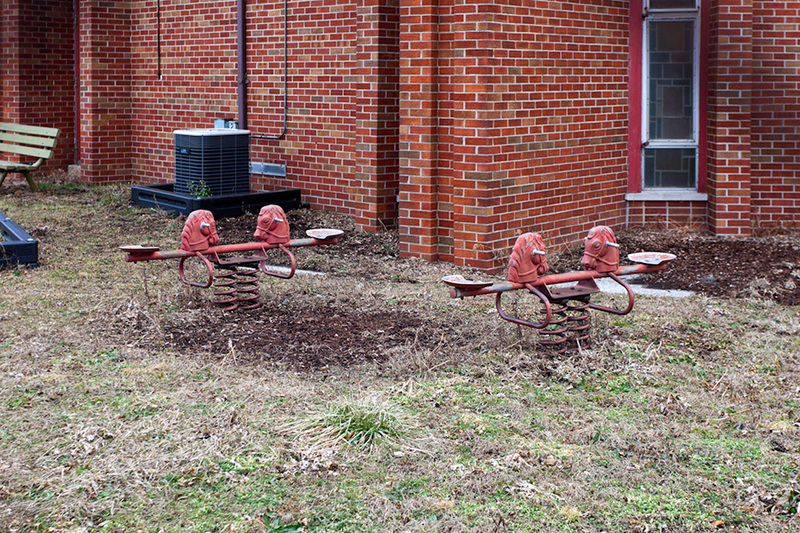 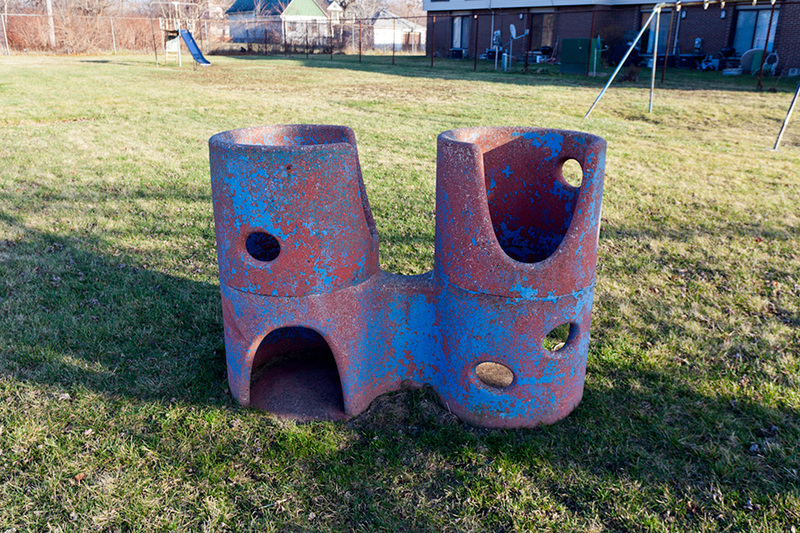 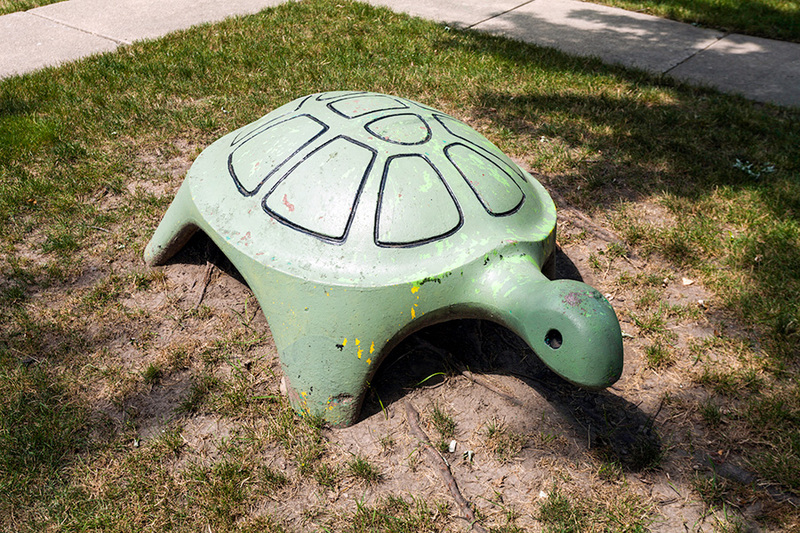 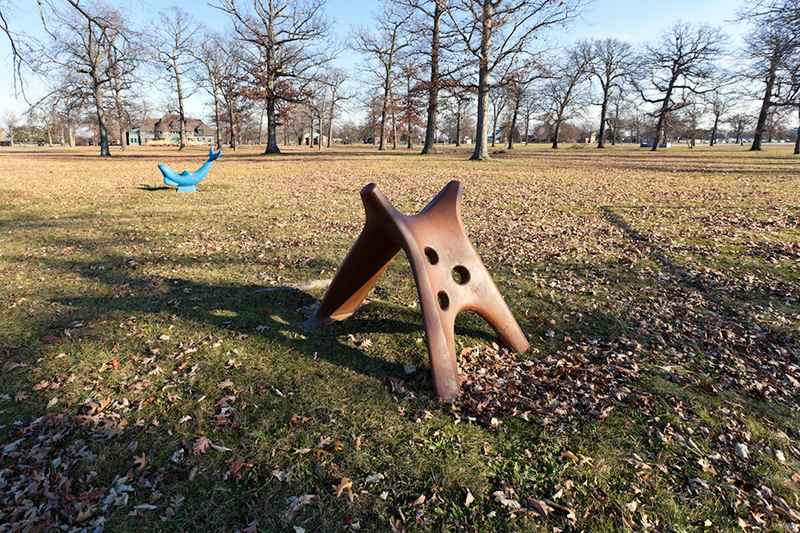 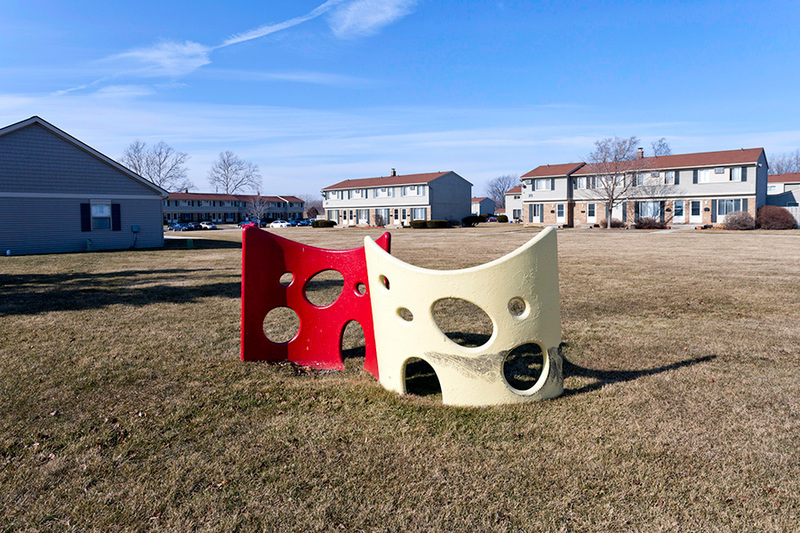 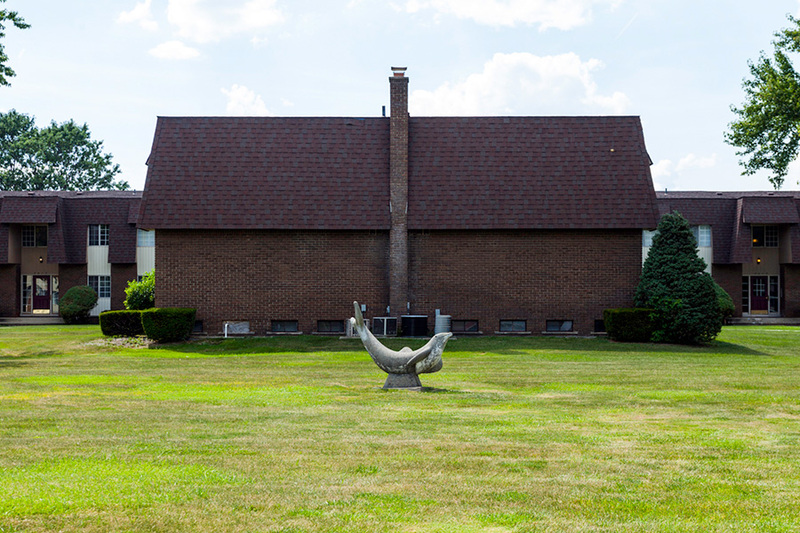 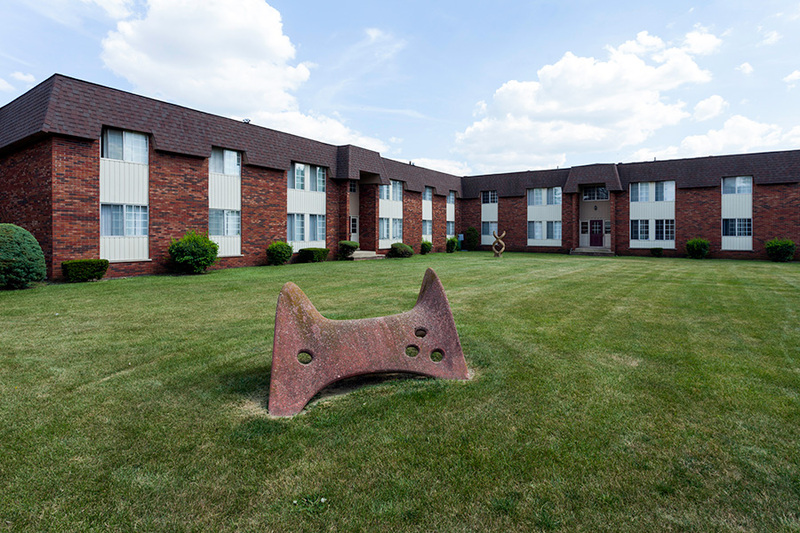 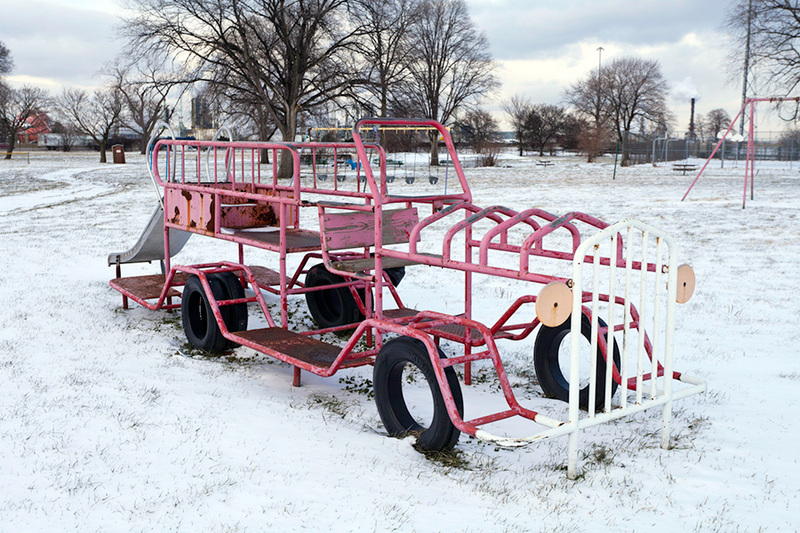 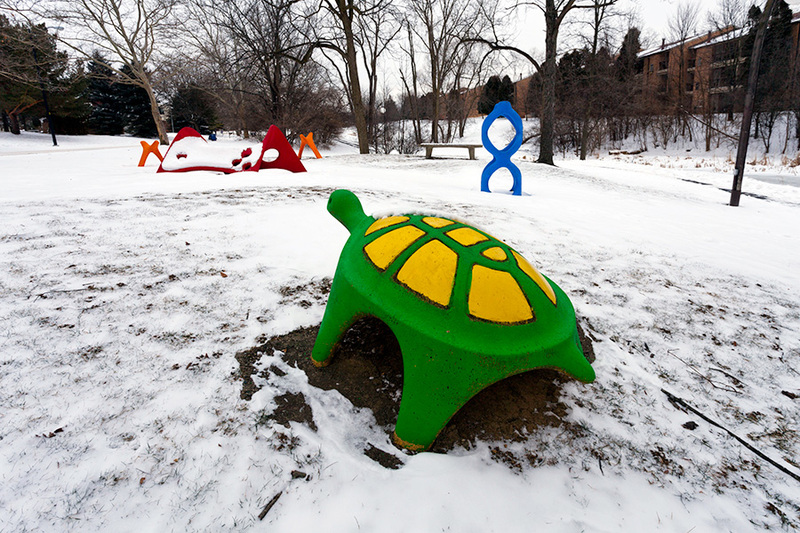 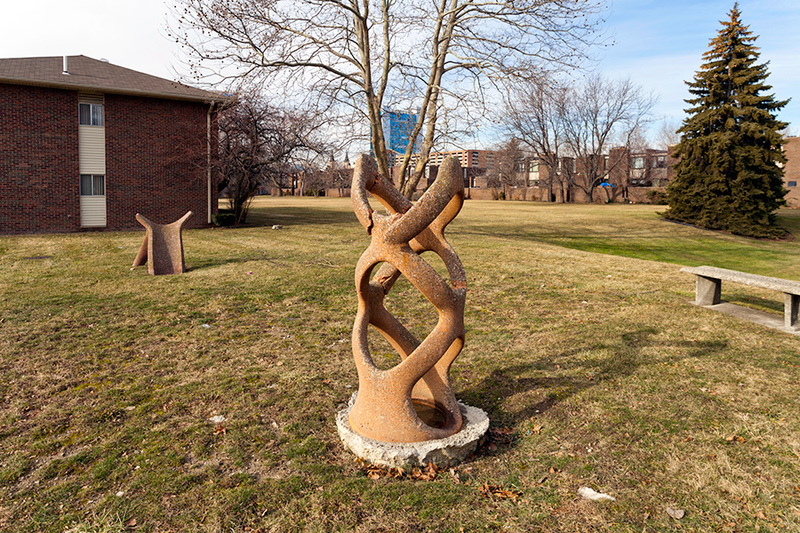 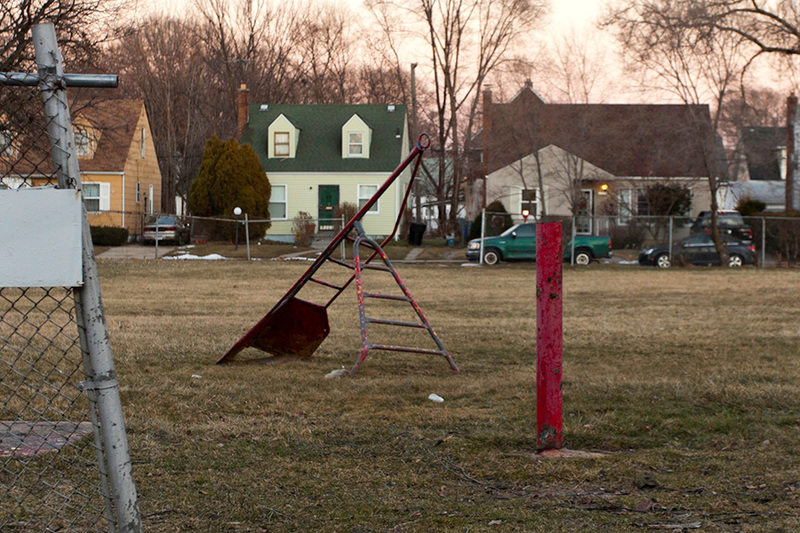 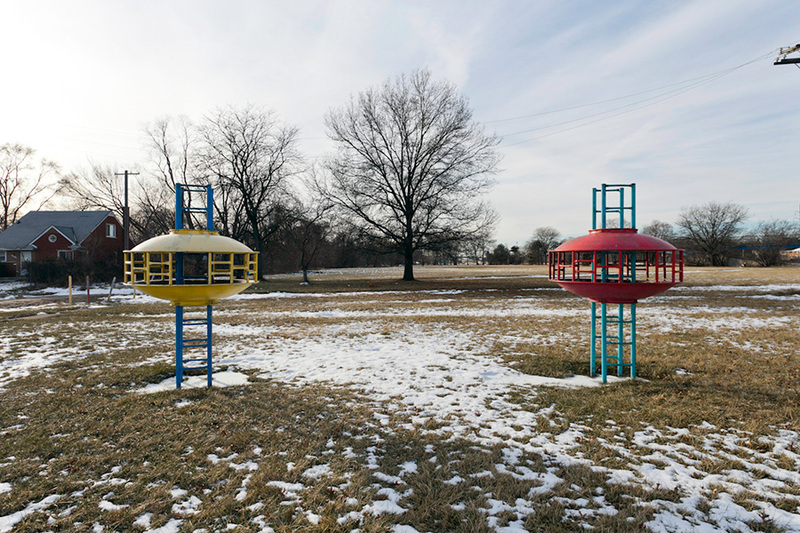 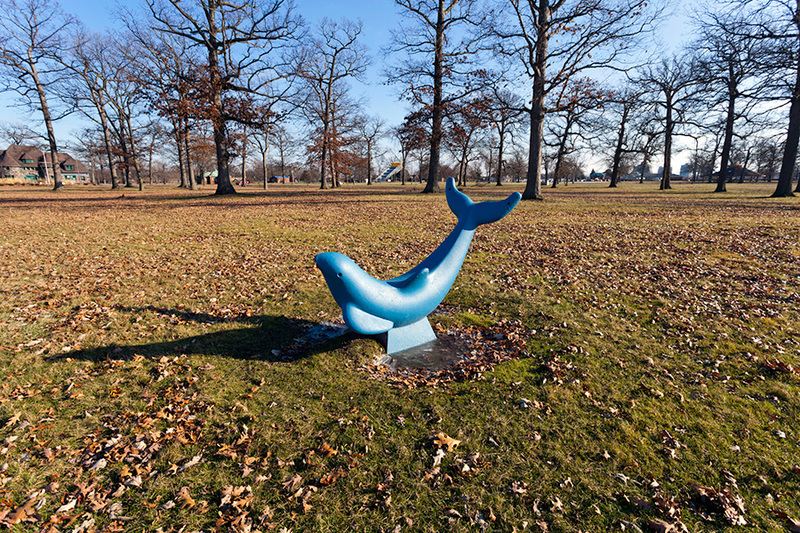 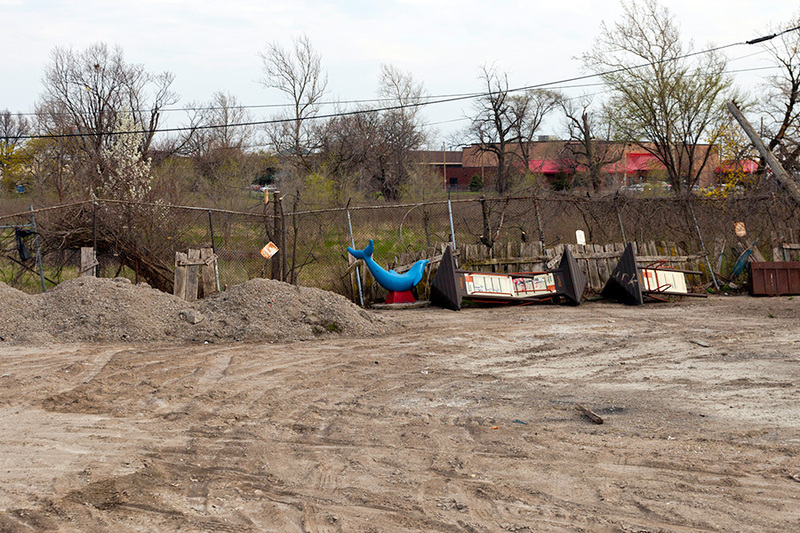 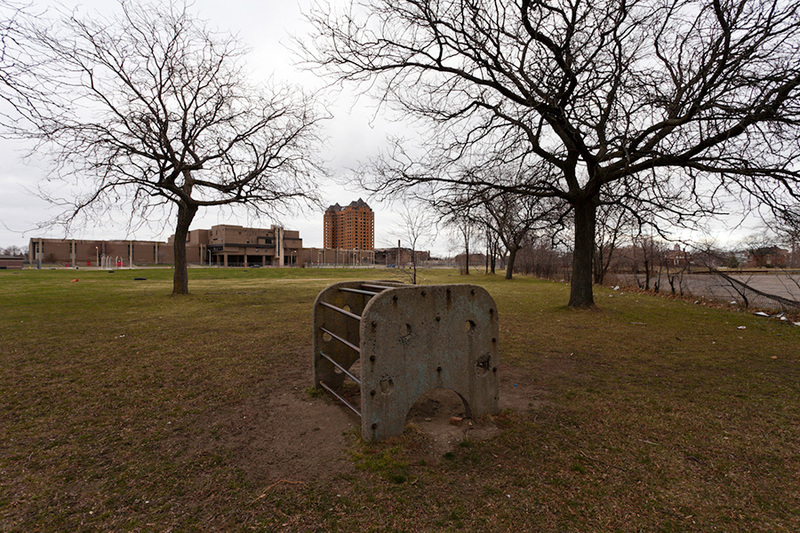 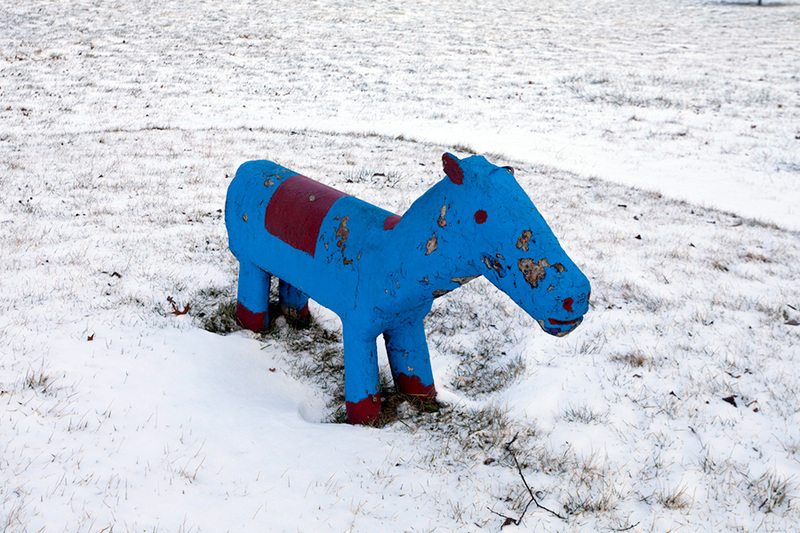 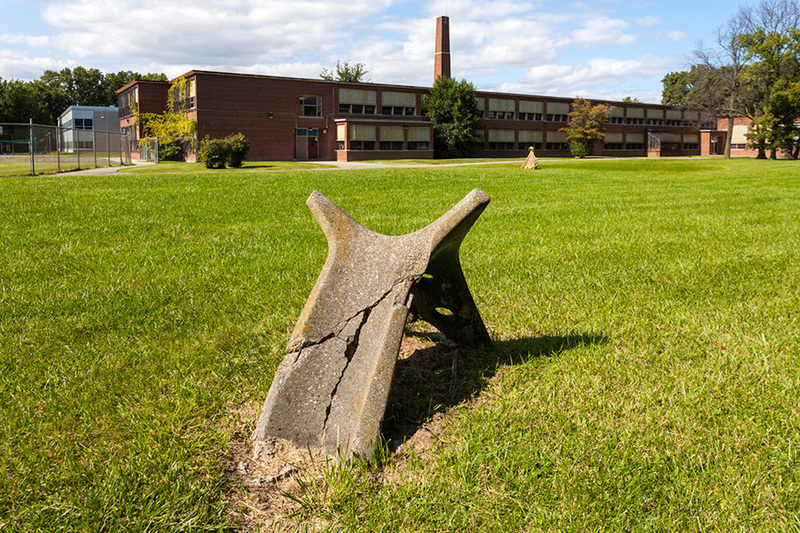 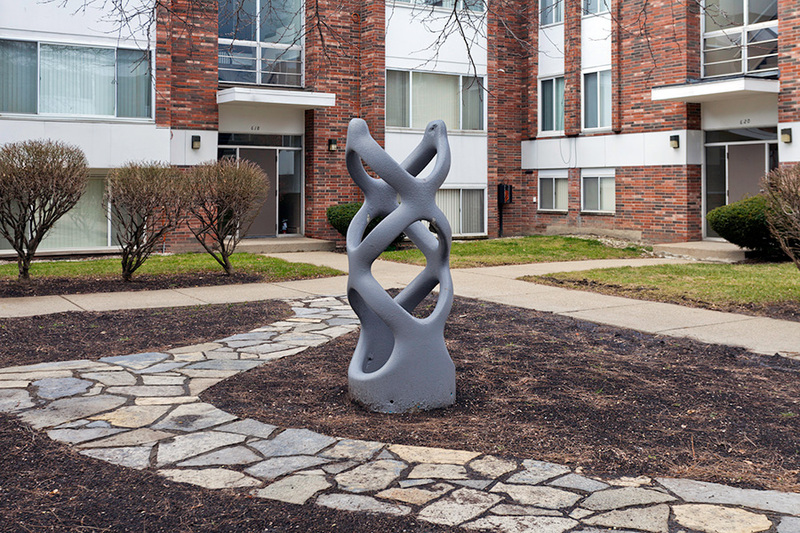 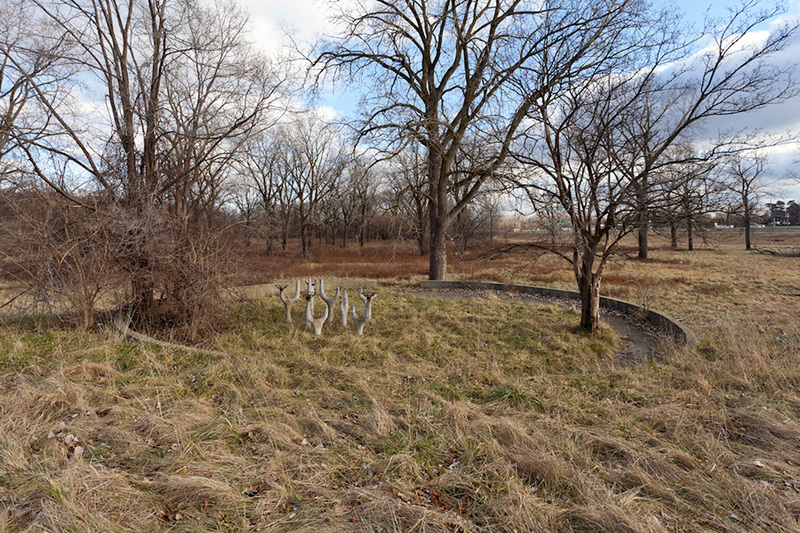 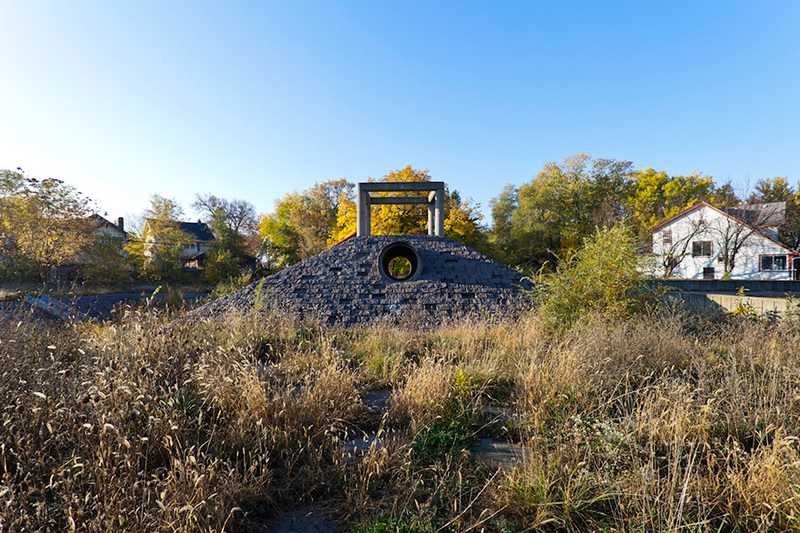 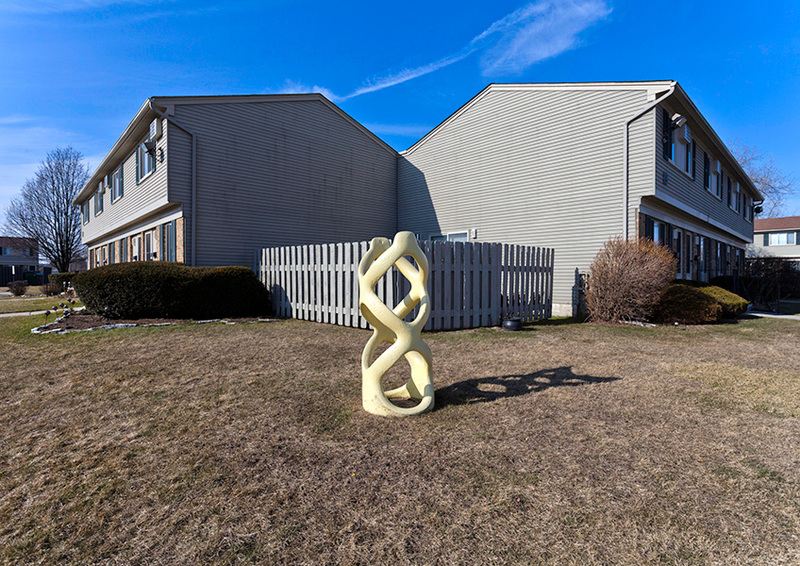 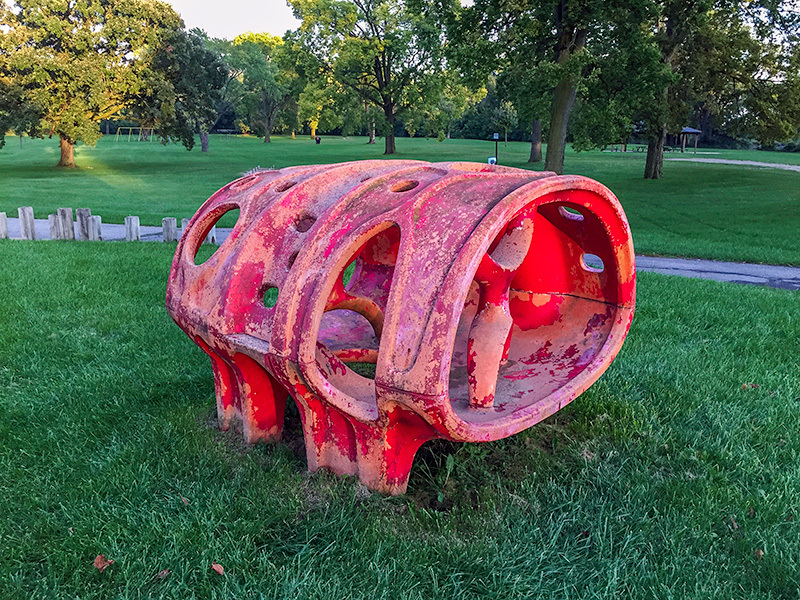 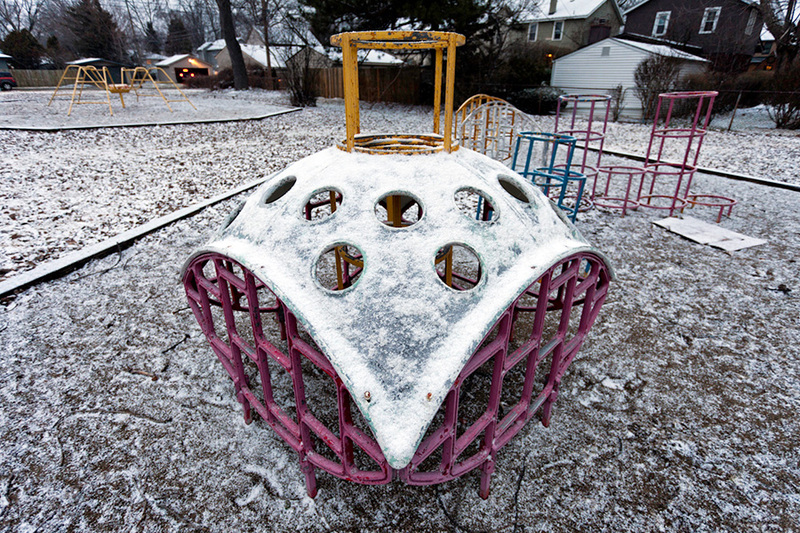 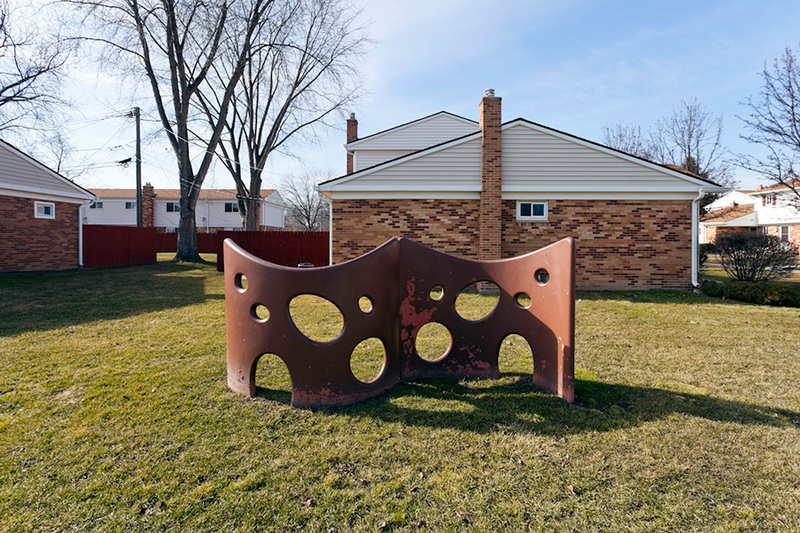 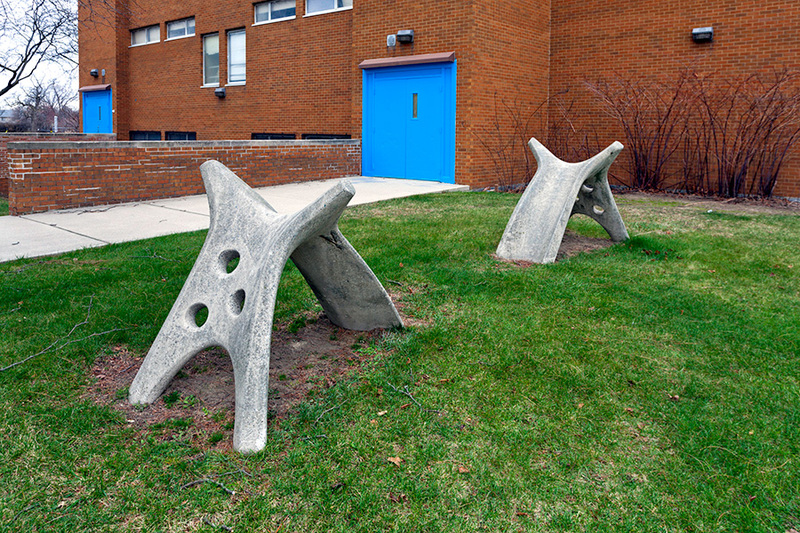 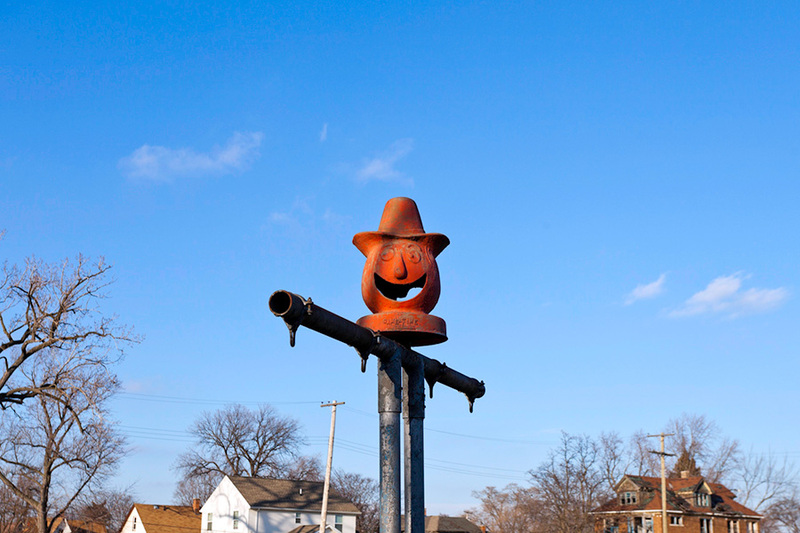 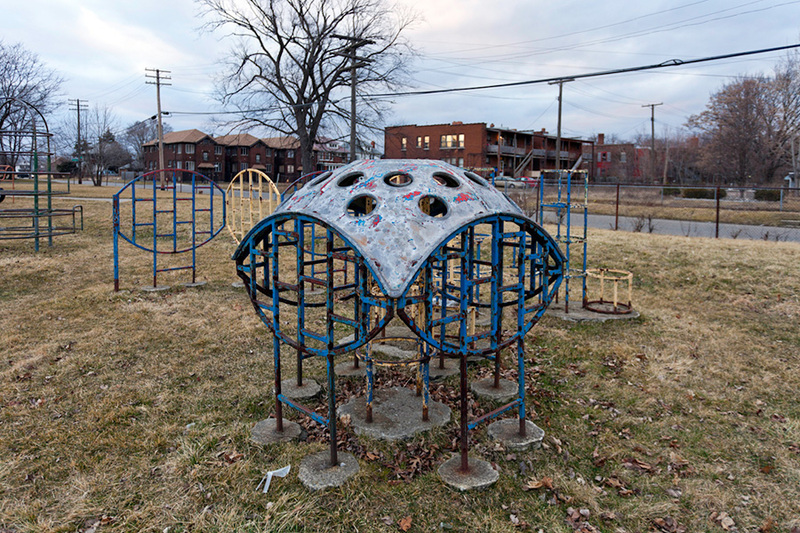 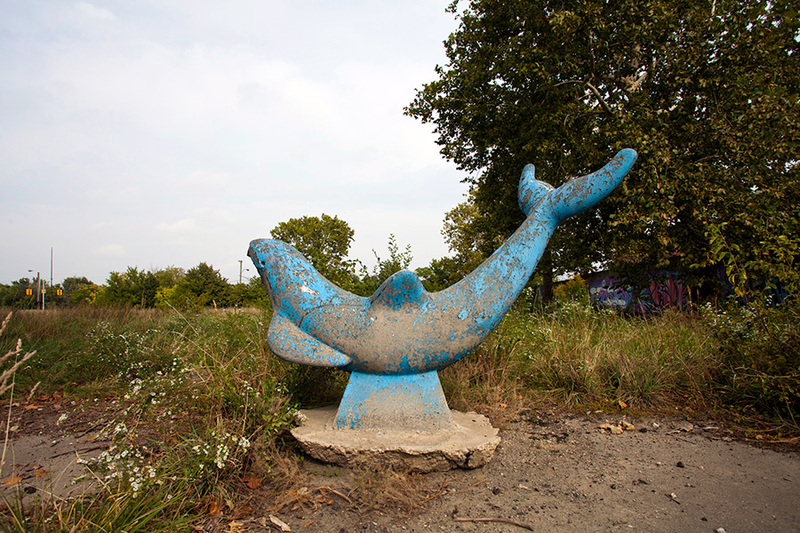 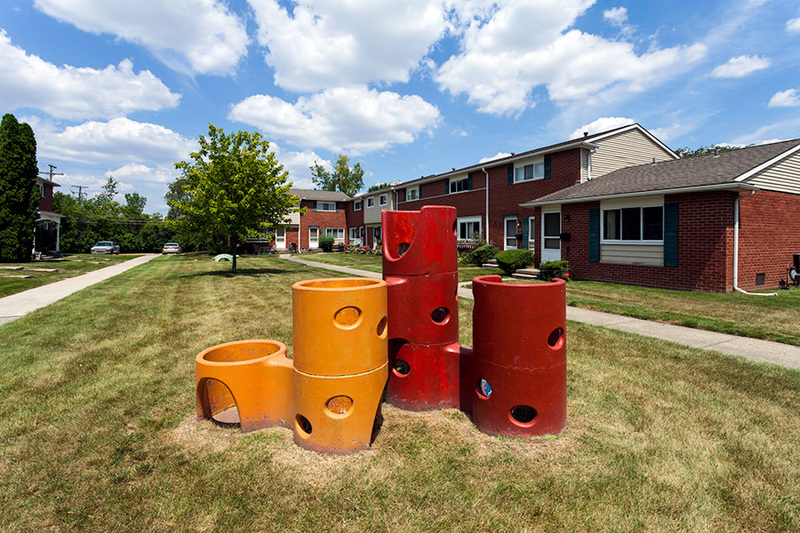 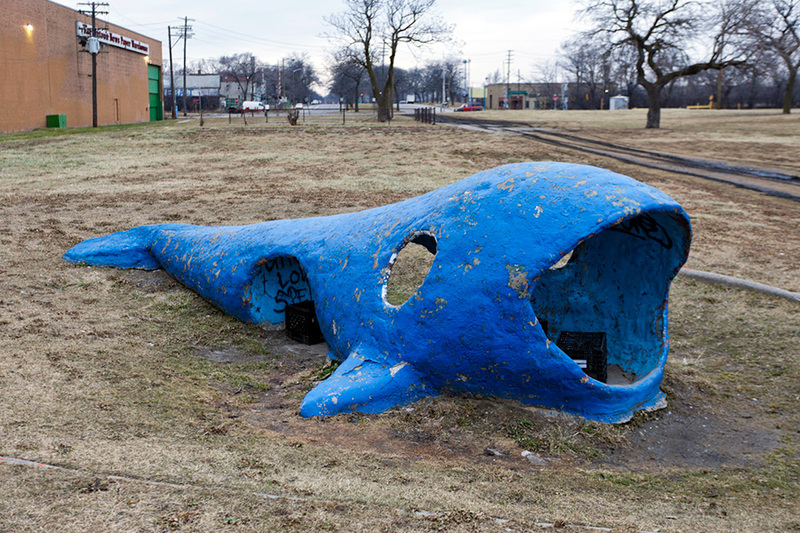 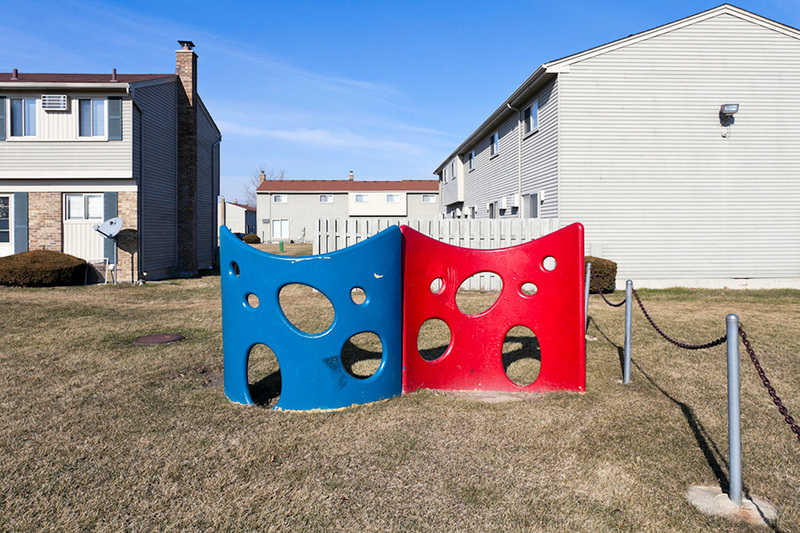 MID CENTURY MODERN PLAYGROUND SCULPTURES is an ongoing photo series capturing the disappearing playscapes that were once ubiquitous throughout metropolitan Detroit and beyond - primarily focused on the works of Jim Miller-Melberg and the cast-concrete sculptures of his company, Form Incorporated. 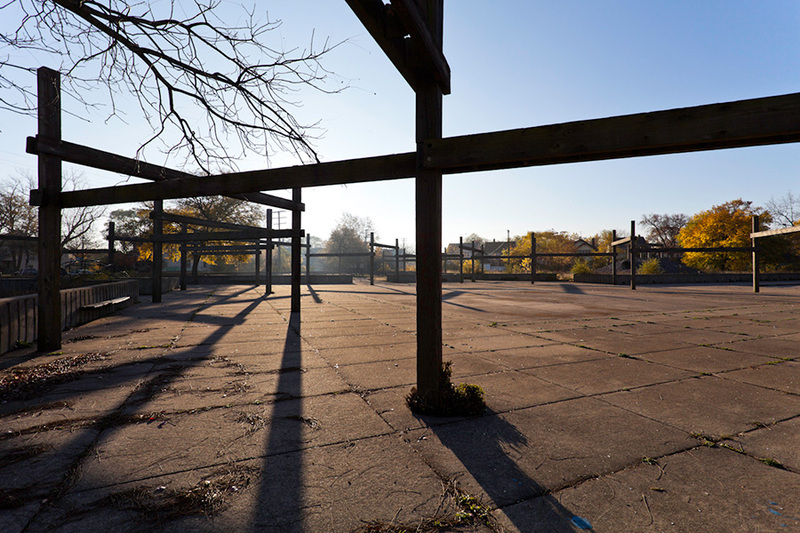 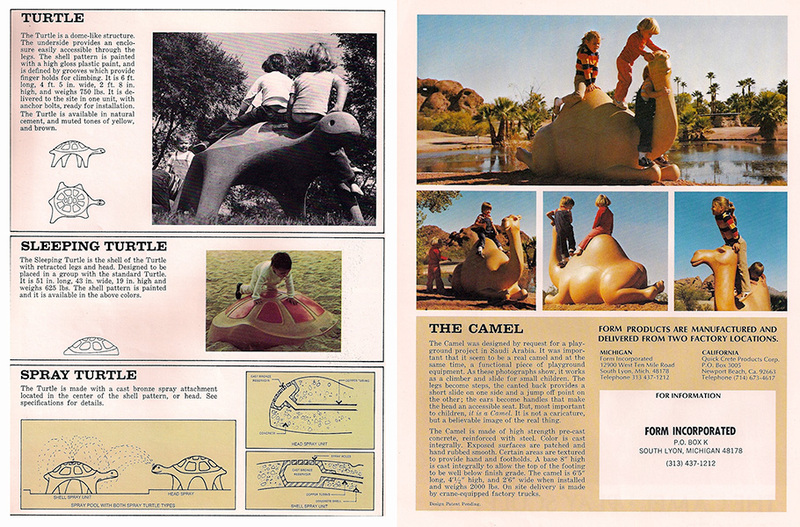 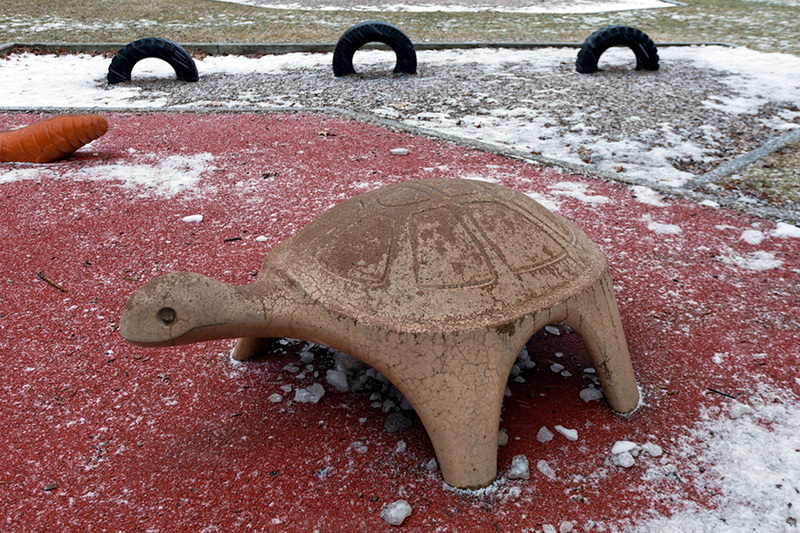 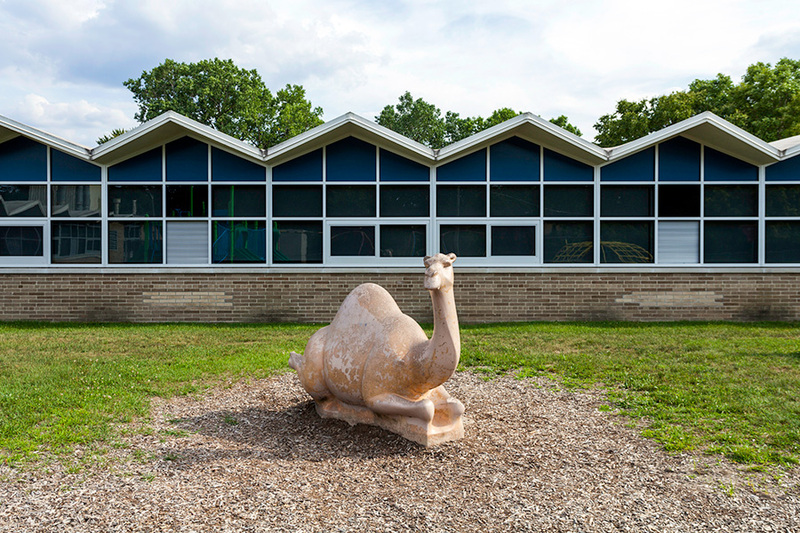 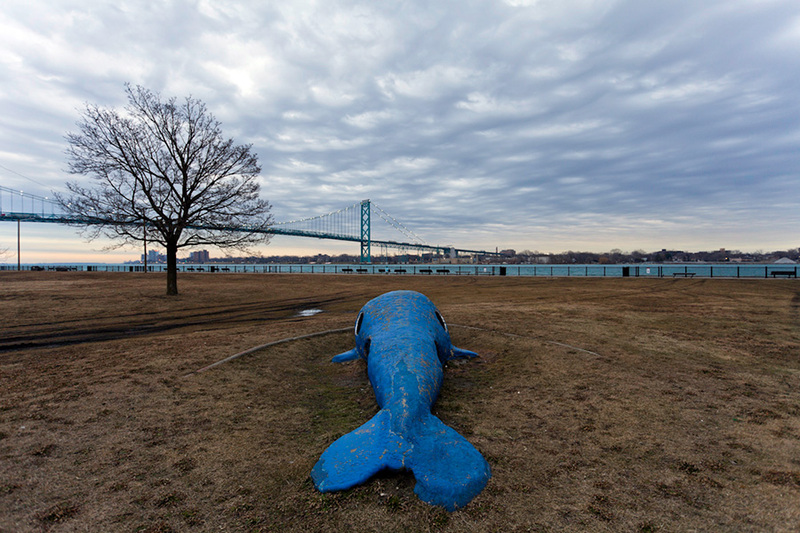 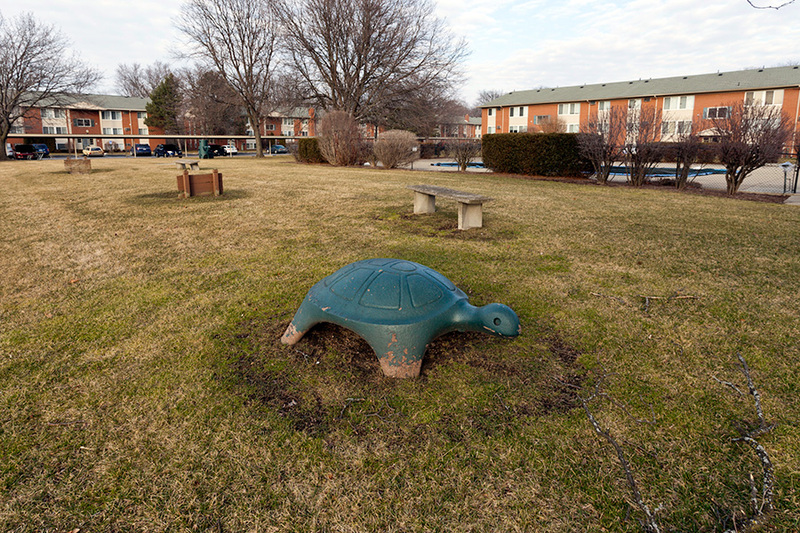 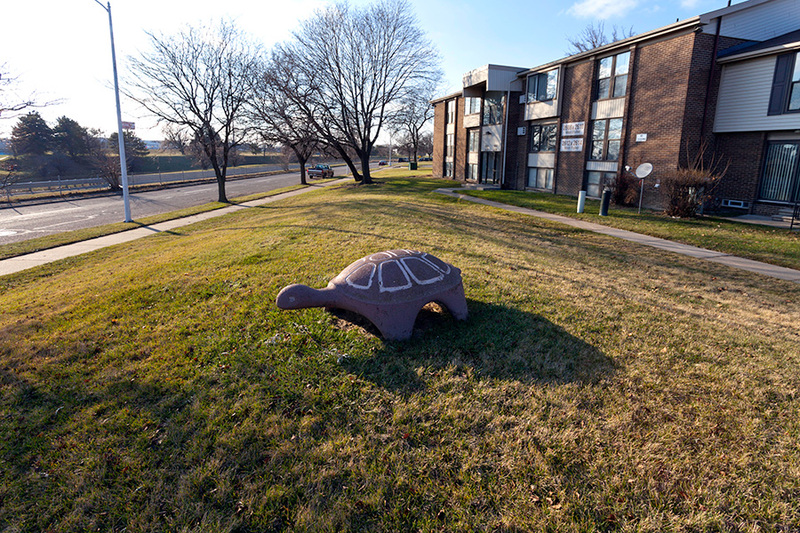 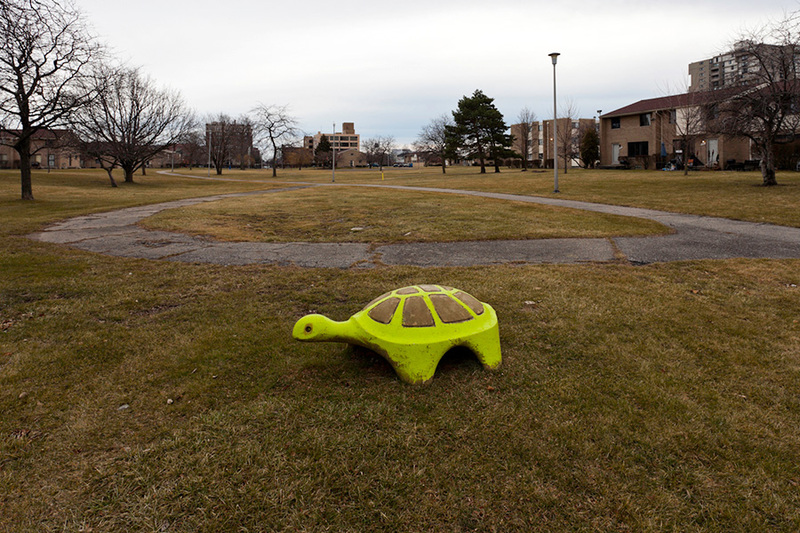 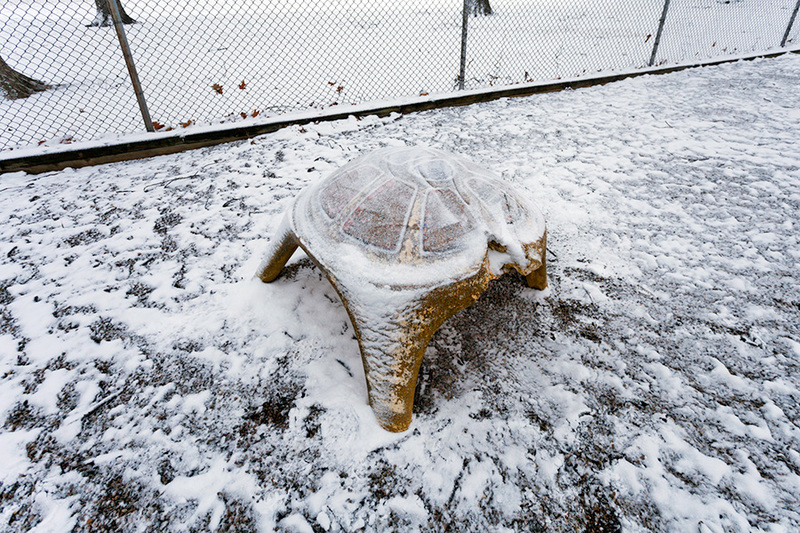 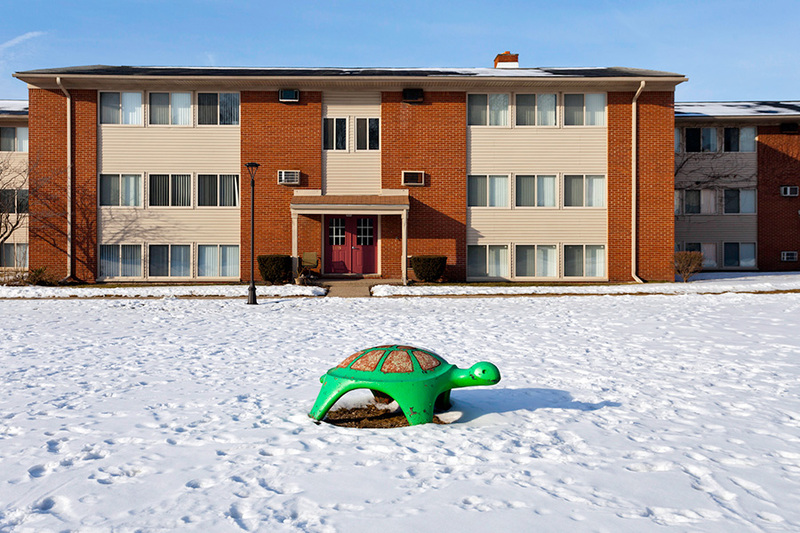 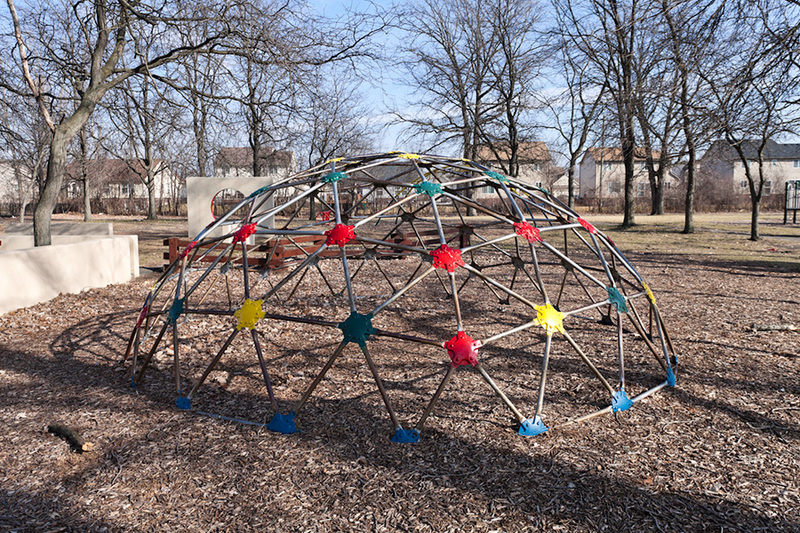 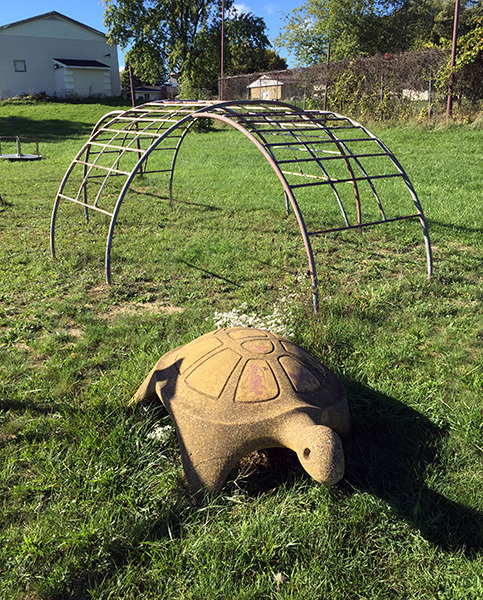 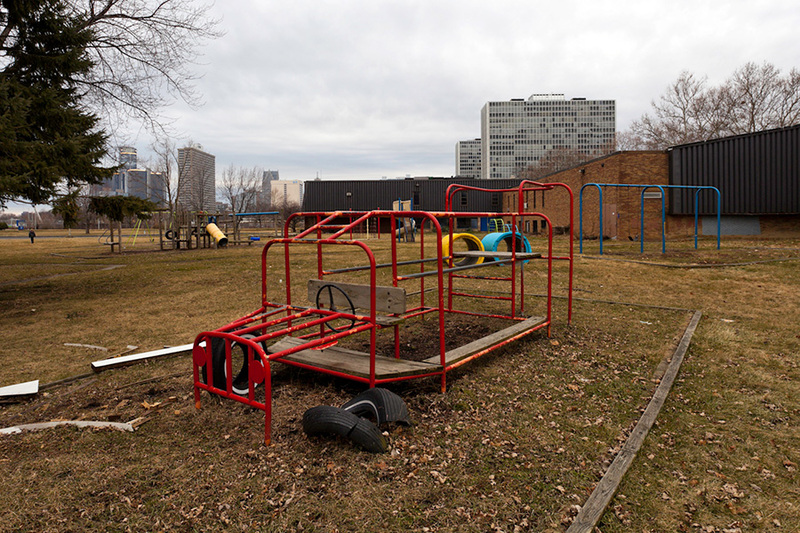 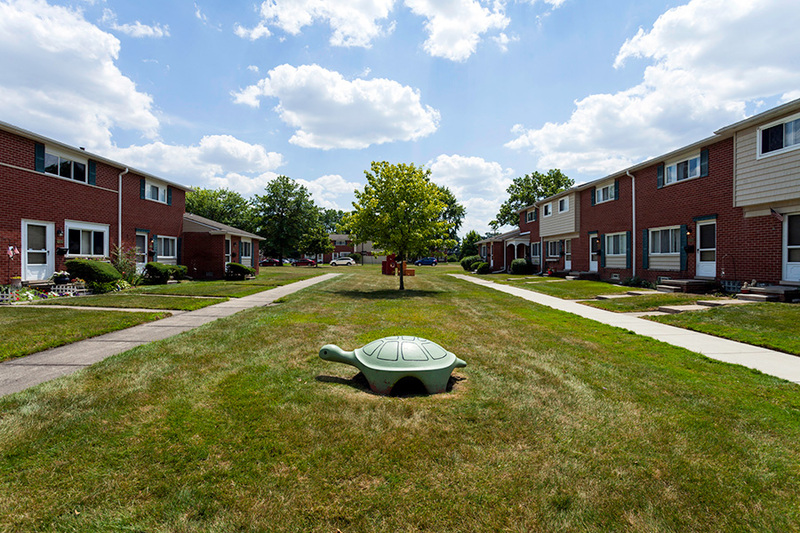 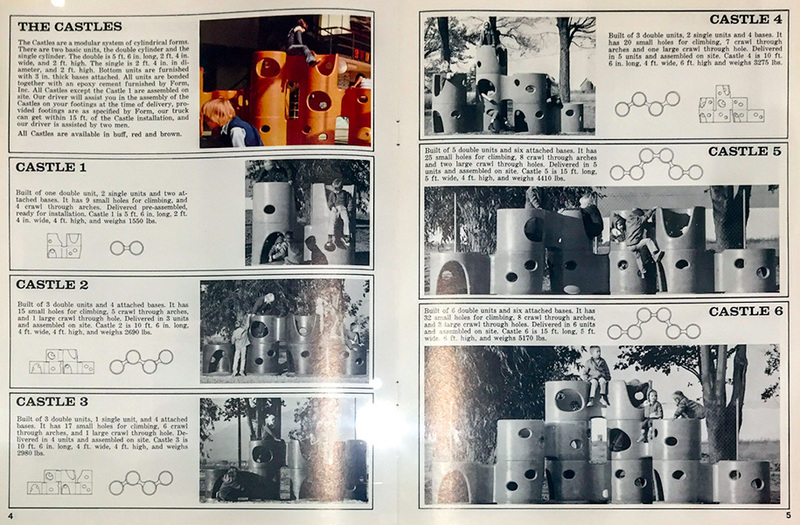 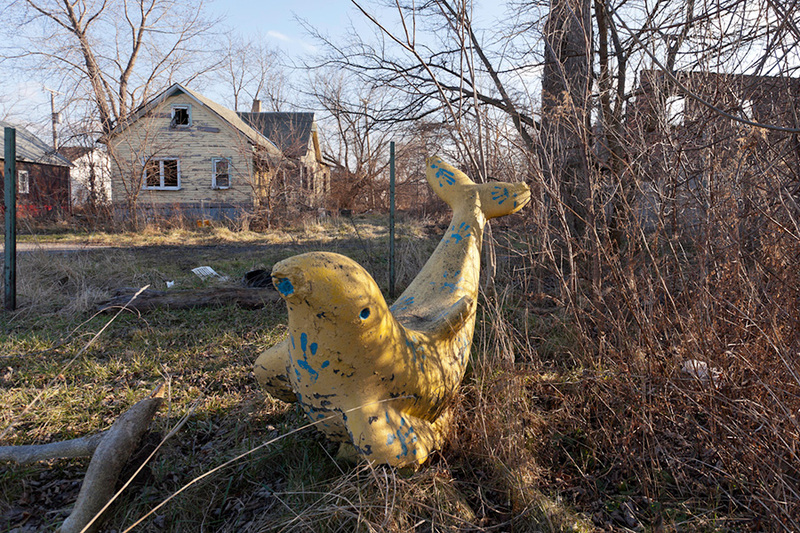 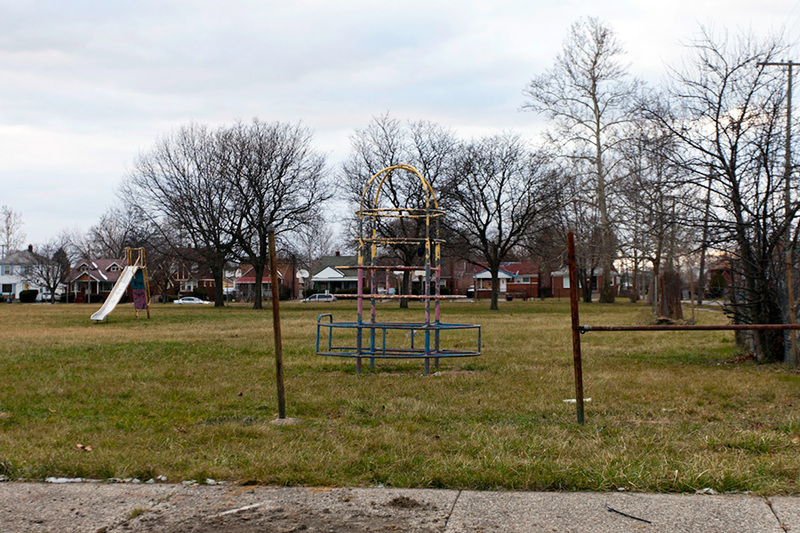 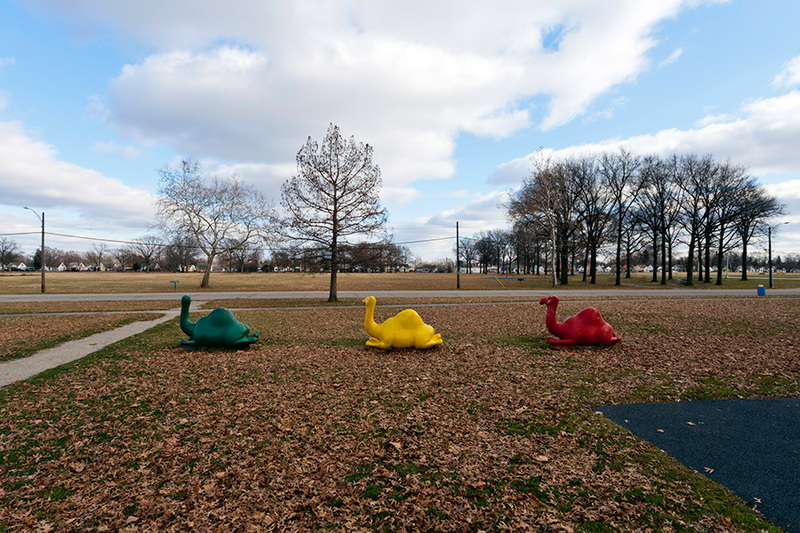 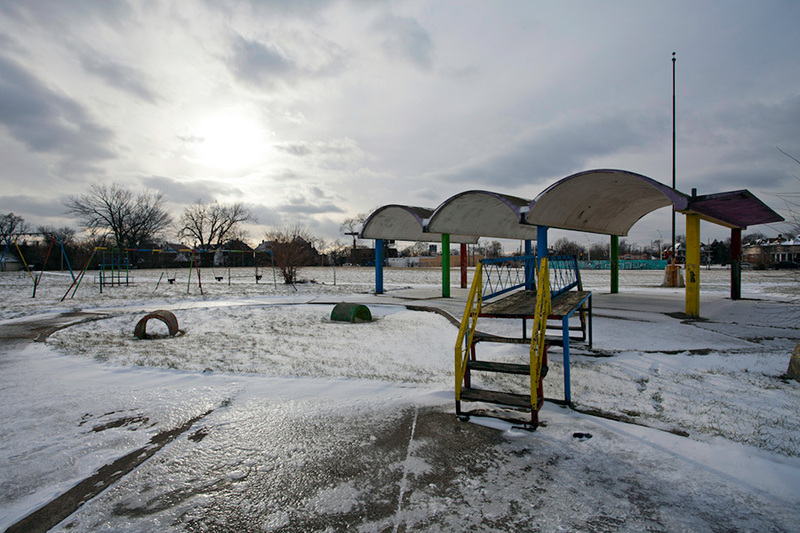 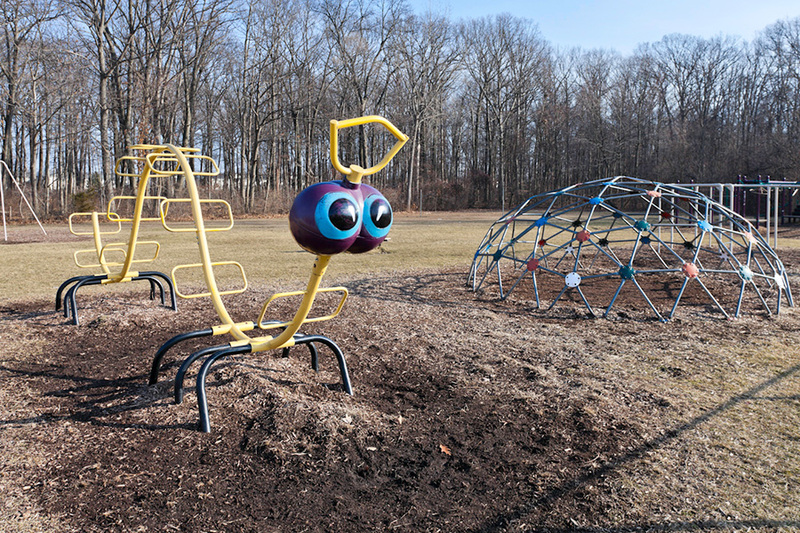 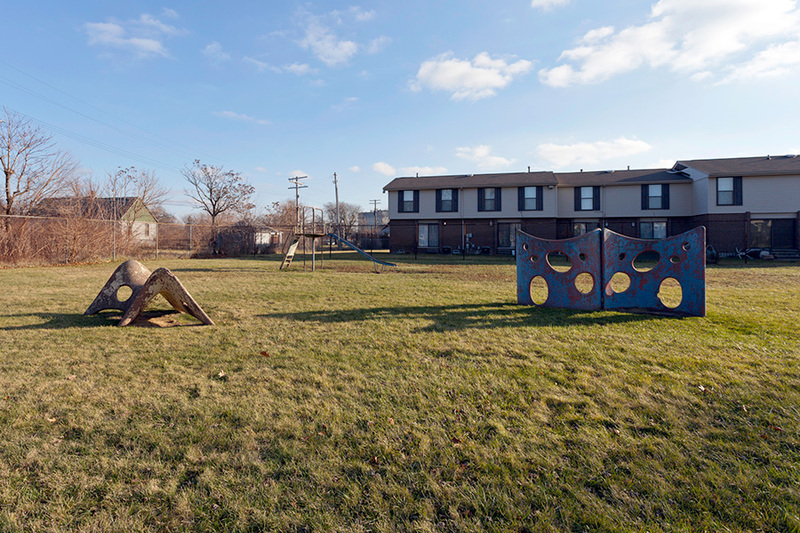 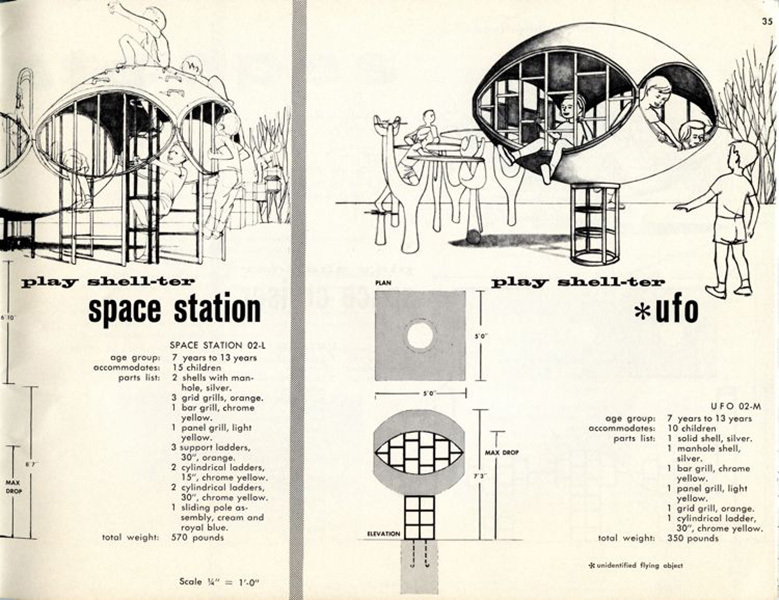 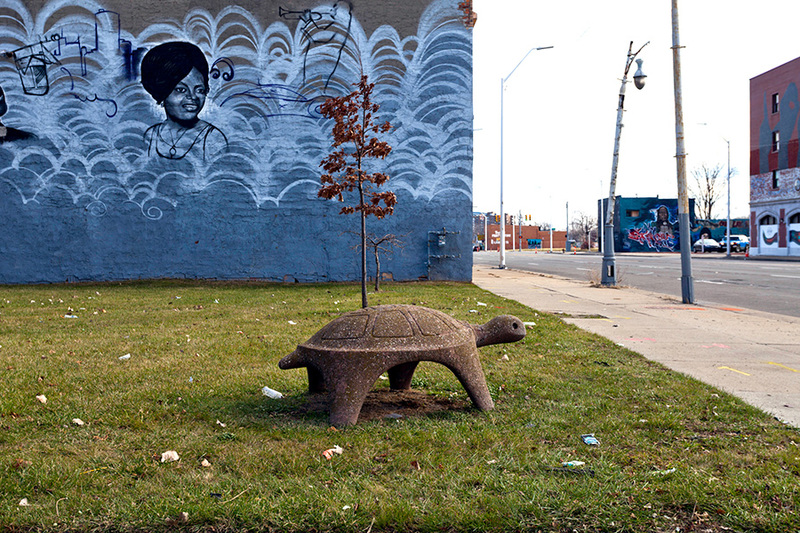 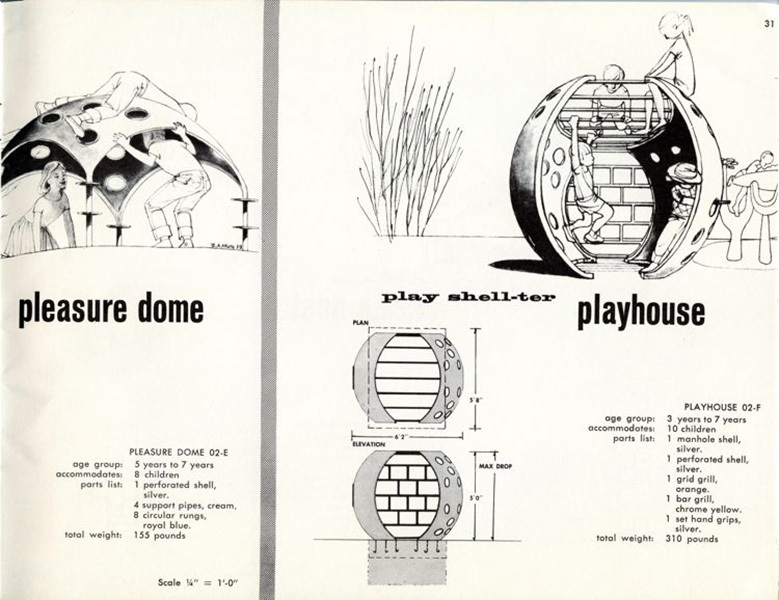 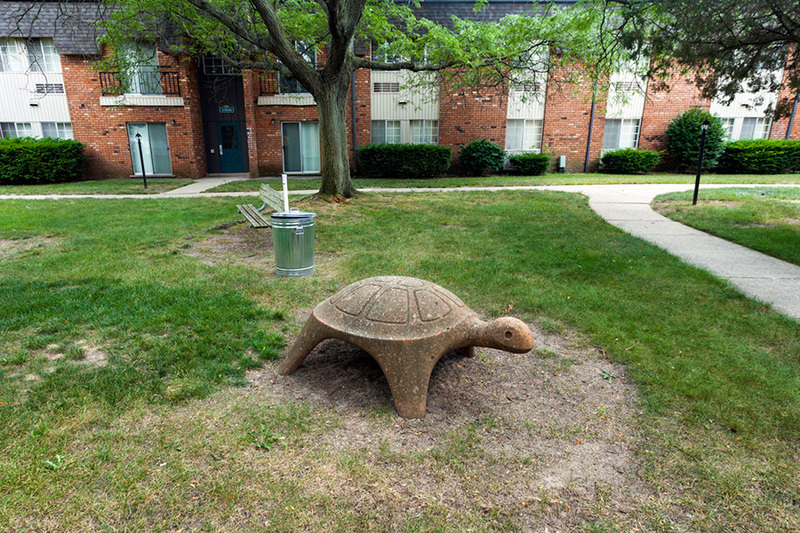 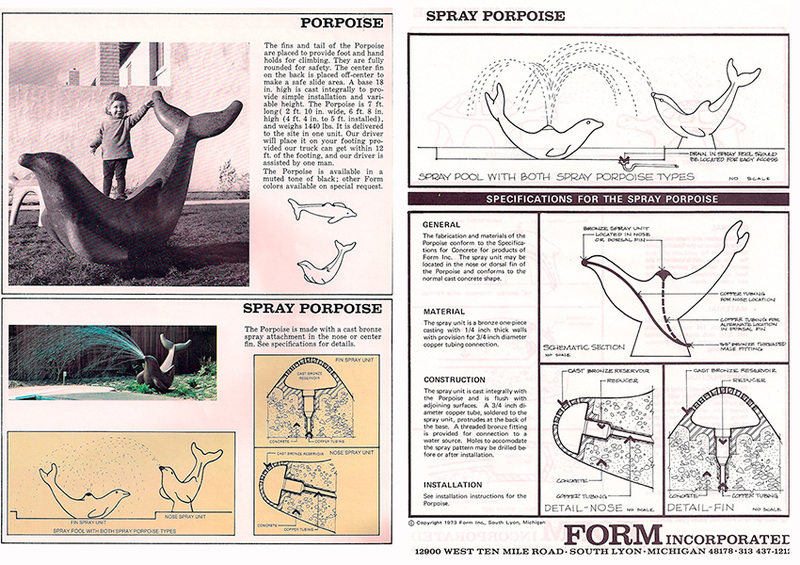 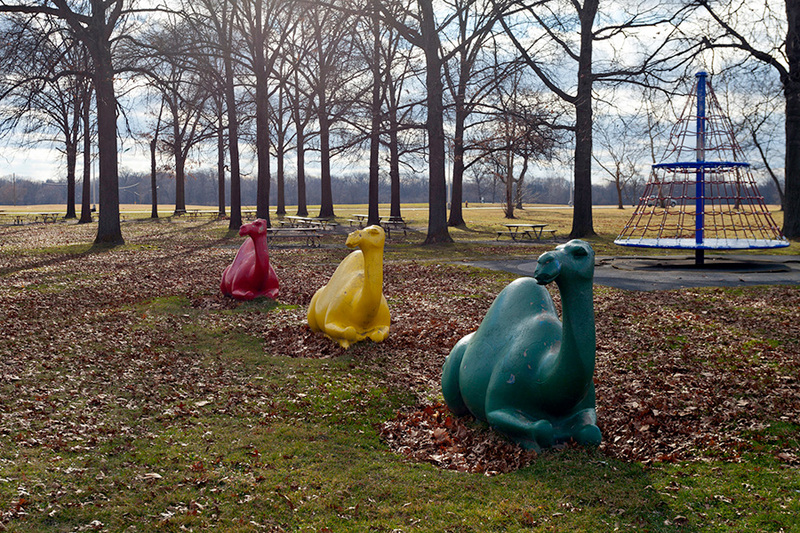 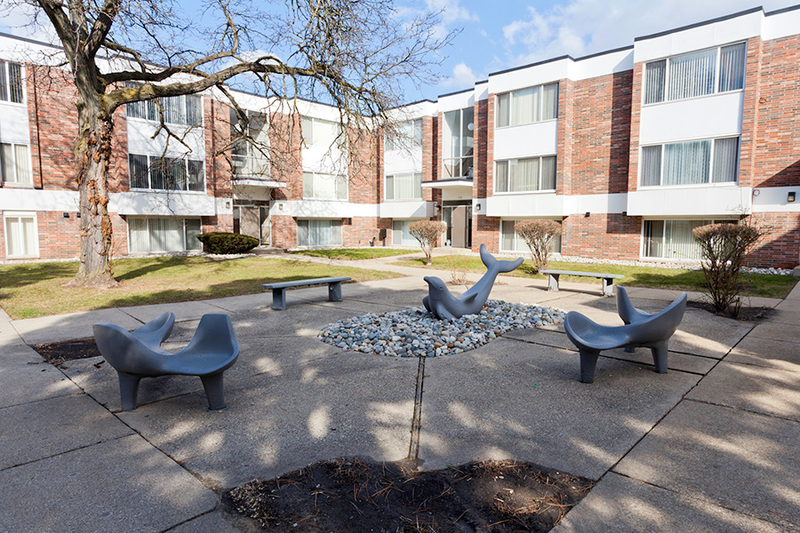 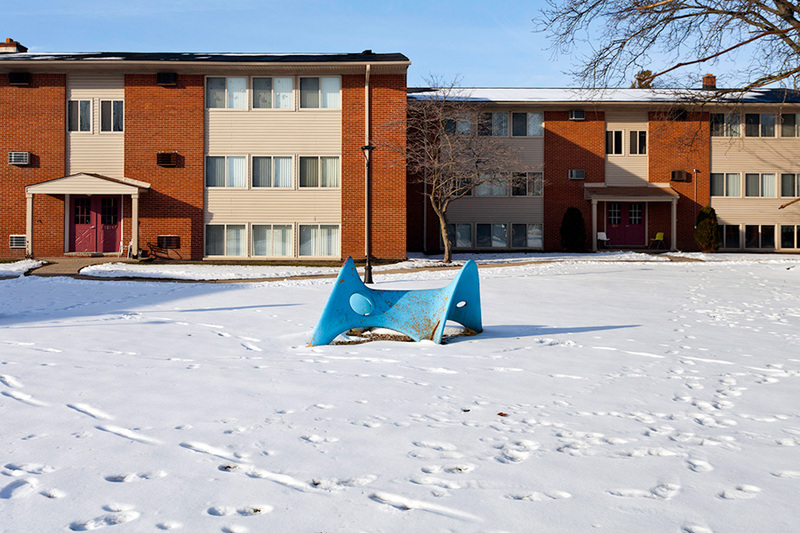 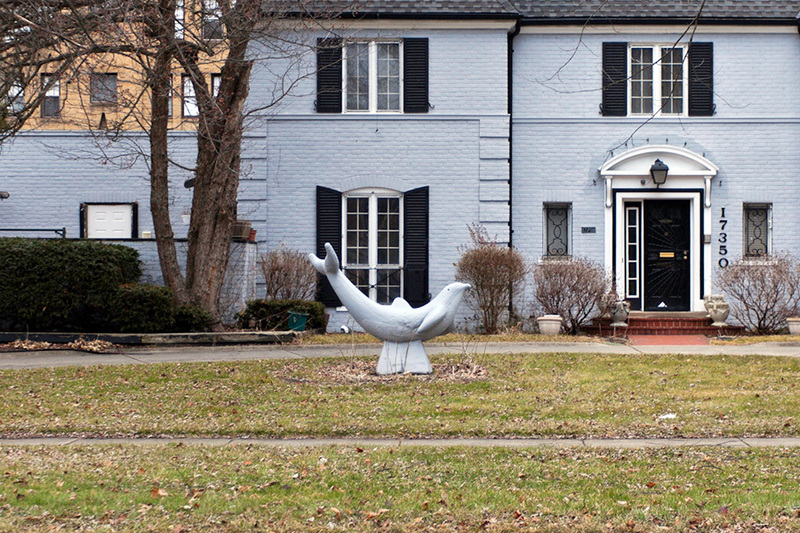 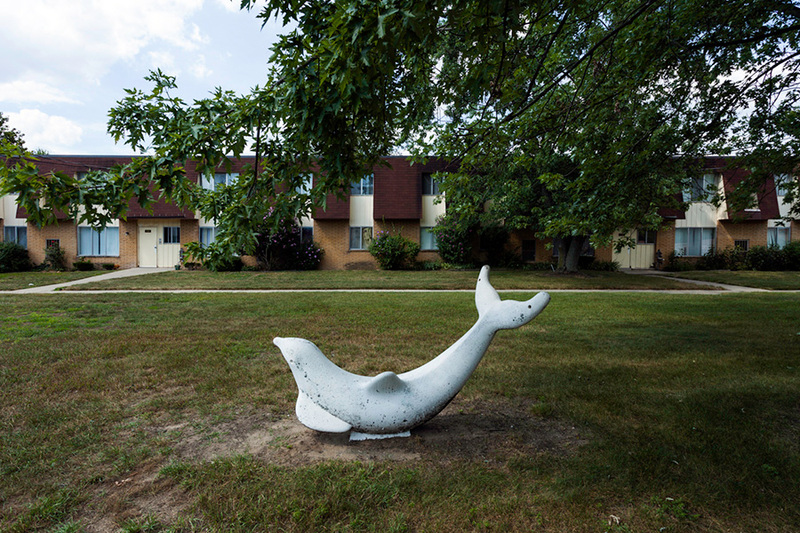 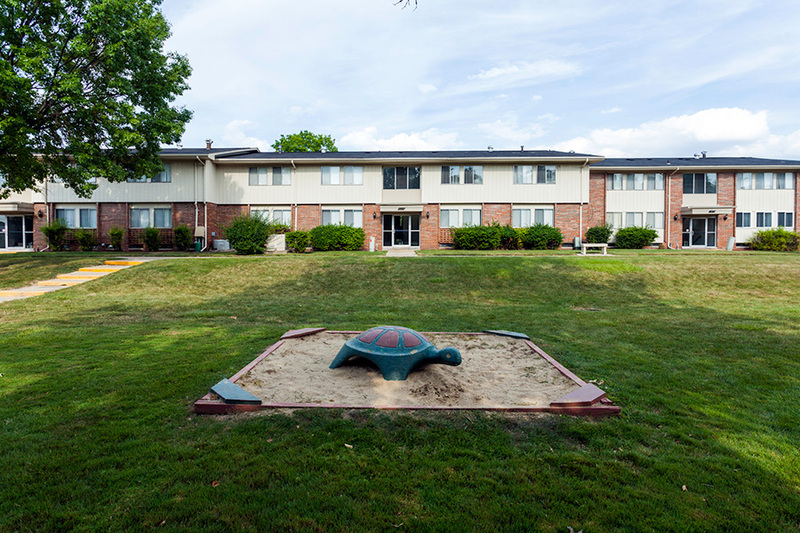 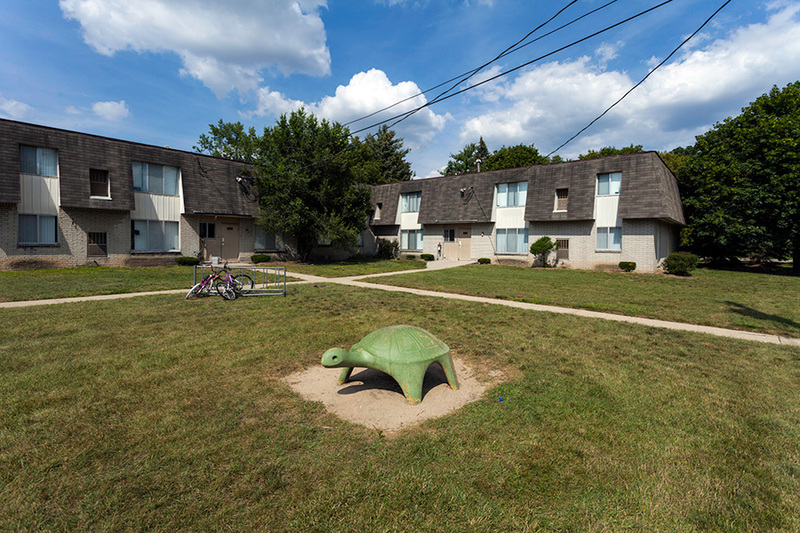 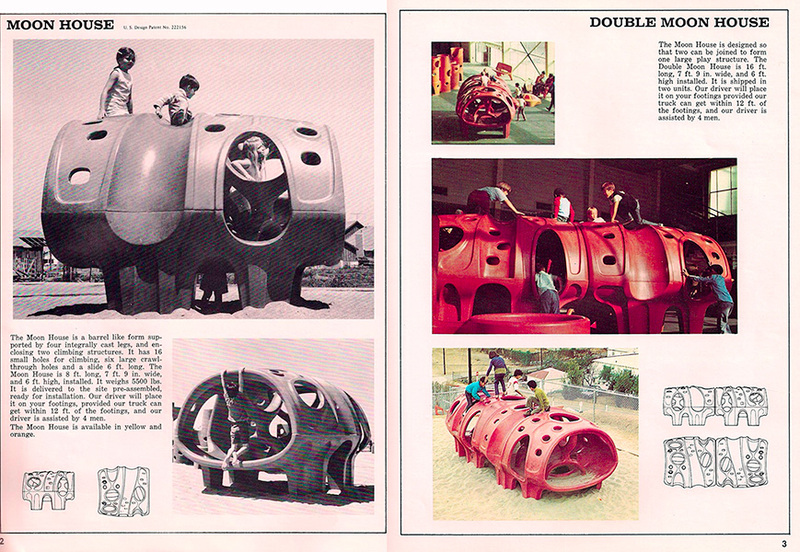 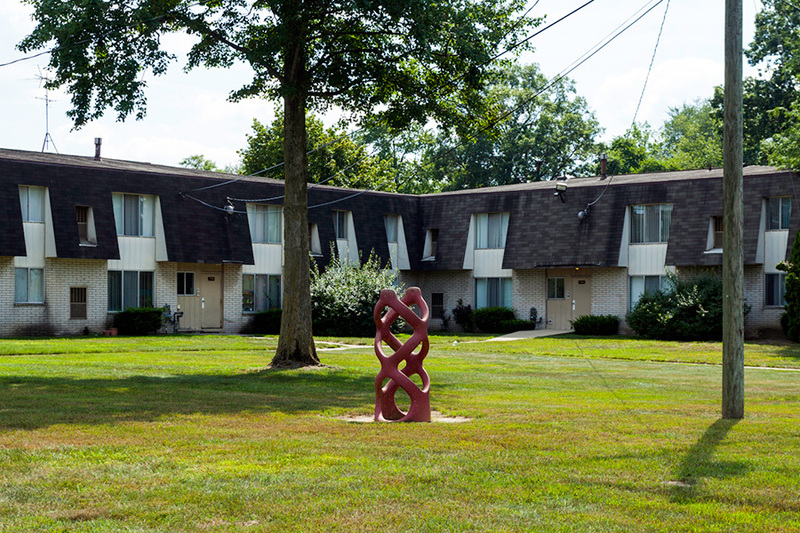 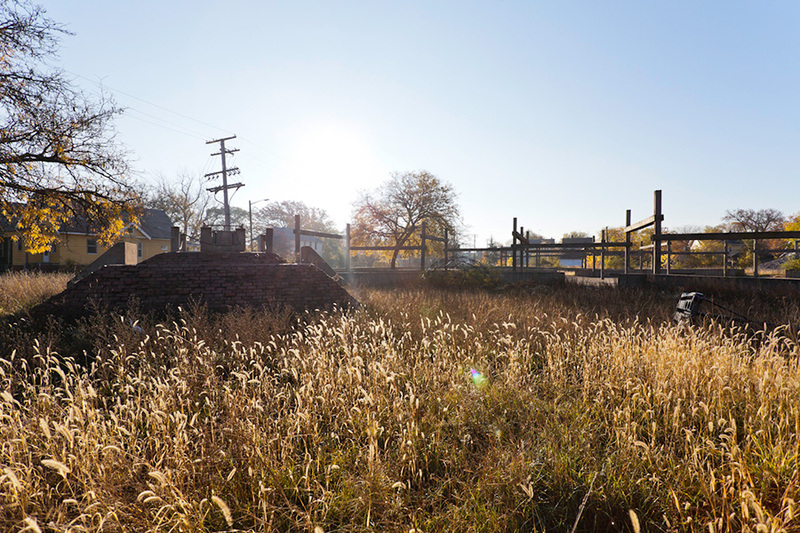 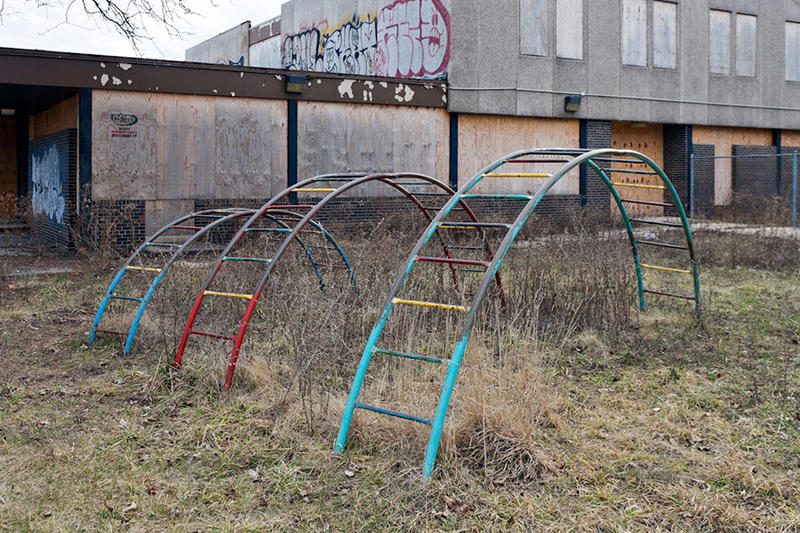 From concrete turtles, porpoises, and camels, to swiss-cheese looking castles, walls, saddles, and "moonhouses," Miller-Melberg's playscapes were commonplace at Detroit parks, schools, and suburban apartment complexes. 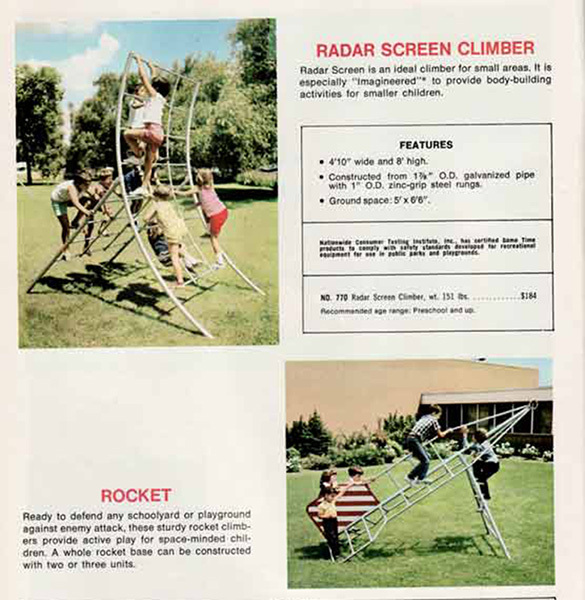 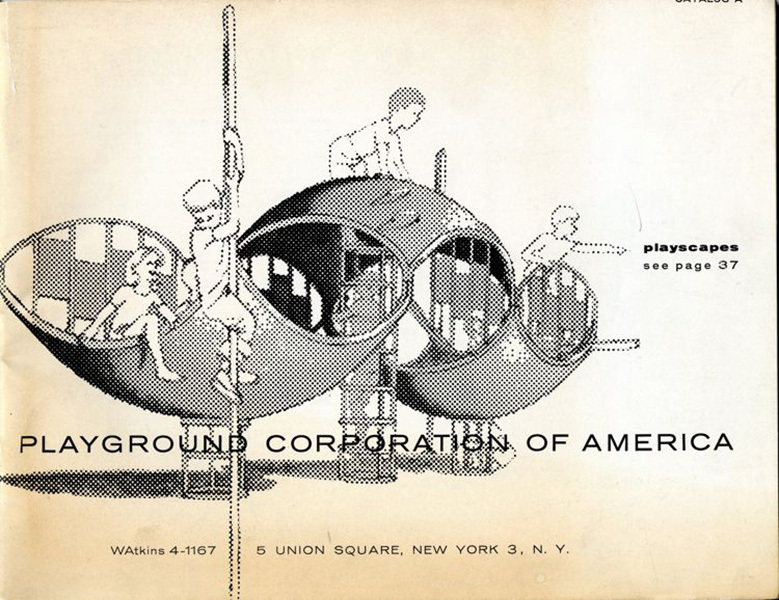 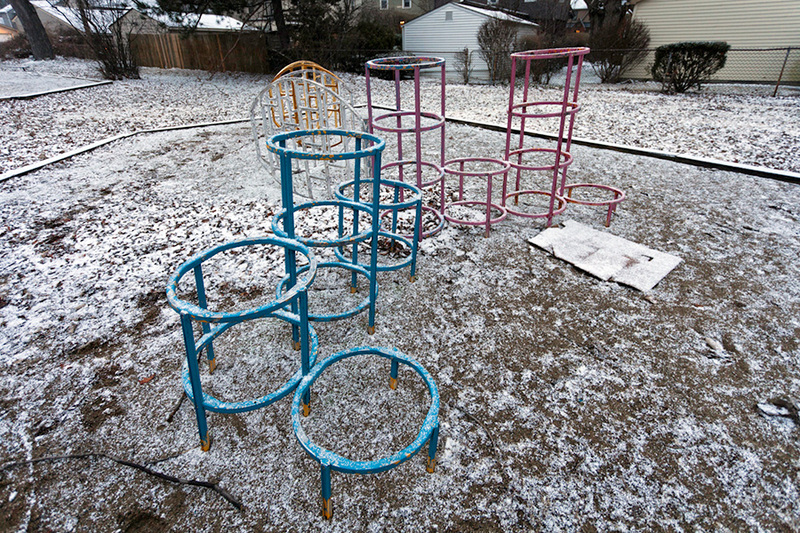 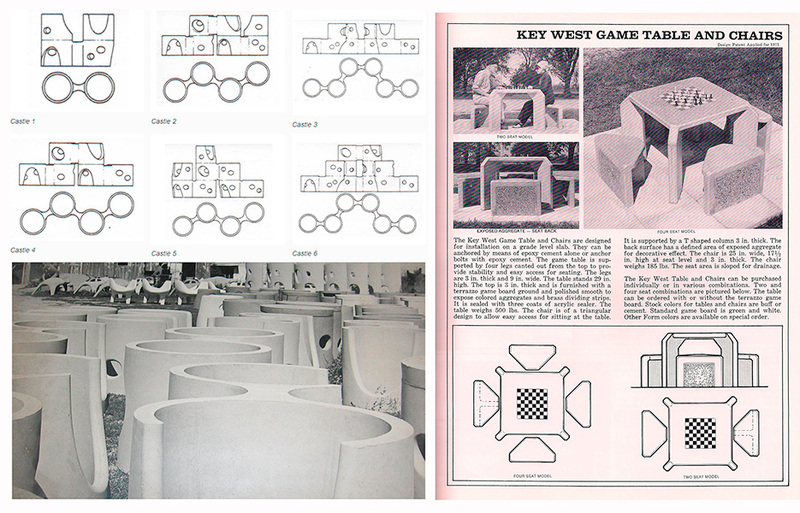 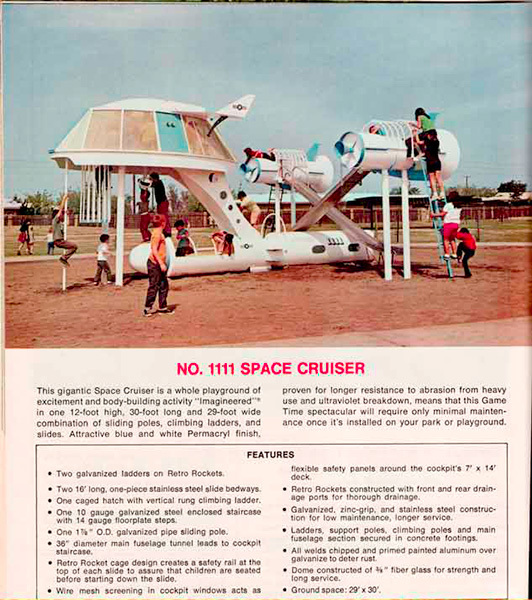 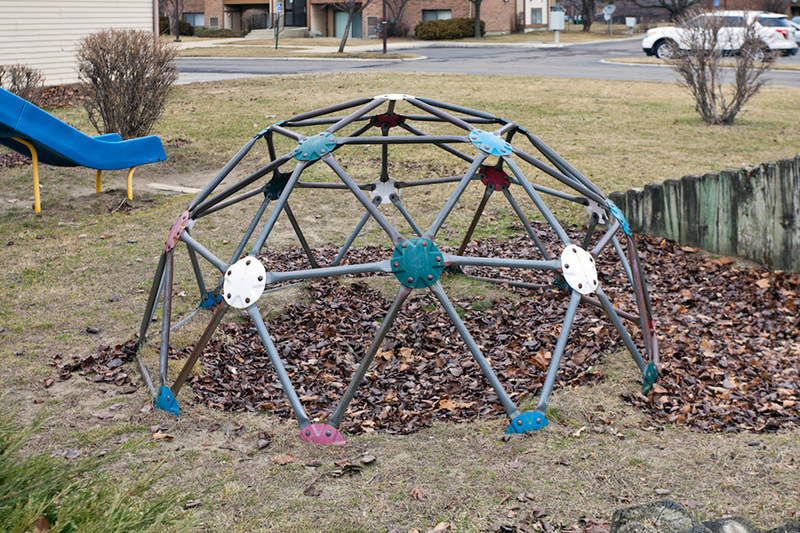 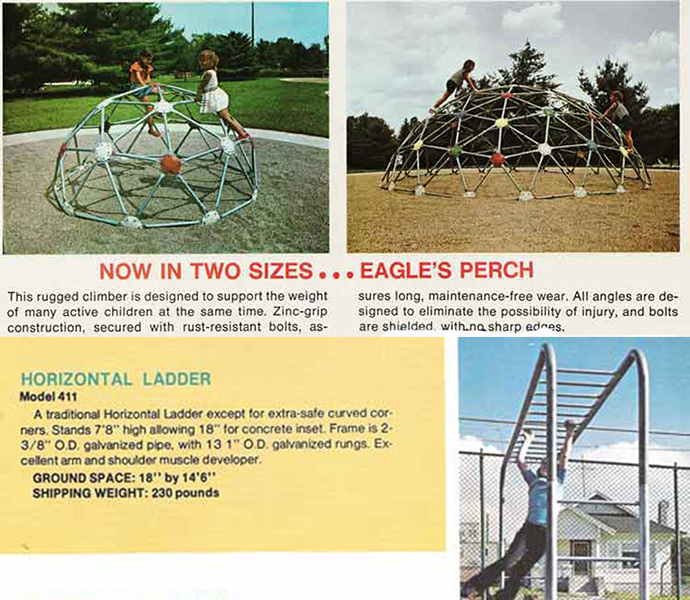 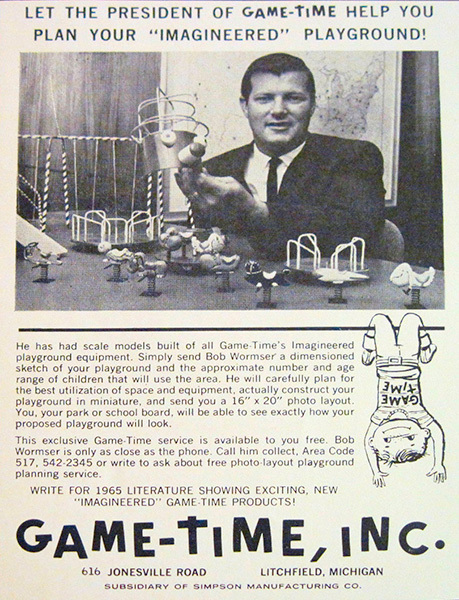 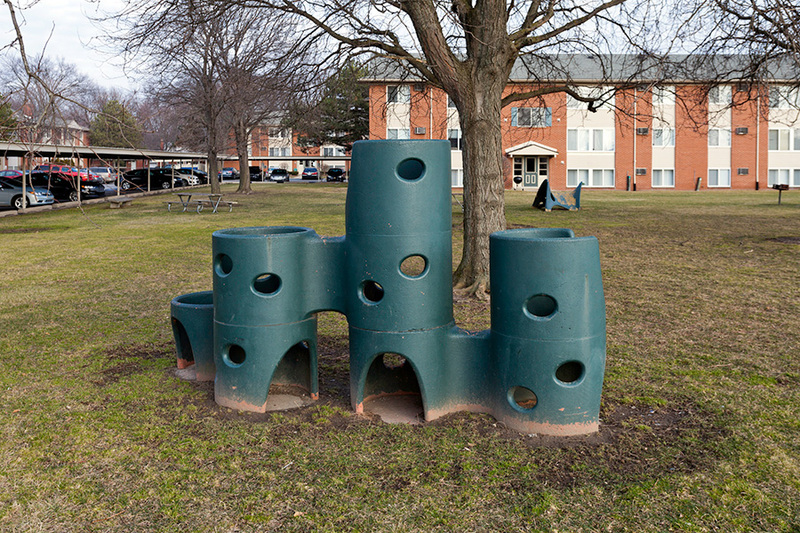 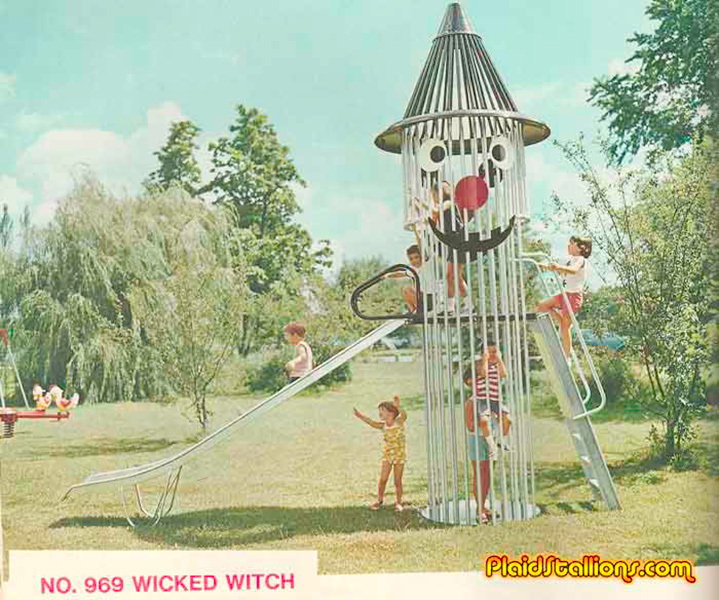 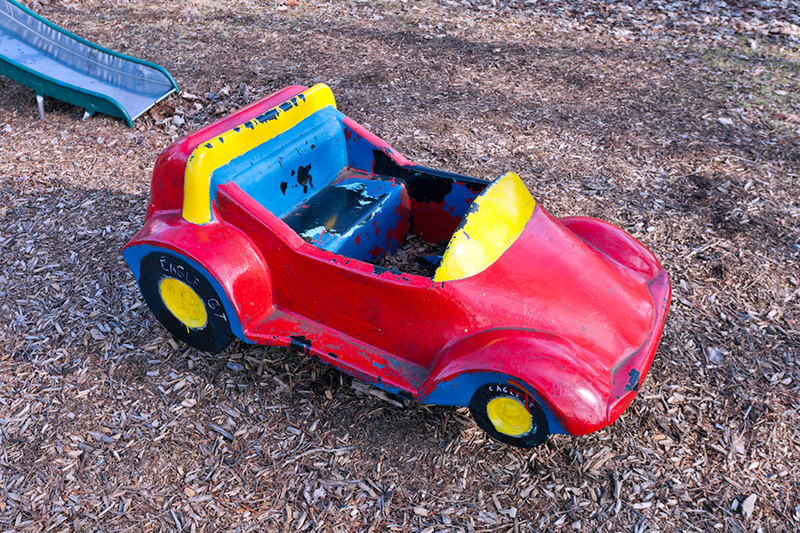 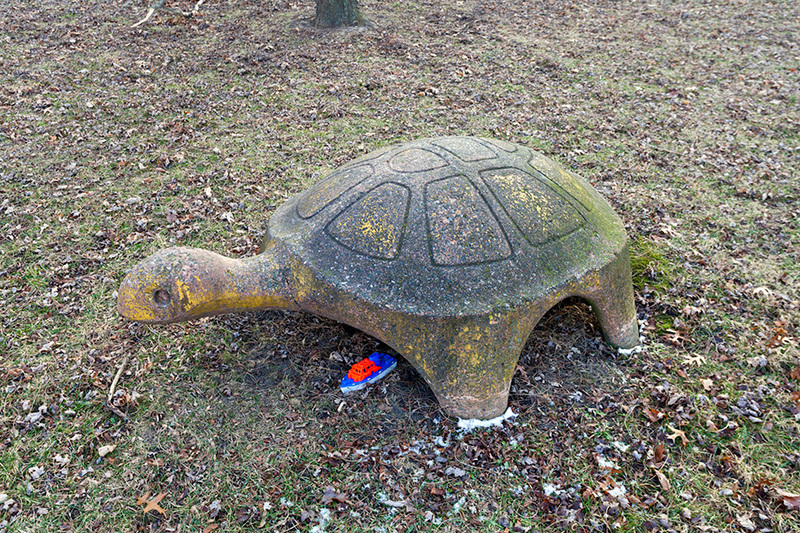 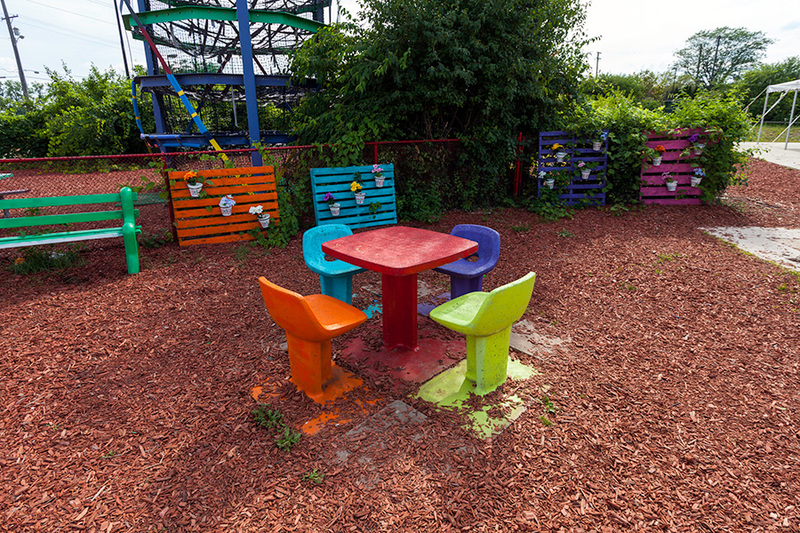 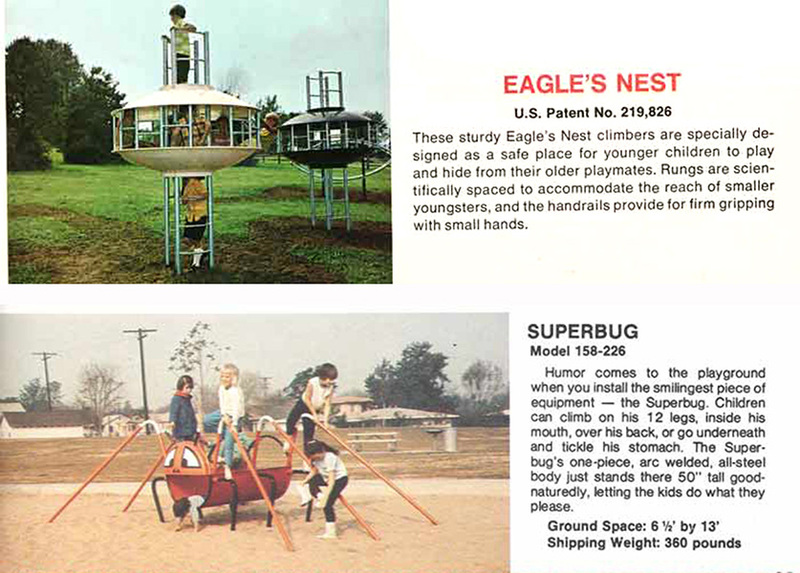 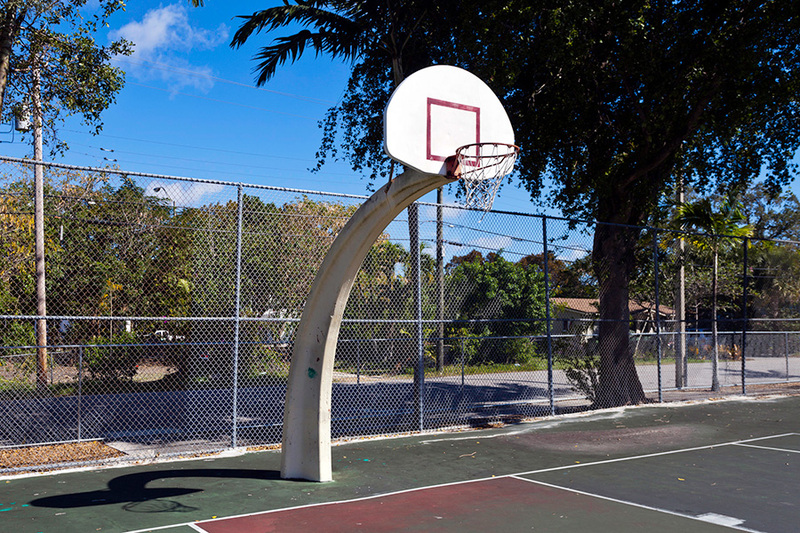 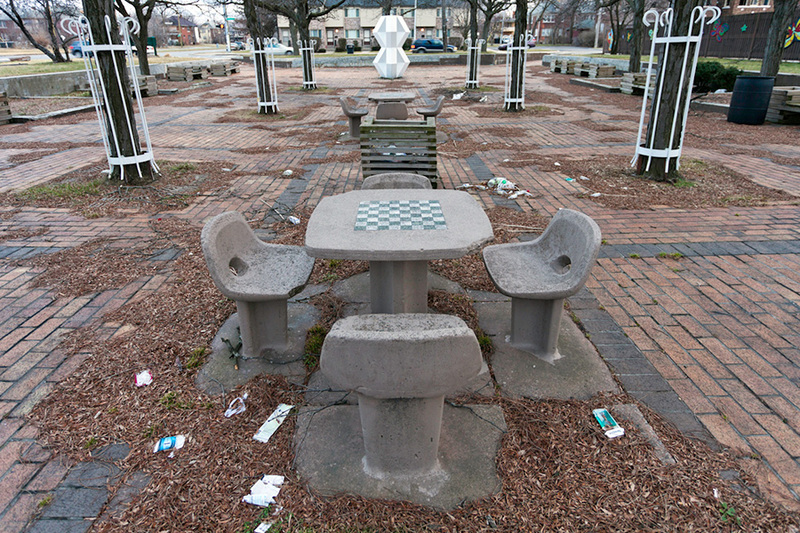 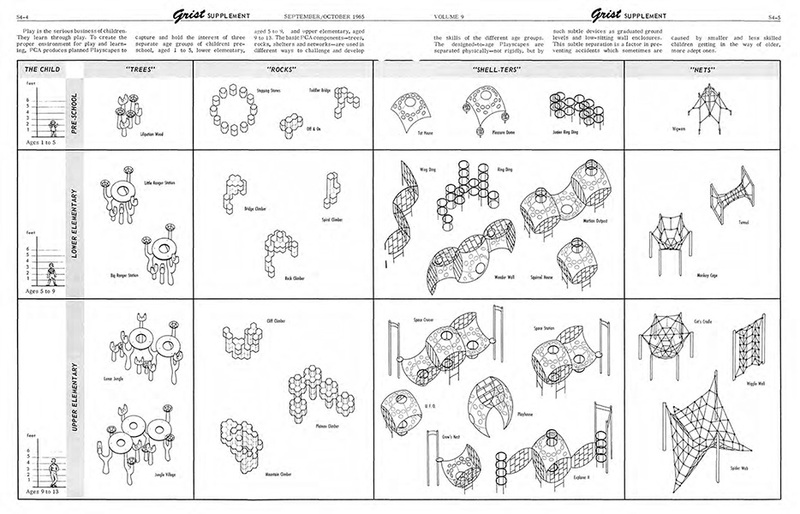 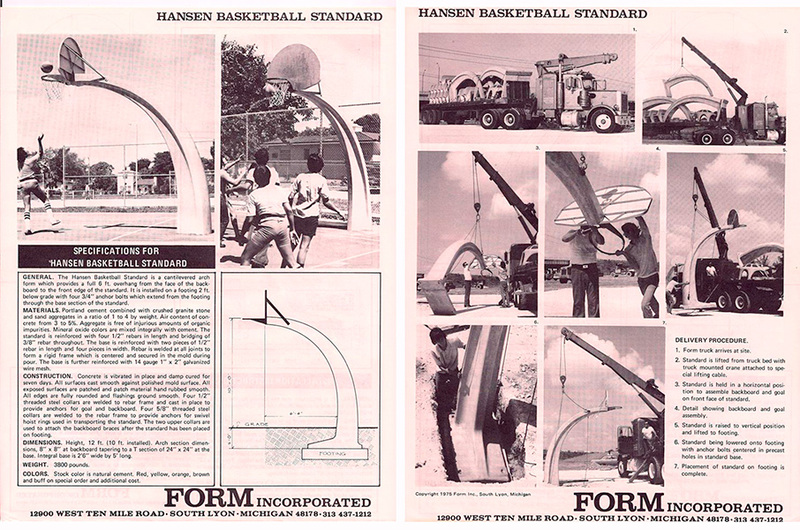 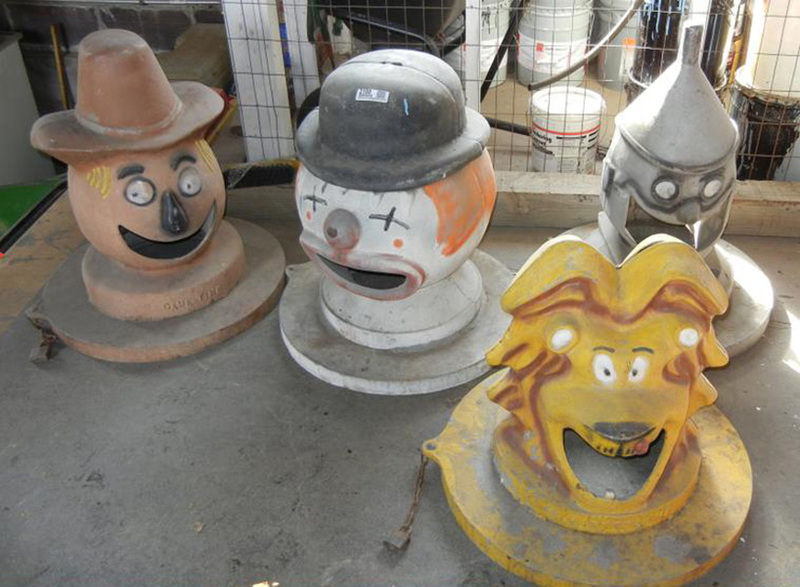 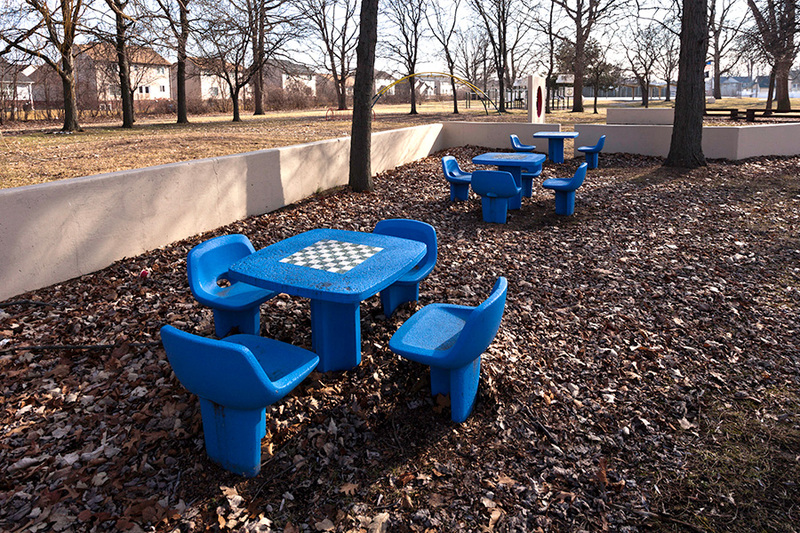 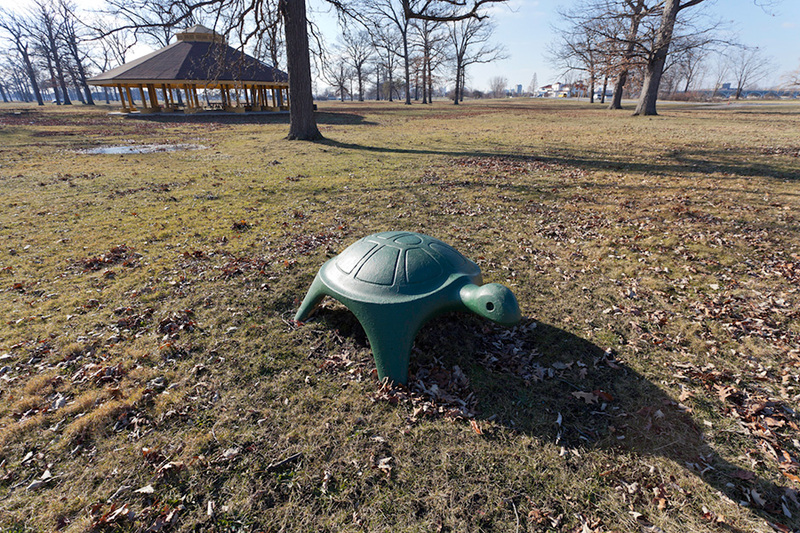 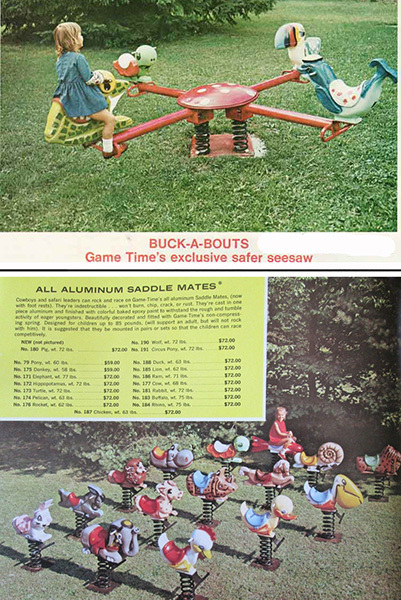 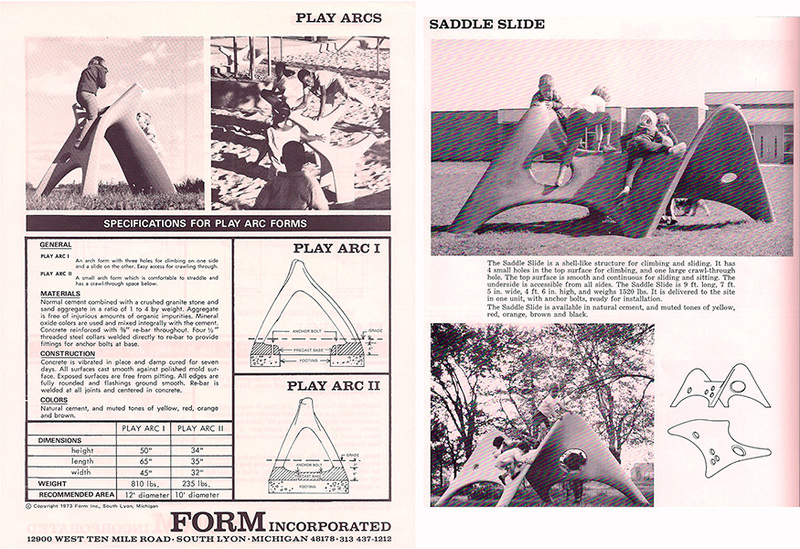 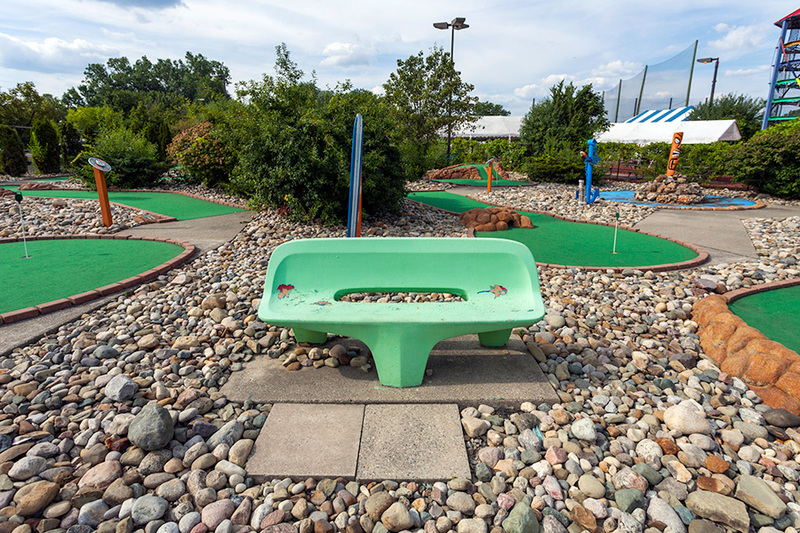 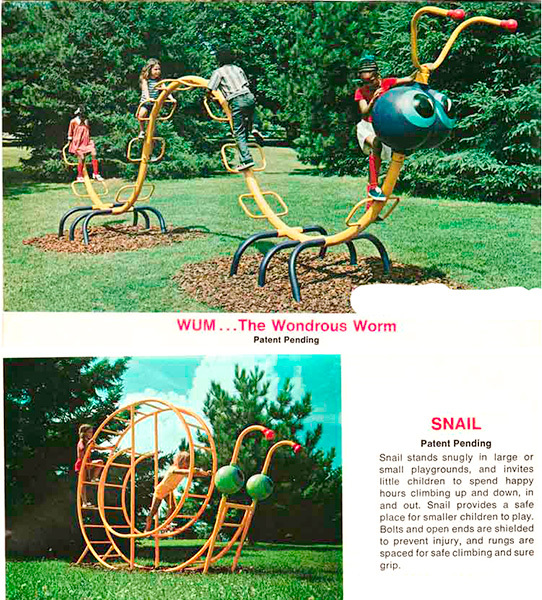 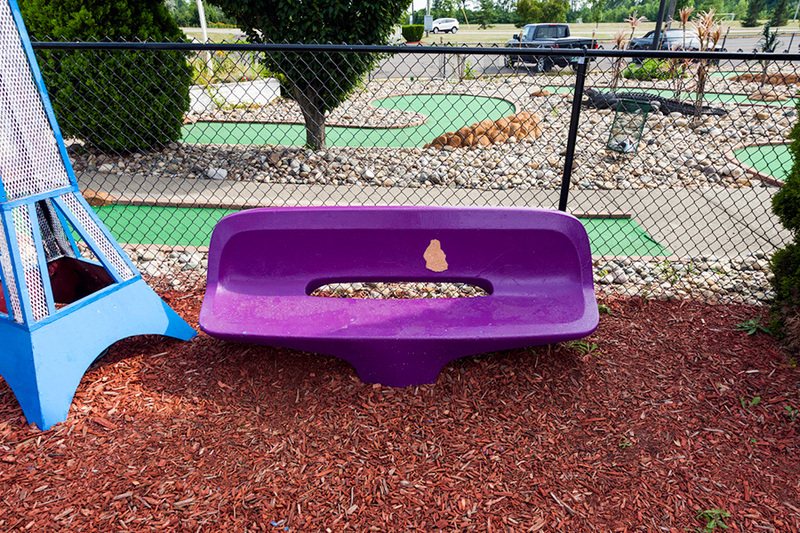 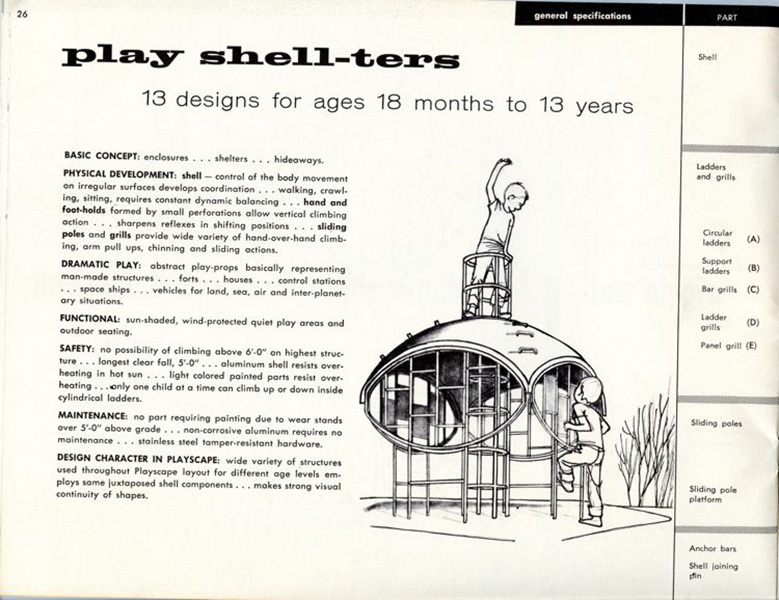 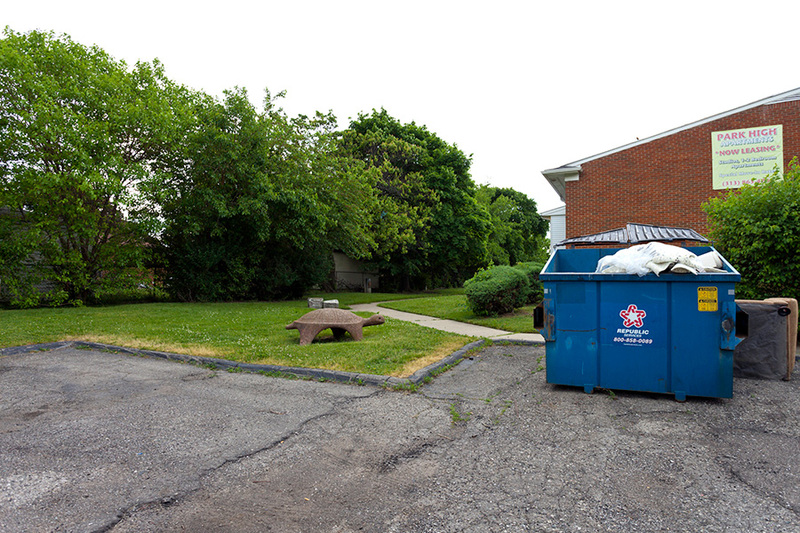 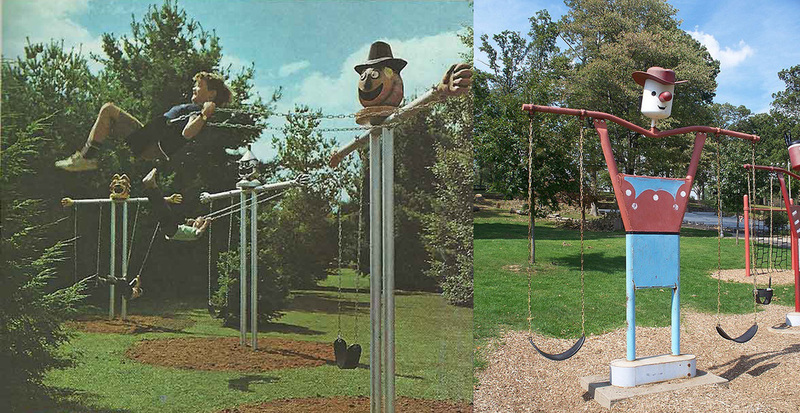 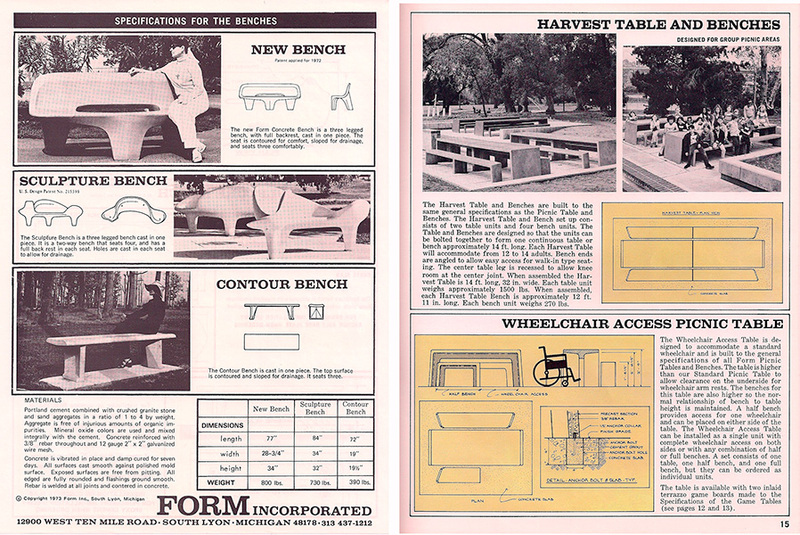 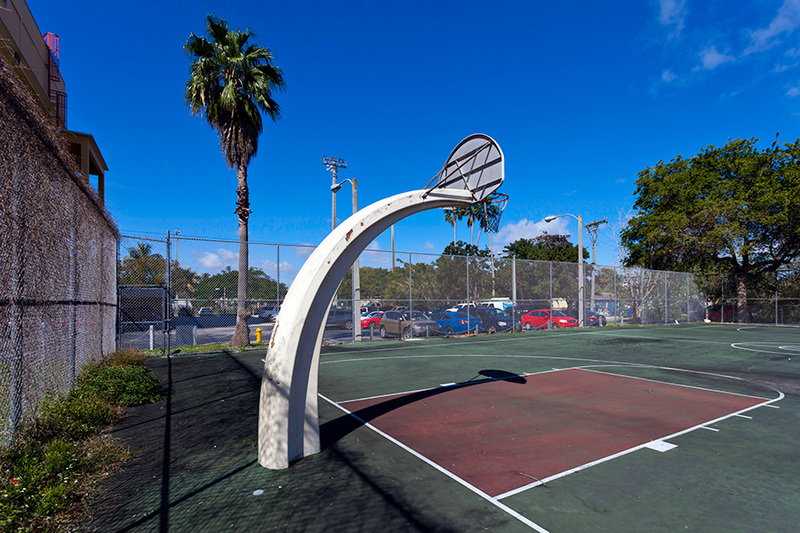 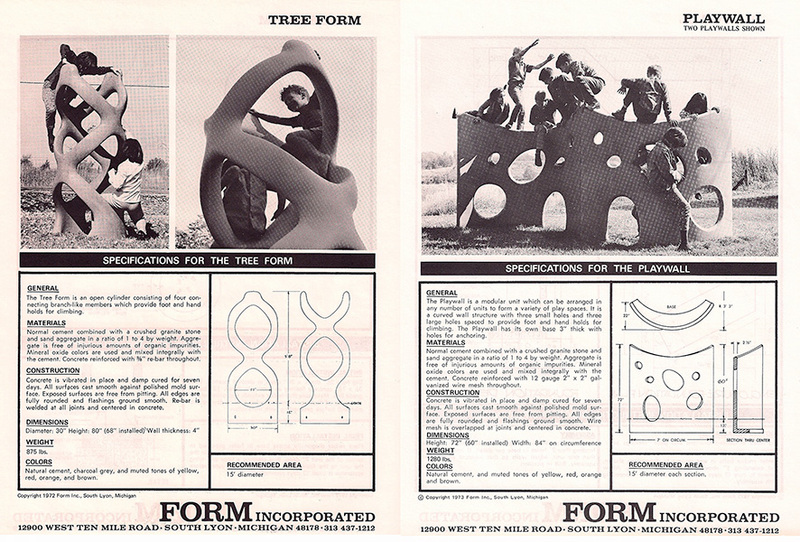 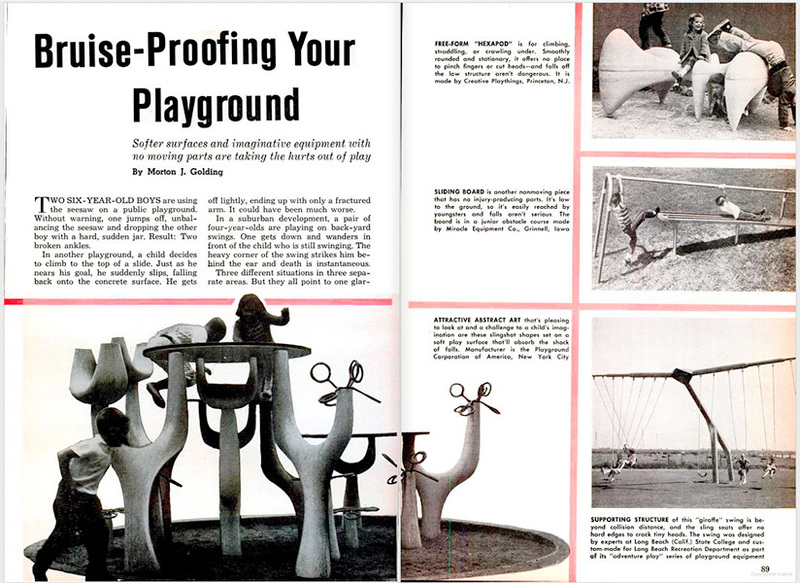 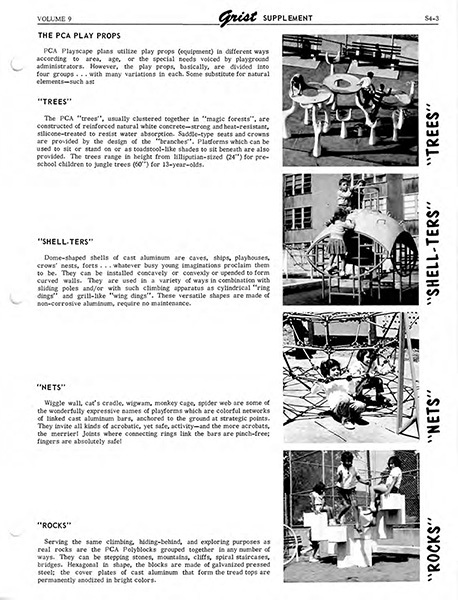 Along with the works of JMM, various other adventure play sculptures designed by David Aaron, Paul Friedberg, Game-Time Inc., and the Playground Corporation of America still dot the Detroit landscape, but, like most cast conrete or metal based playscapes, they've quickly vanishing in favor of mass-produced, modular plastic equipment. 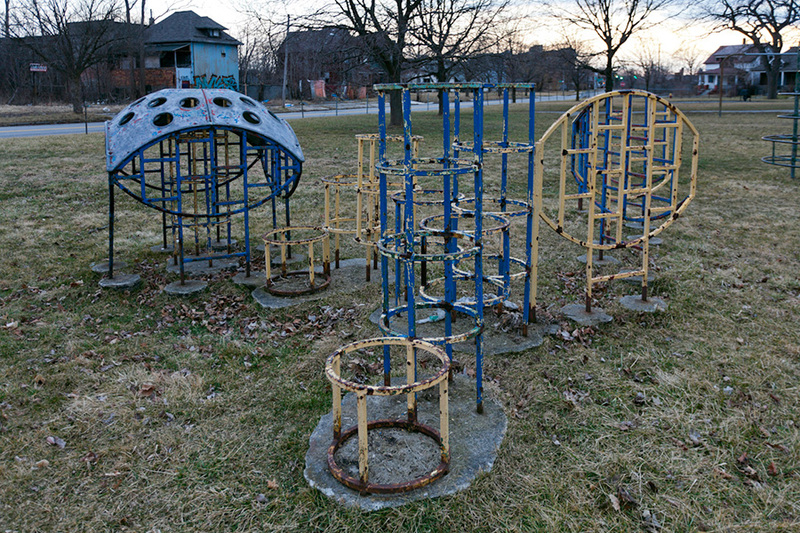 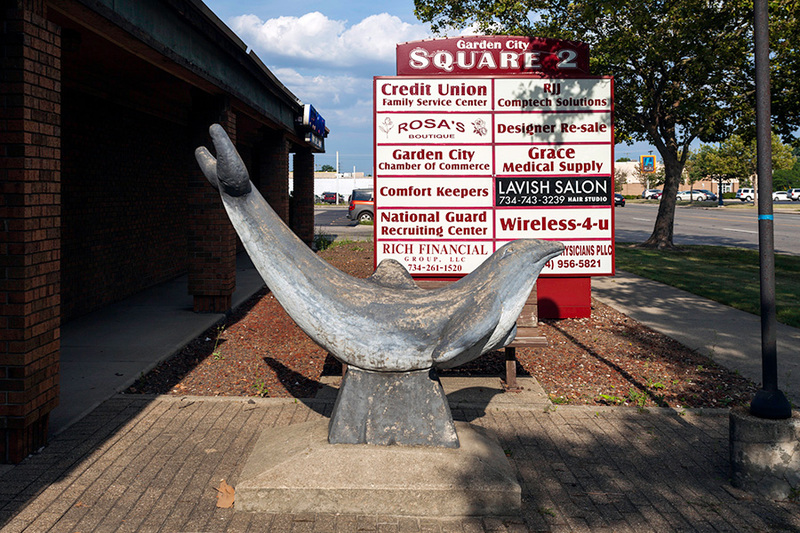 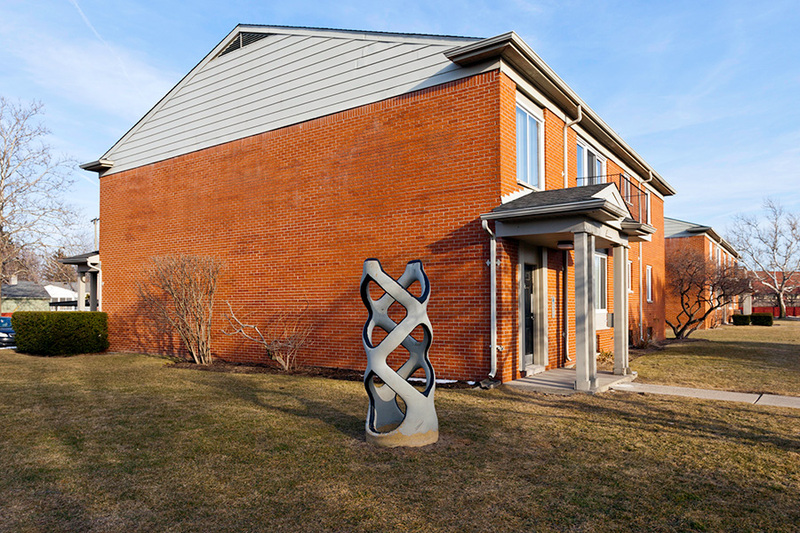 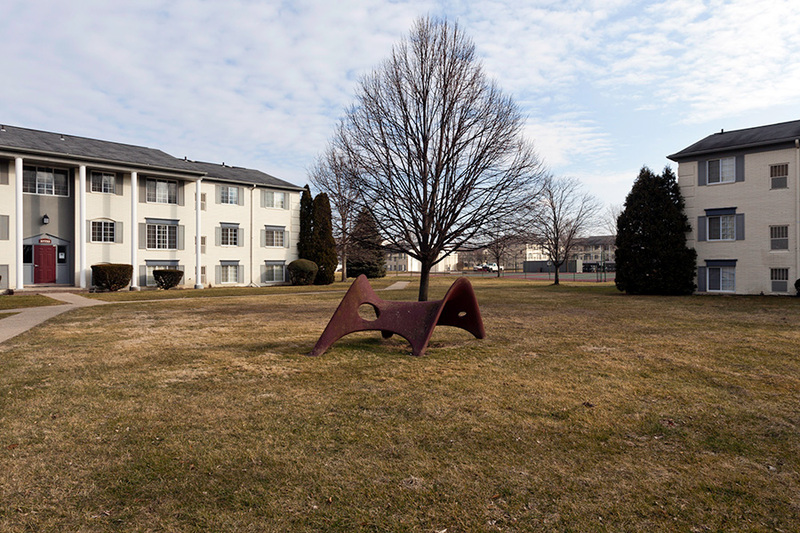 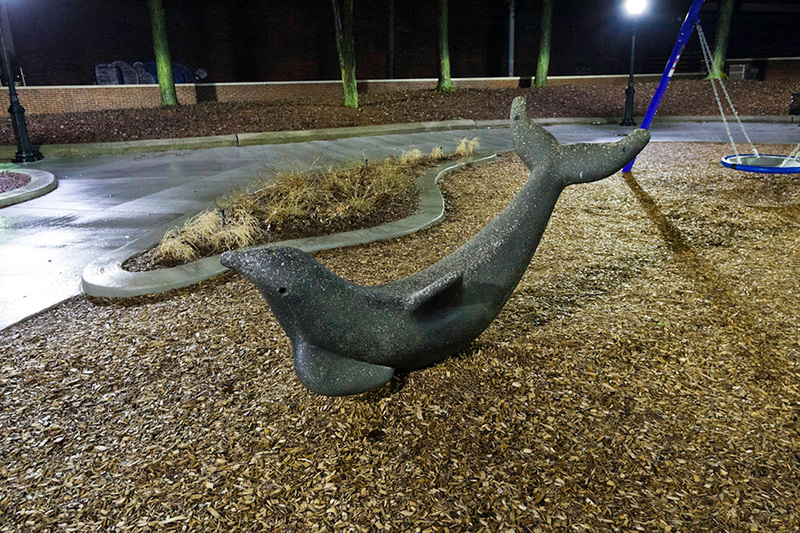 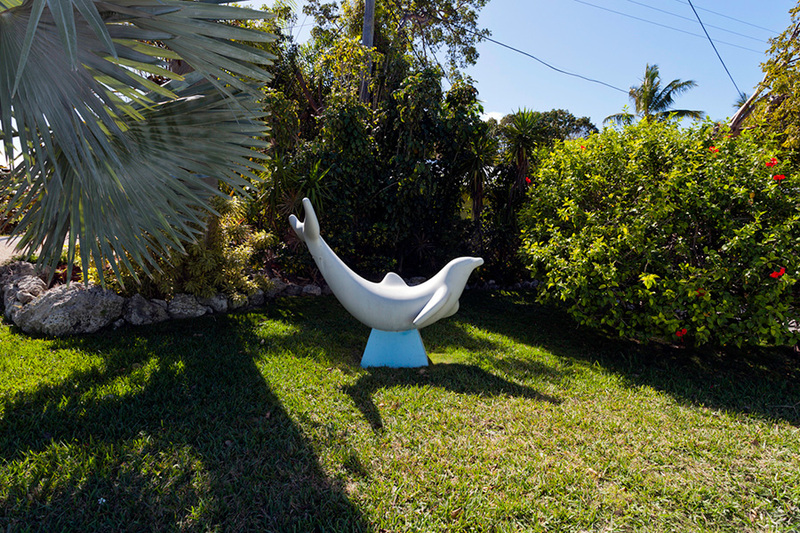 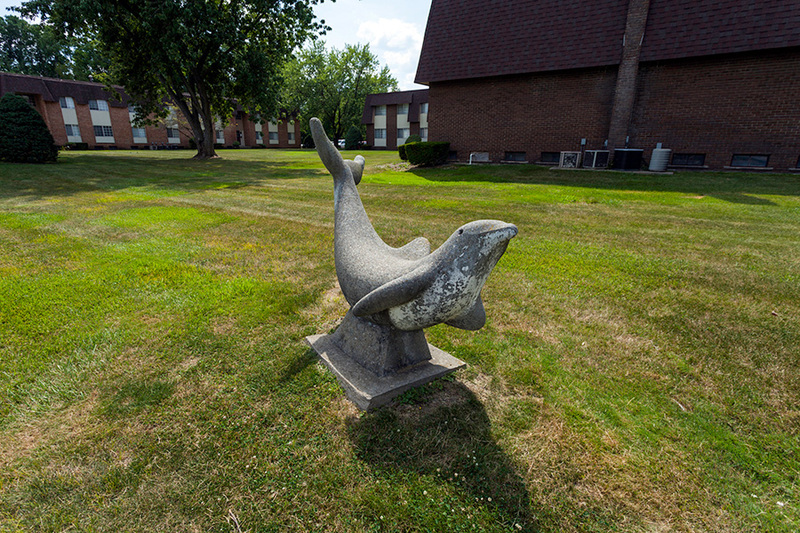 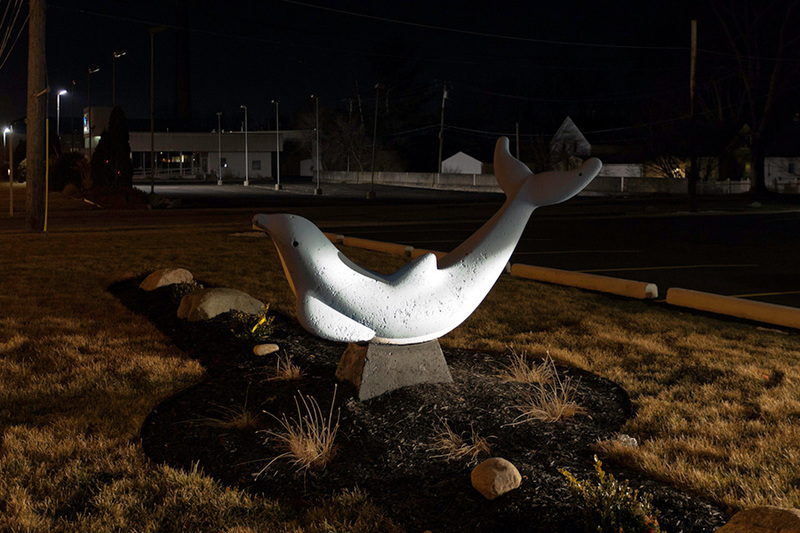 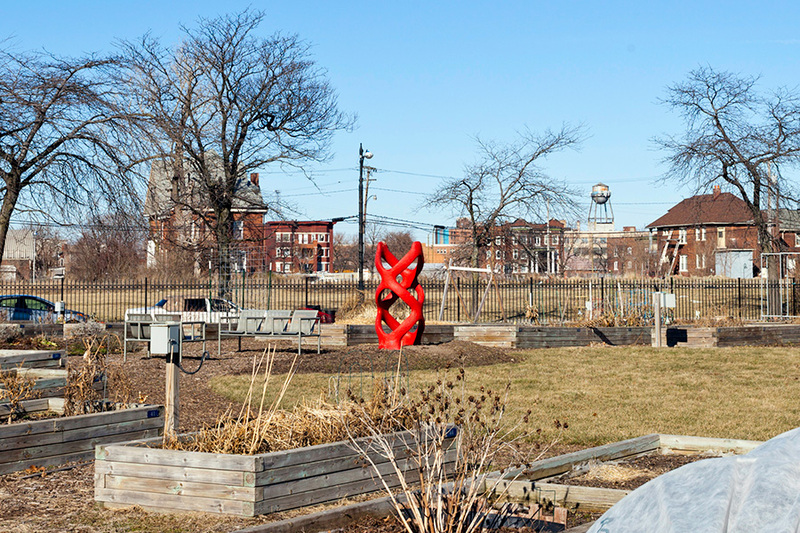 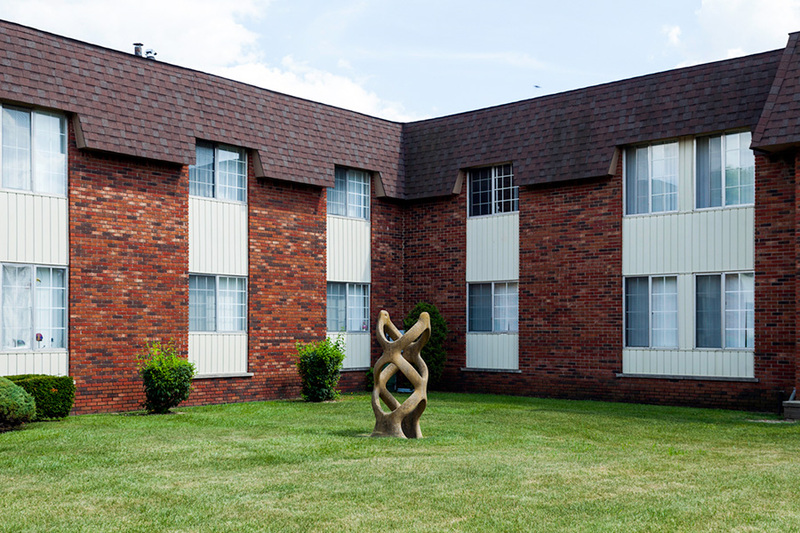 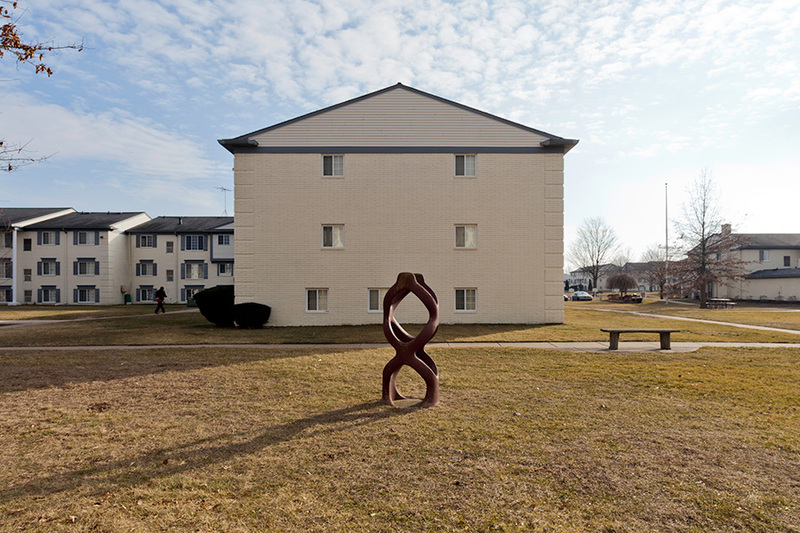 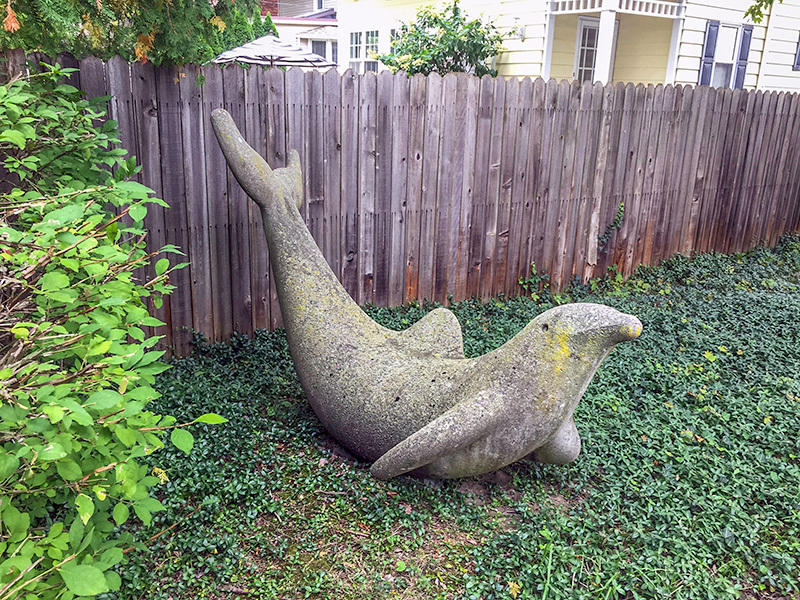 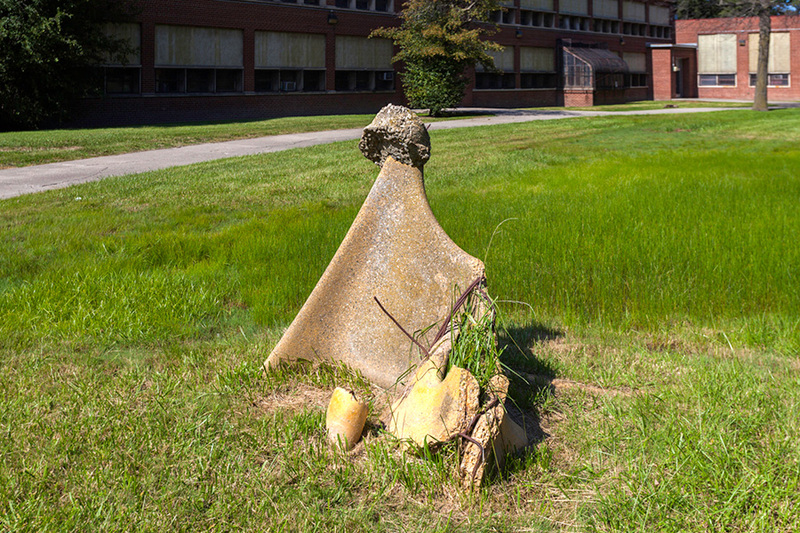 Photographed over the last 10 years, many of the JMM sculptures have been removed and destroyed, and virtually no metal sculptures still exist. 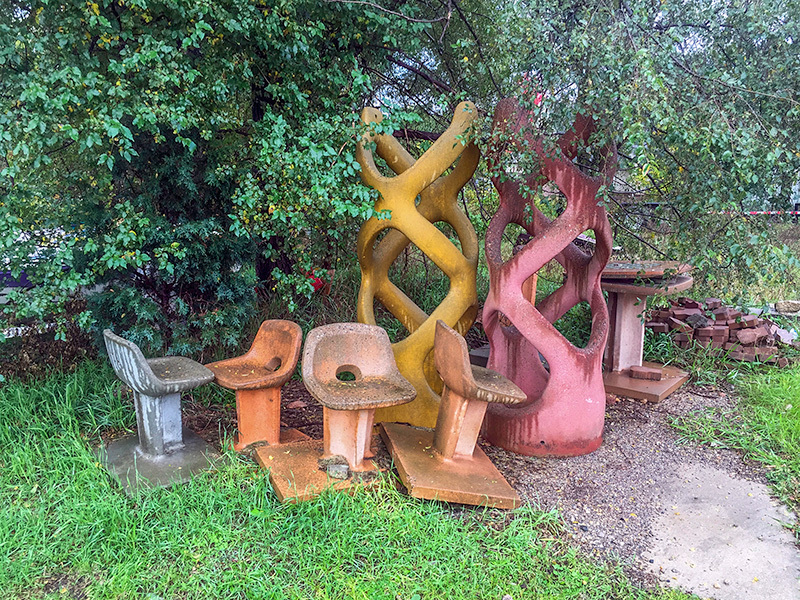 All works are Jim Miller-Melberg unless otherwise noted.